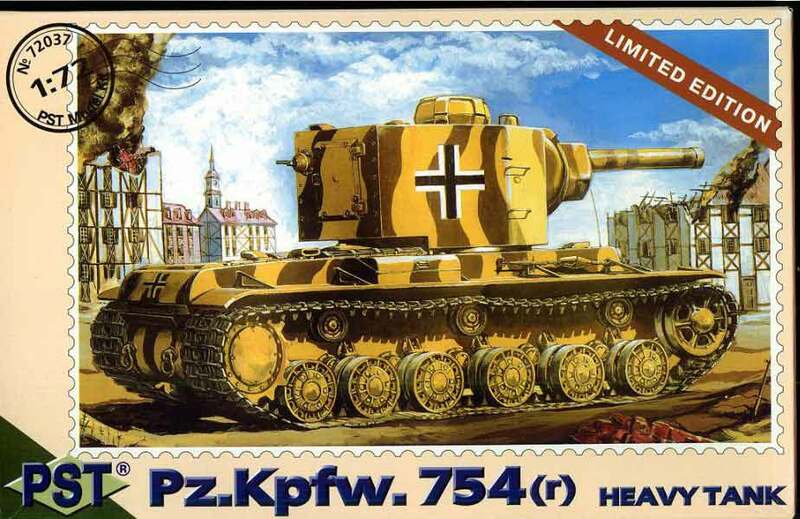 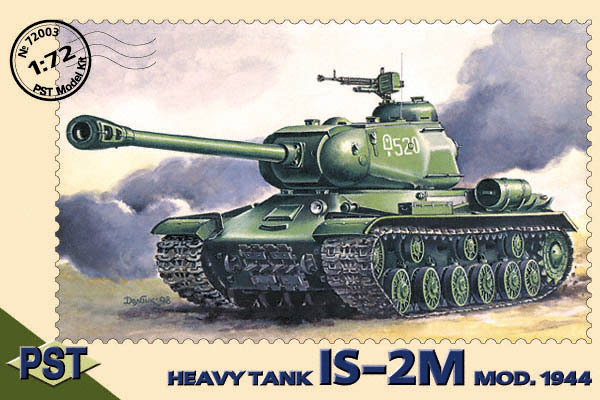 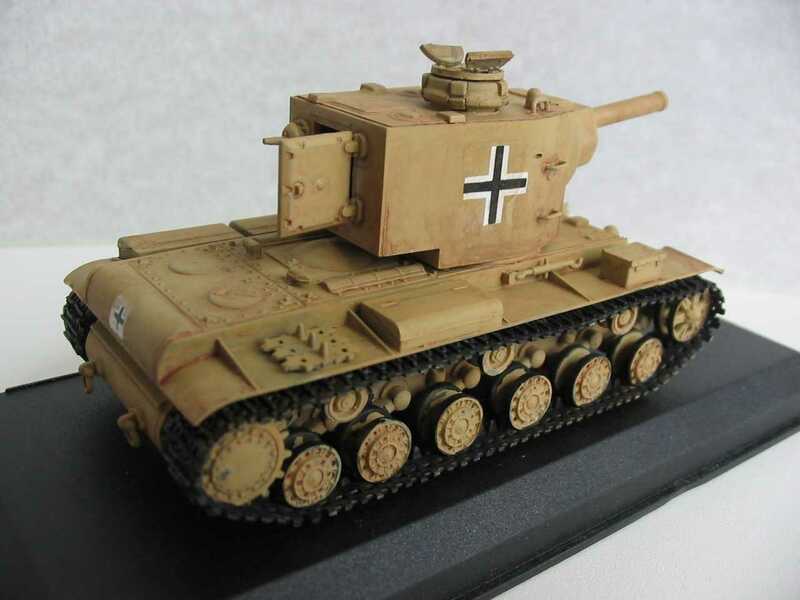 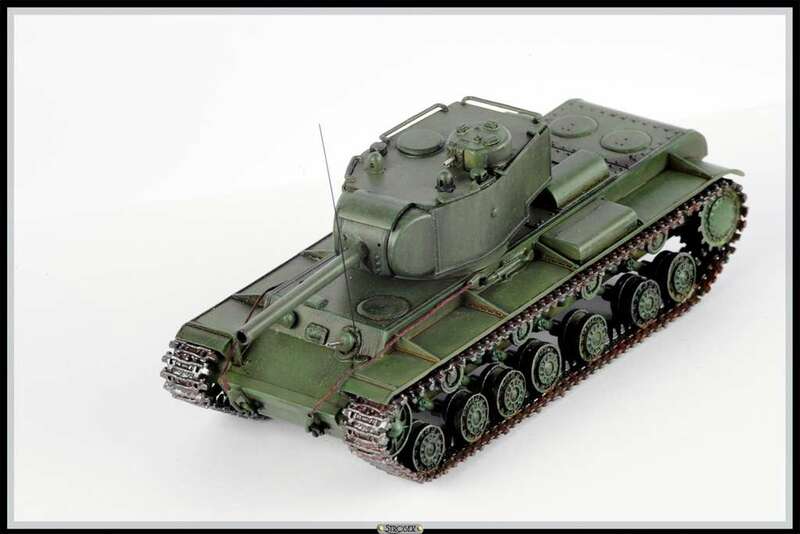 Because of the necessity to increase the firepower and armor protection of the heavy tank without increasing the weight, a new tank design began in 1938 under direction of .I.S.Kotin. 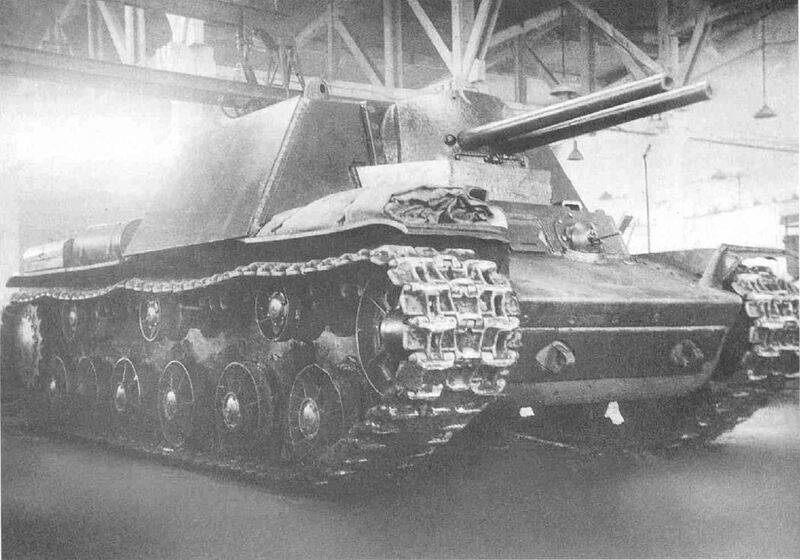 Mounting the same 30.5 caliber, long 76mm gun as in the T-34 and in a single fabricated turret. 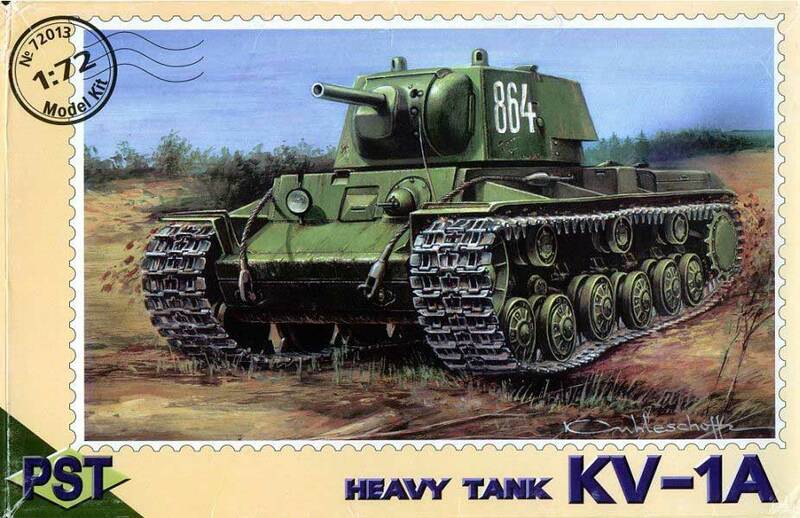 KV-1A weighed 43 tons. 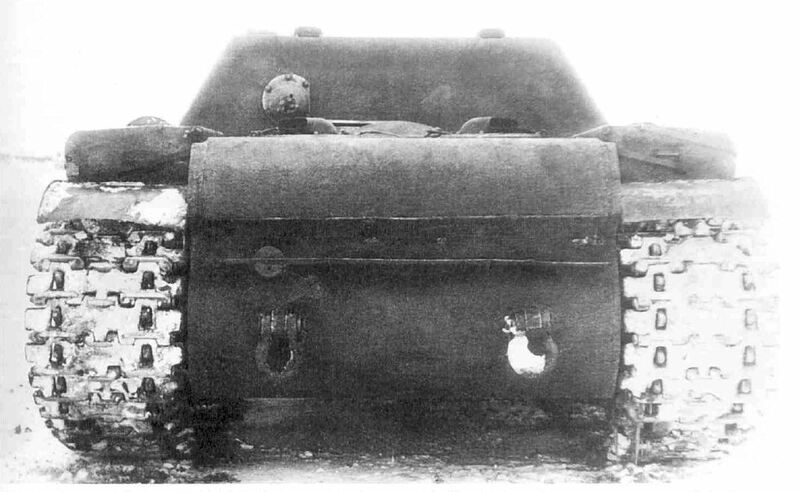 The armor protection was against 90mm guns. 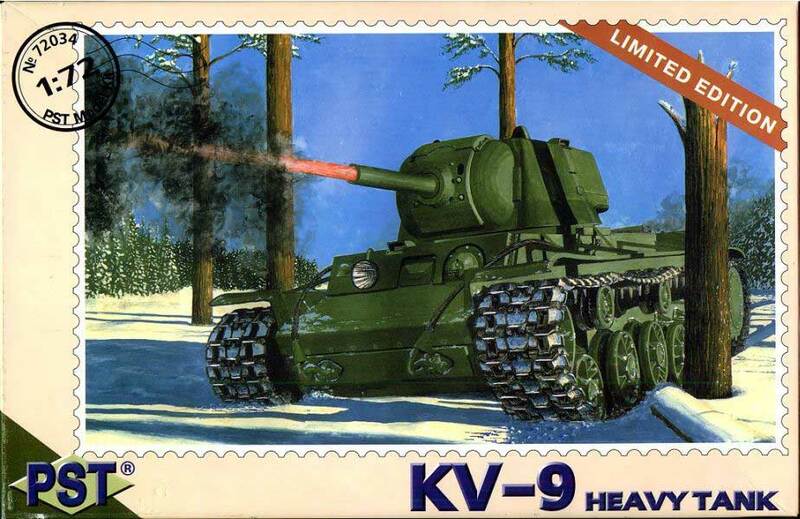 The power plant consisted of the new V-2K engine, which was oprated to 550 and 600 BHP with the use of larger fuel pumps and injectors. 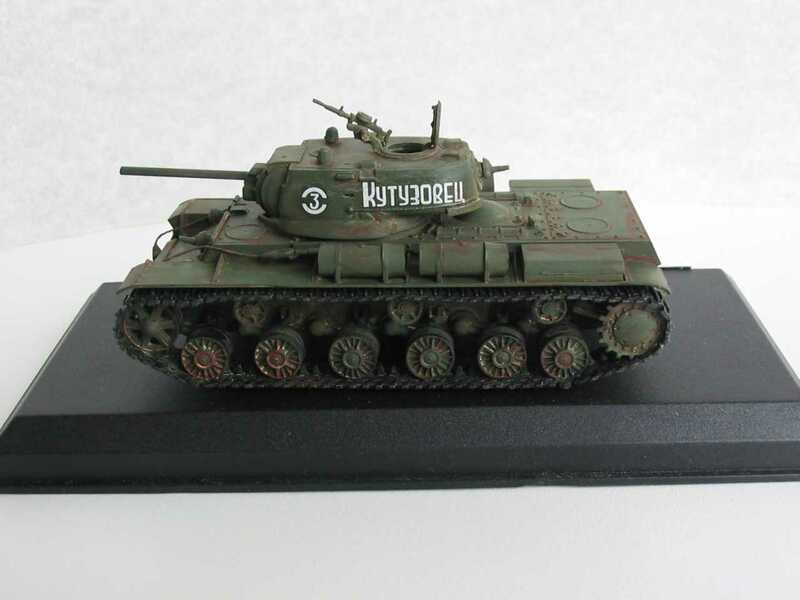 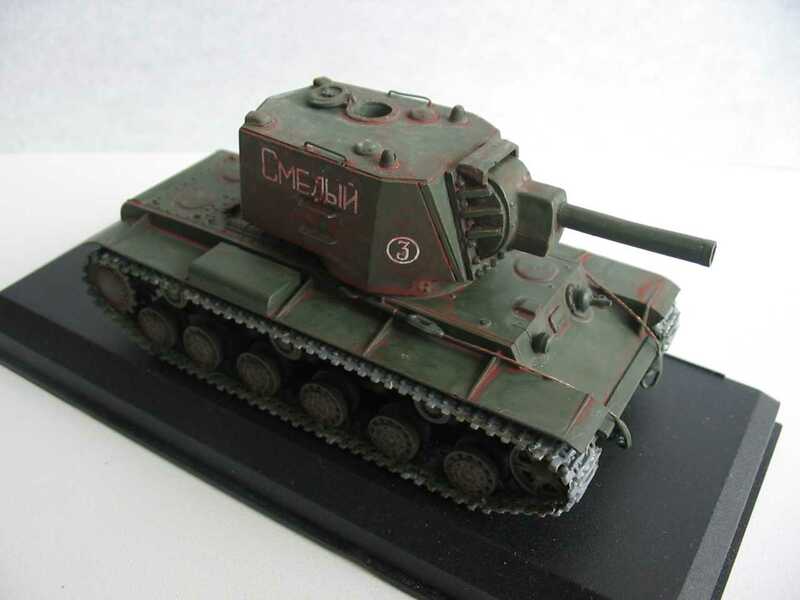 This KV Series tank, which was named after Marshal Klimeti Voroshilov of the Soviet Union, had a production run of more than 10,000 units by the end of 1943. 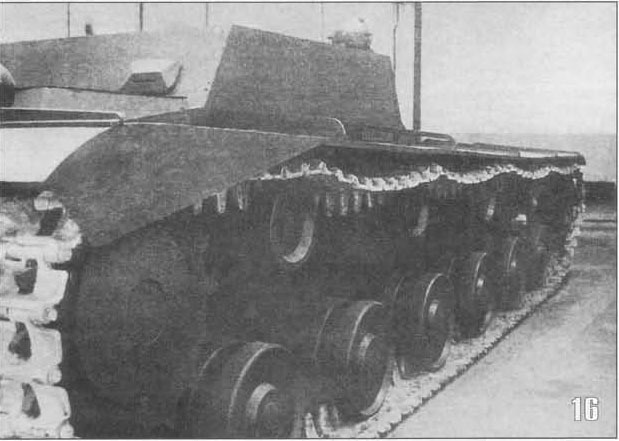 Many of them were produced at the Kirovski Sovod works in Leningrad - from where they were often driven directly to the front immediately after assembly. 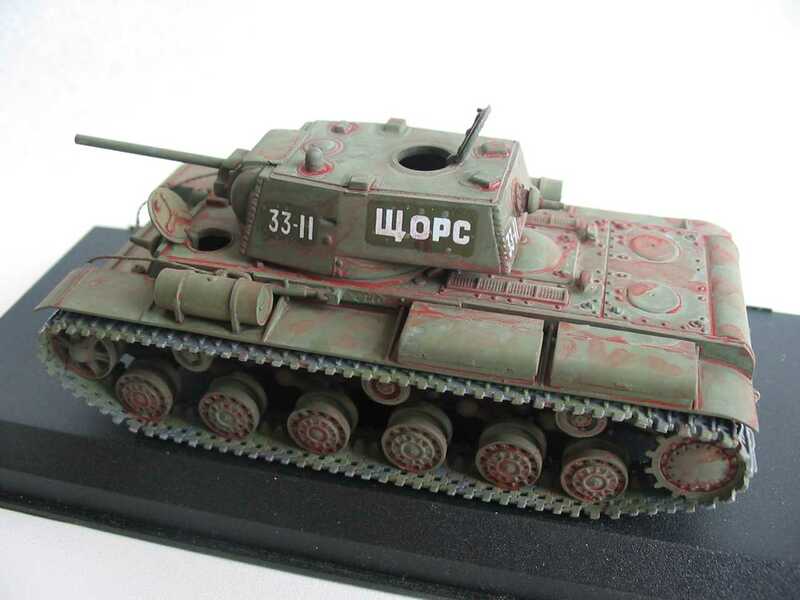 The KV-1 were updated with extra armor by the turret-, front-, board- and hull-mounted additional armor plates. 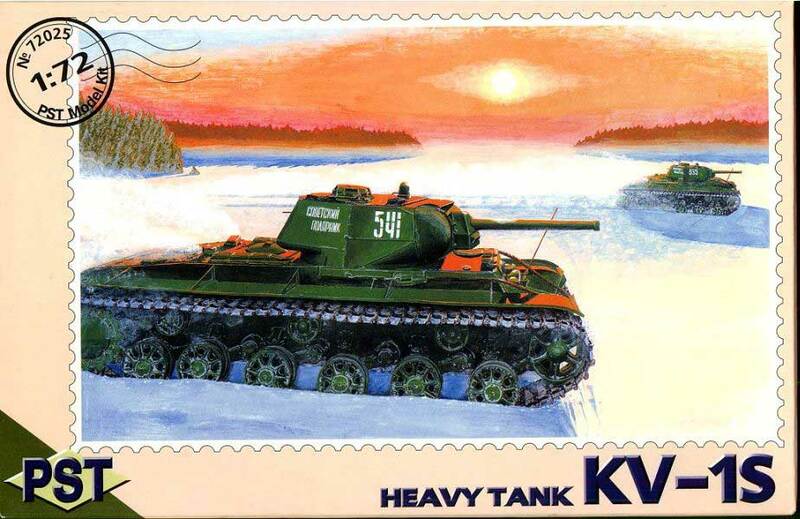 It was applied to KV-1A tanks at the "Kirow Plant" in Leningrad. 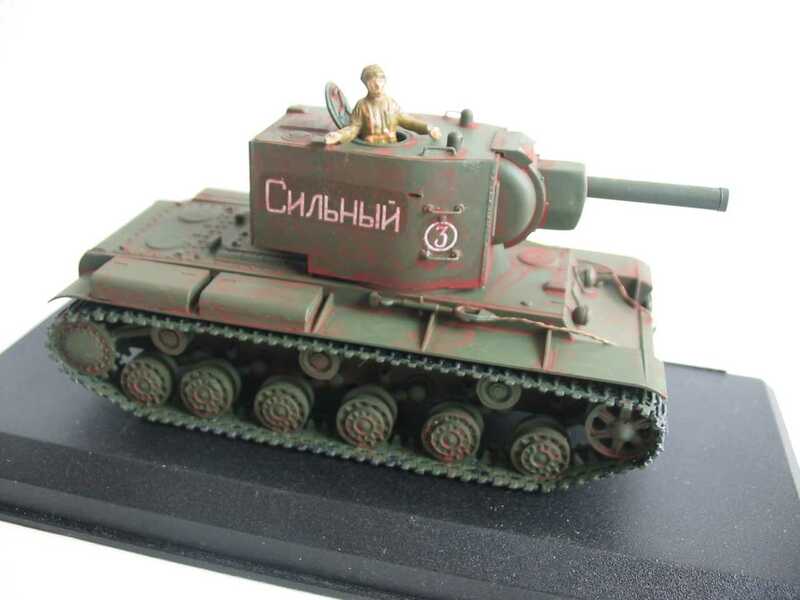 The name of this new type of tank "Ecranirovannyj" is translated in English as "Screened". 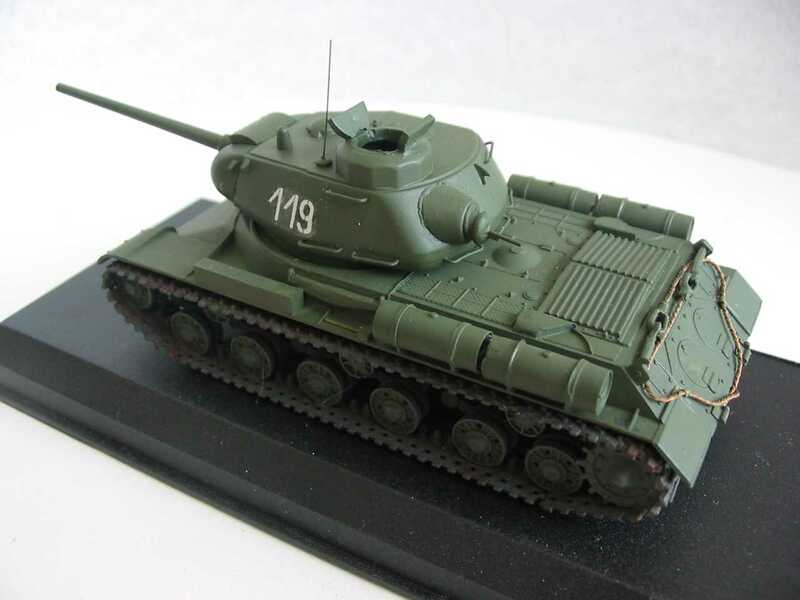 More then 200 tanks were modernized and they took place in the Leningrad zone basically. 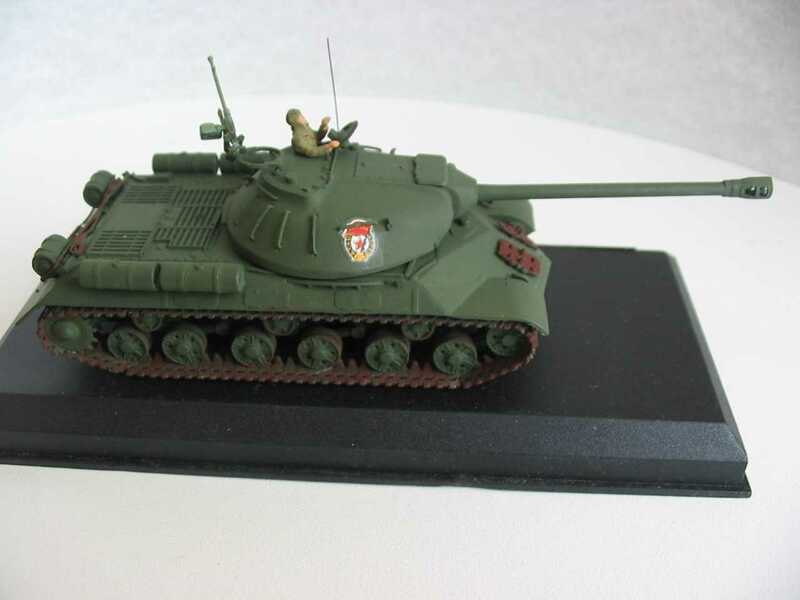 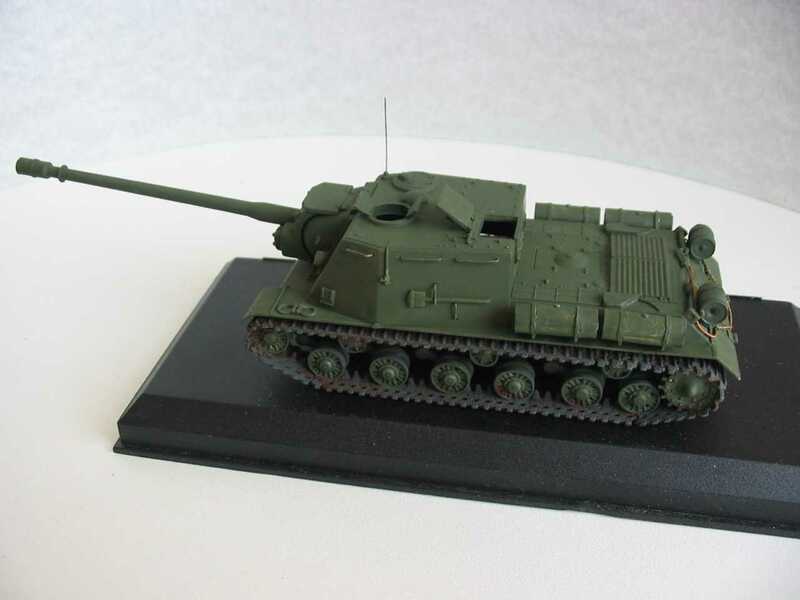 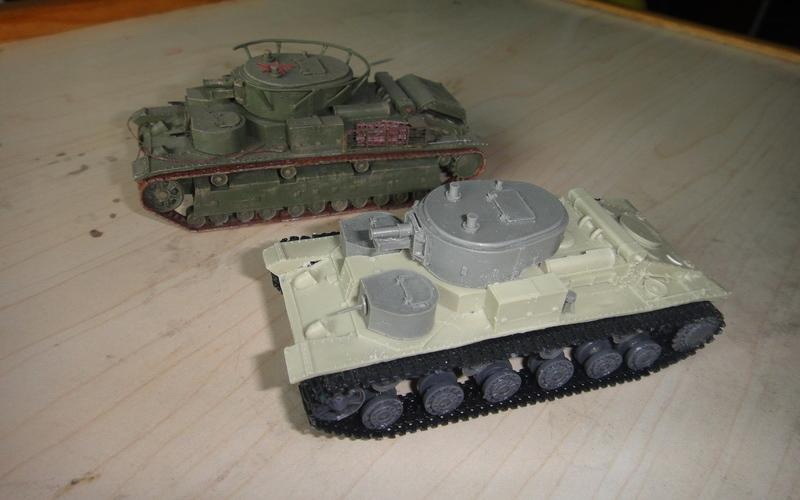 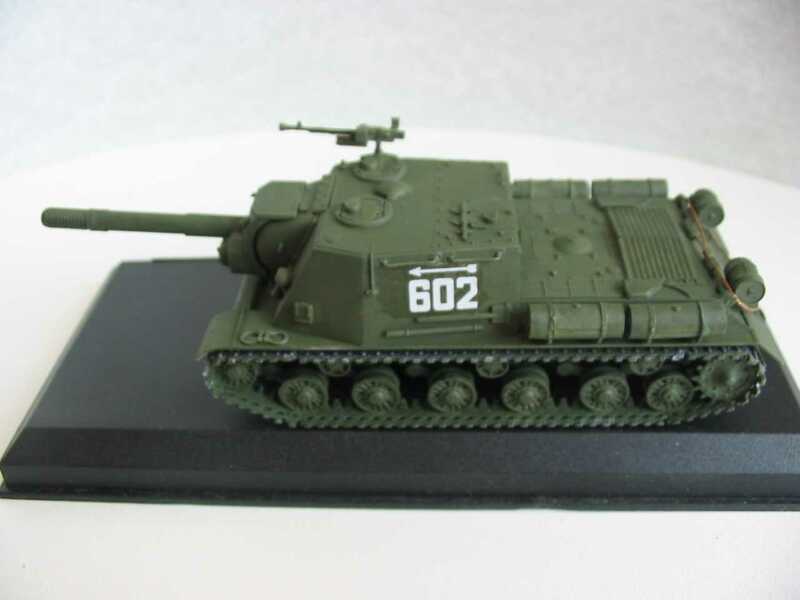 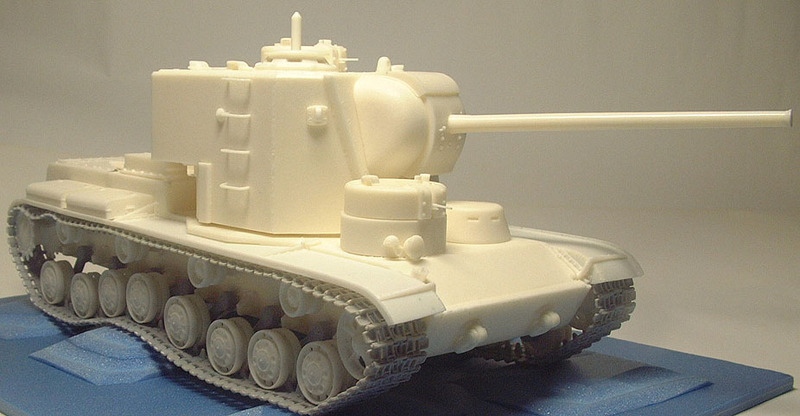 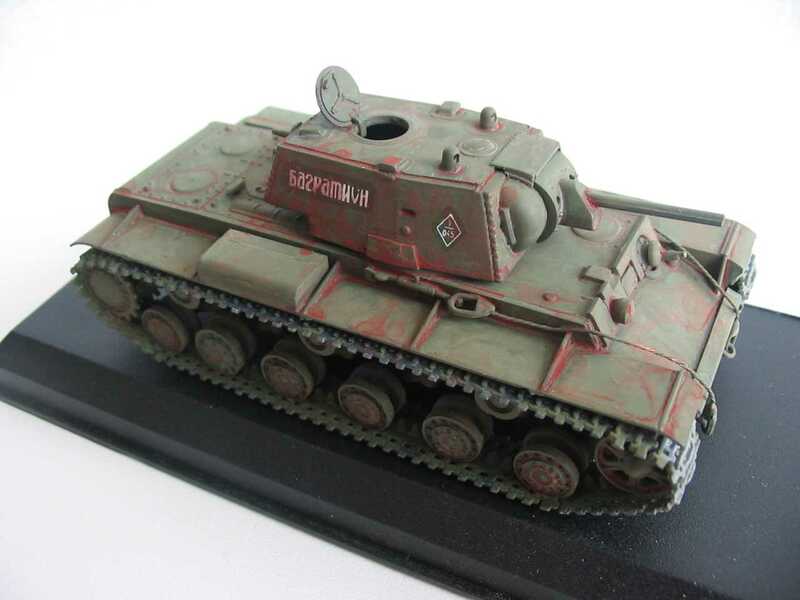 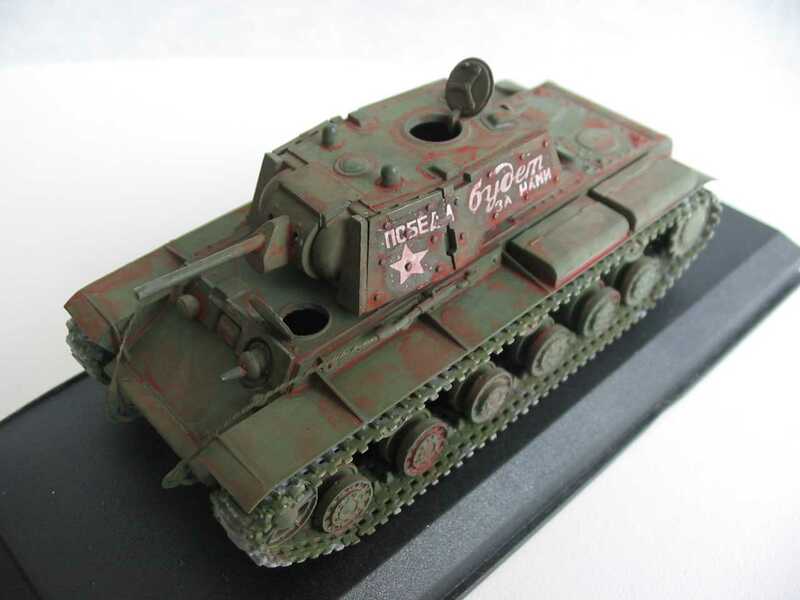 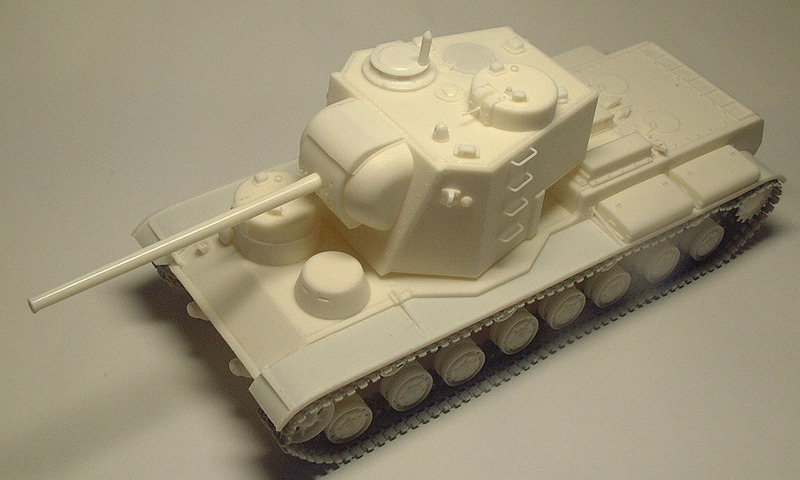 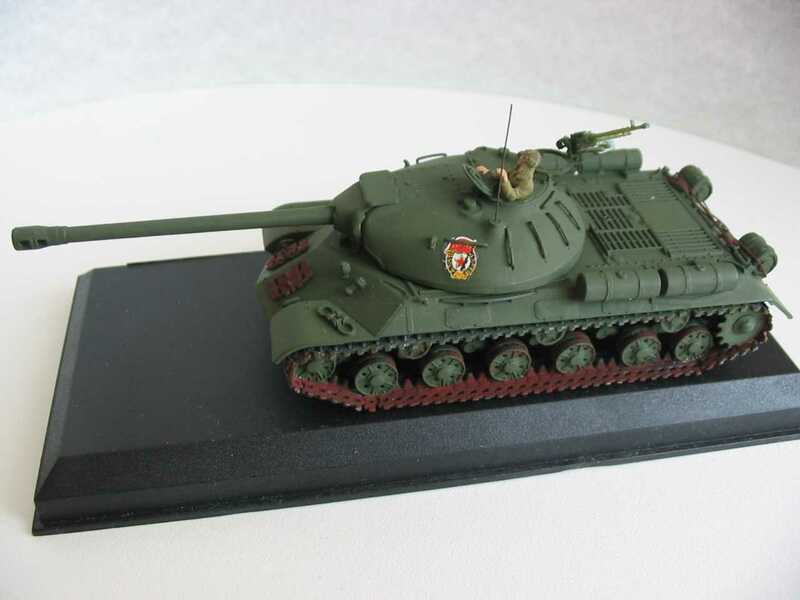 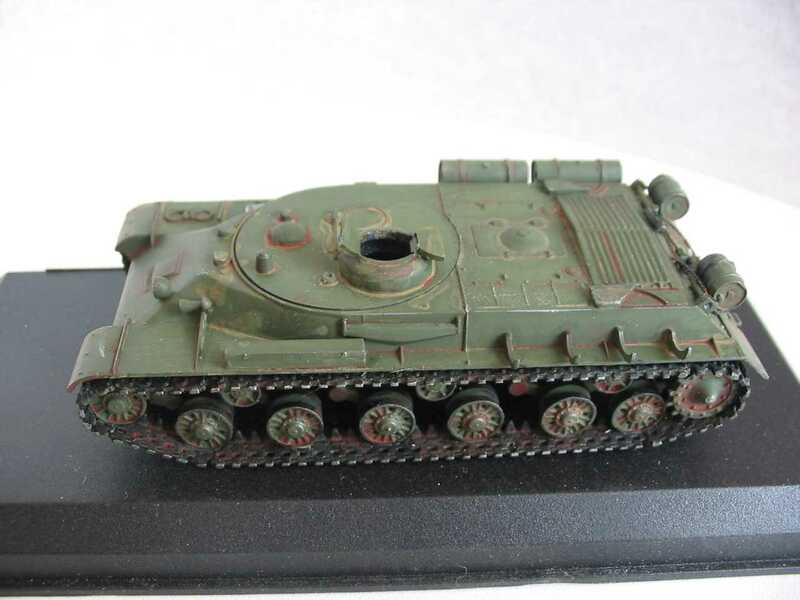 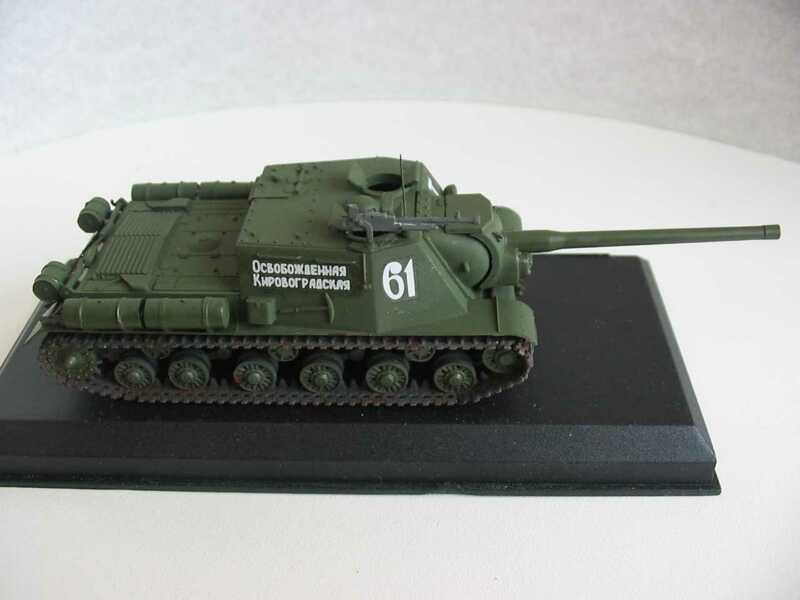 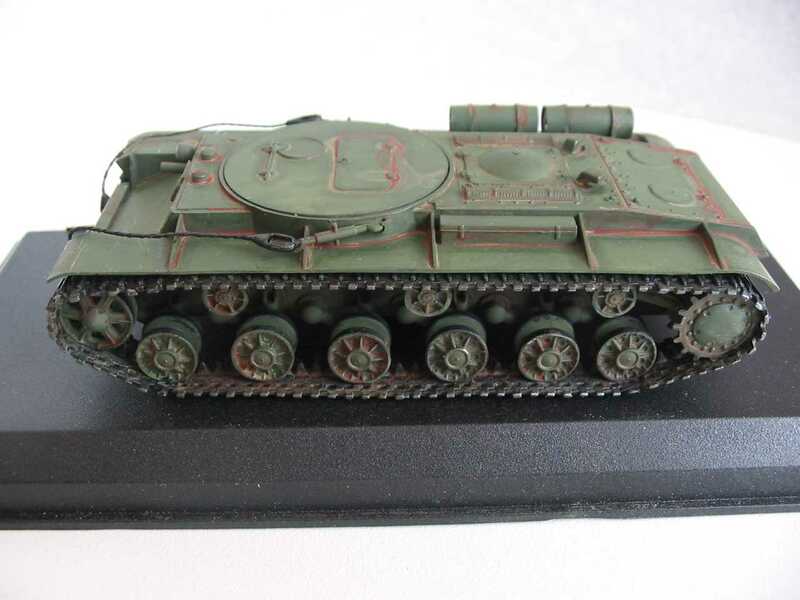 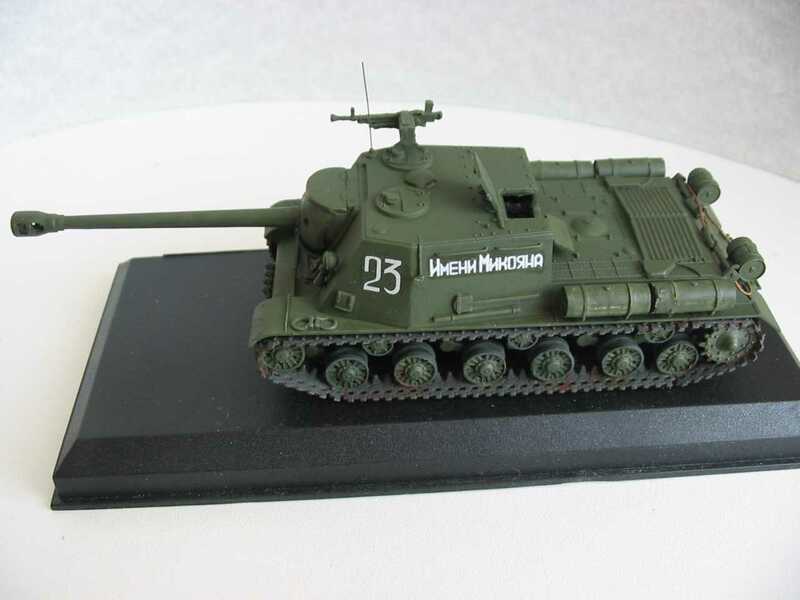 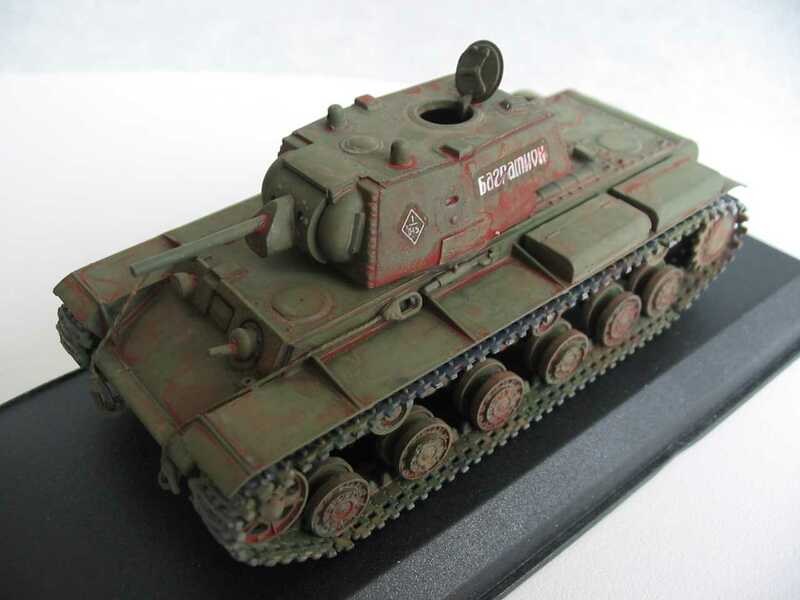 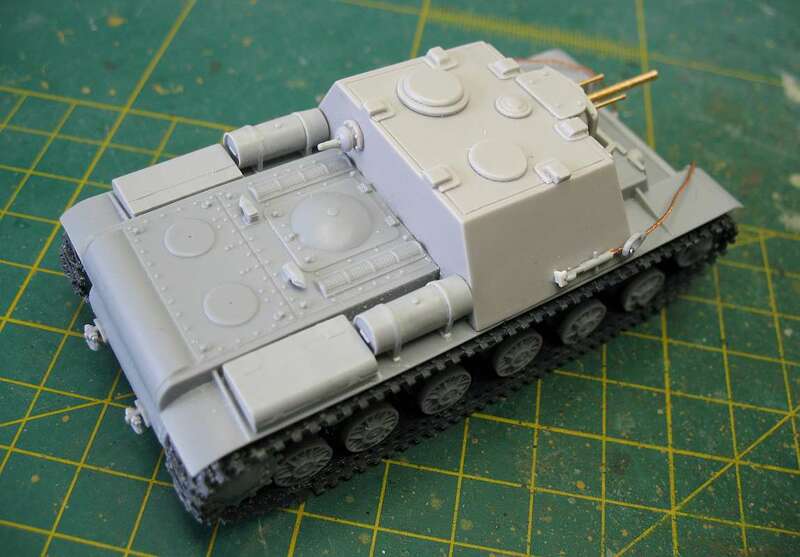 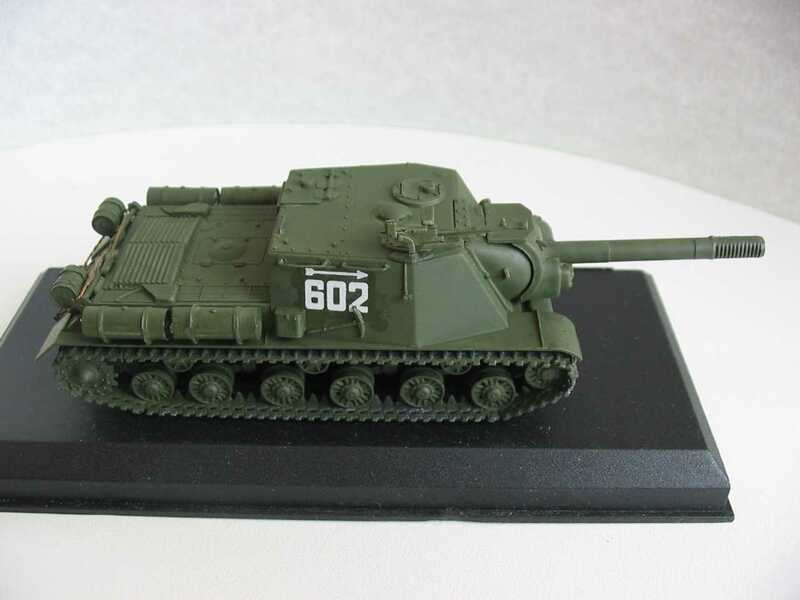 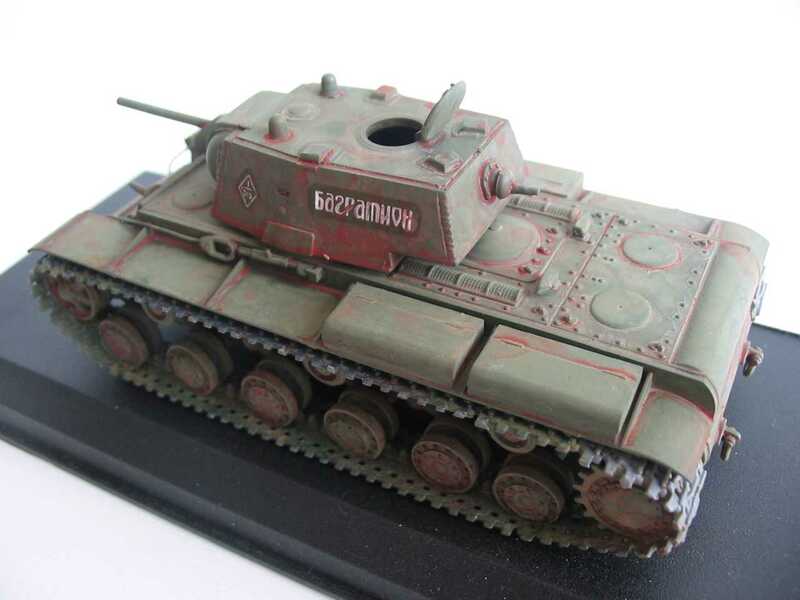 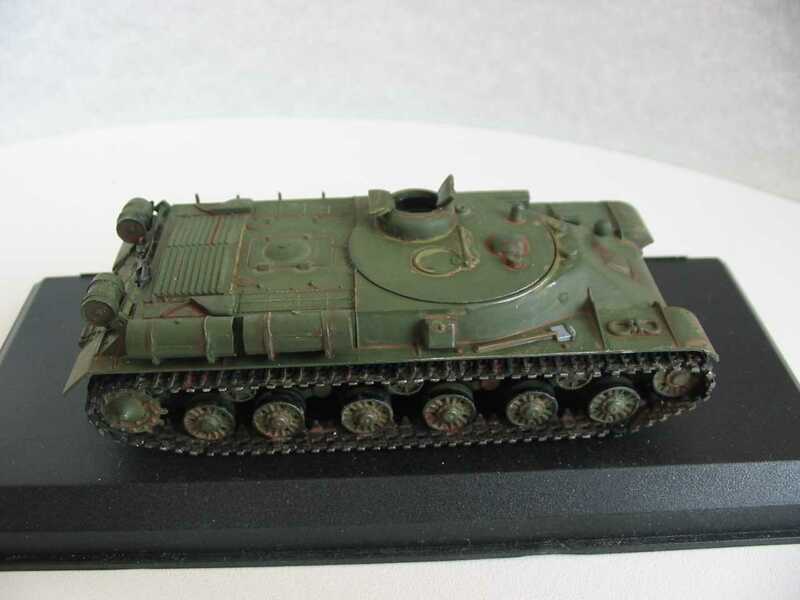 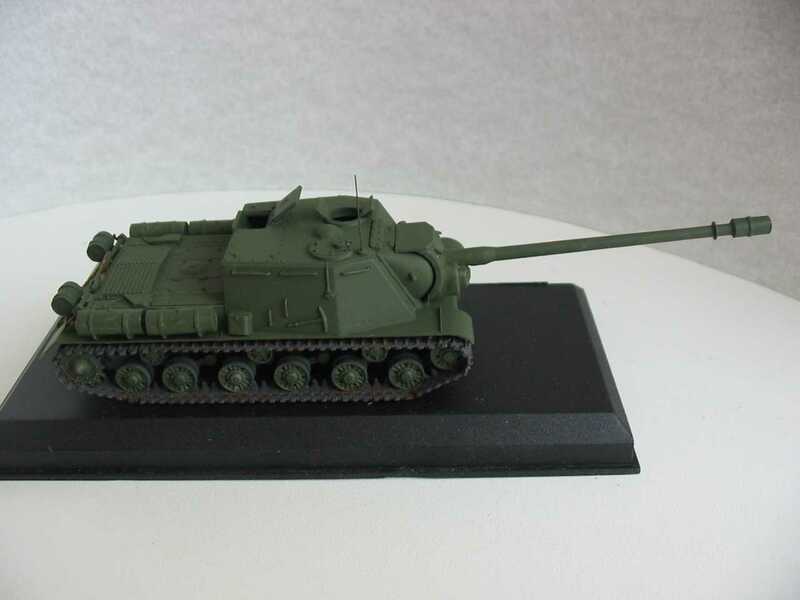 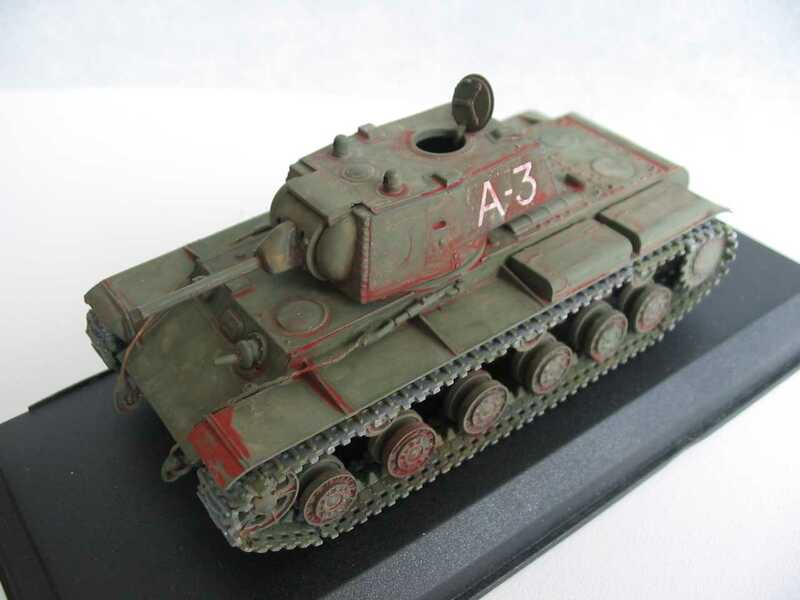 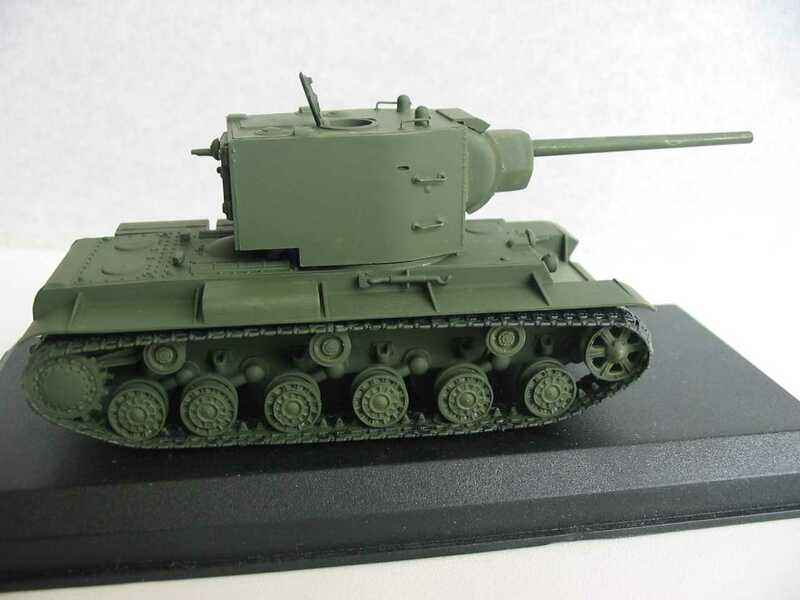 KV-1A Model 1941 production turret with Zis-5 or F-34 gun - (PST 72013). 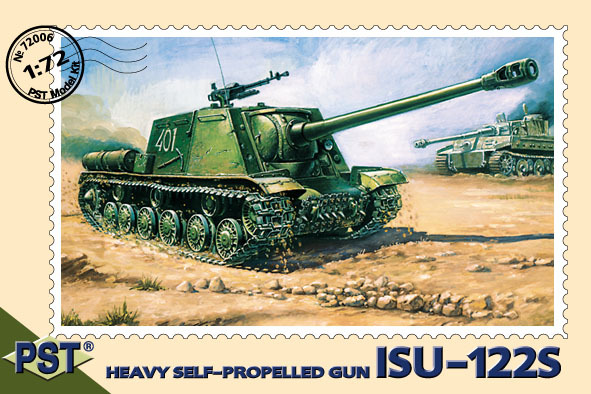 The modernization included the replament of the L-11 gun with the more simple in manufacturing F-32 gun. 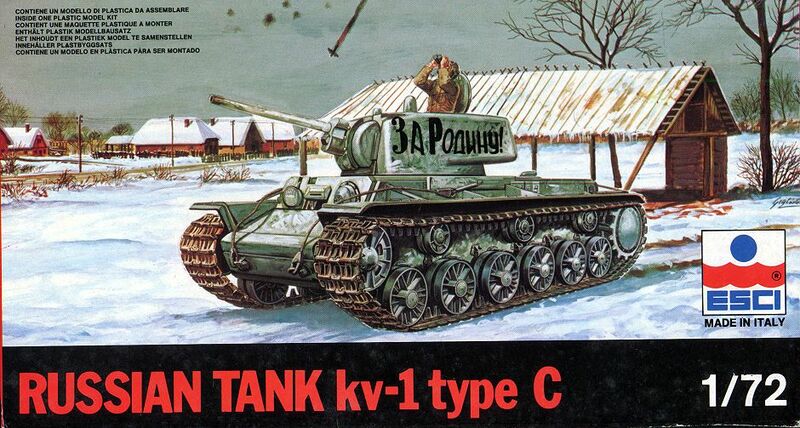 The manufacturing of the KV-1A tanks started in January 1941 and continued until November 1941. 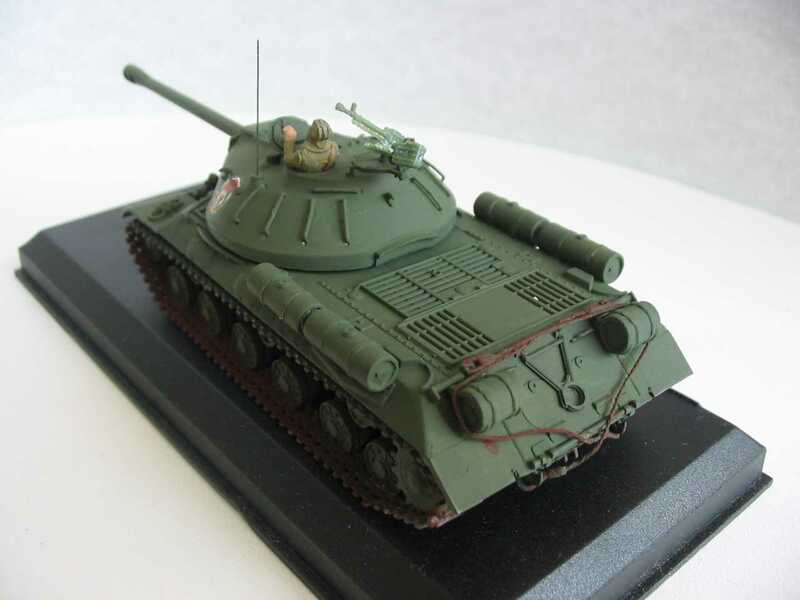 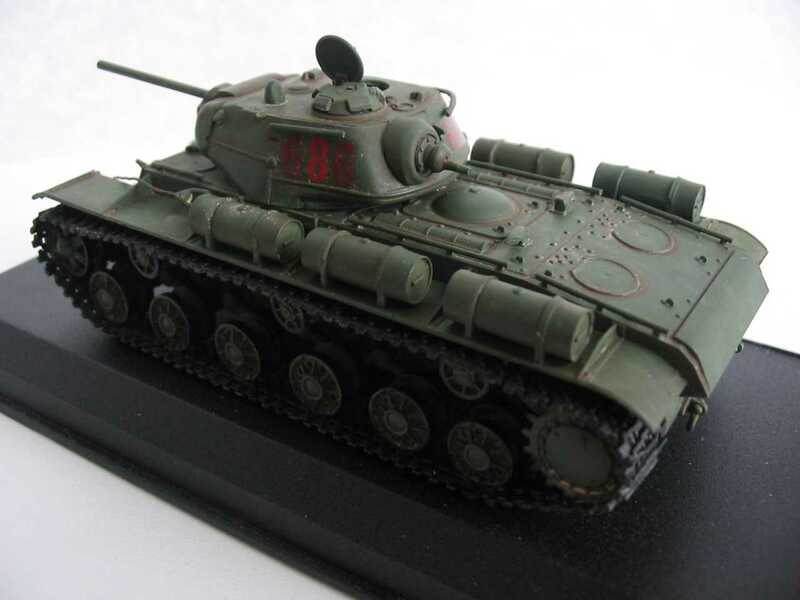 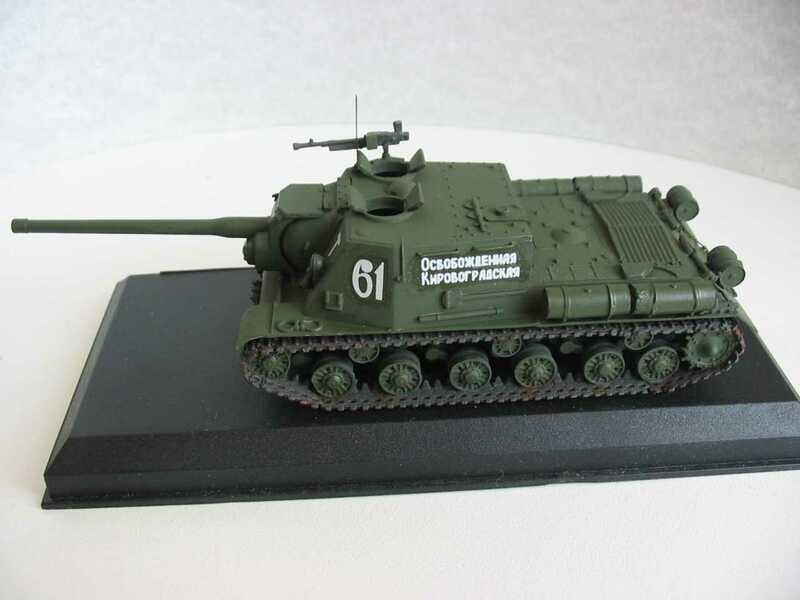 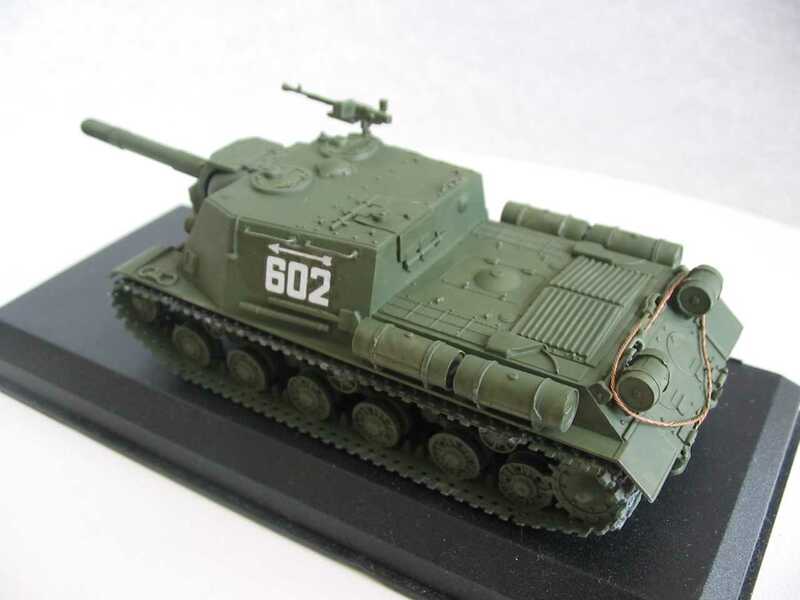 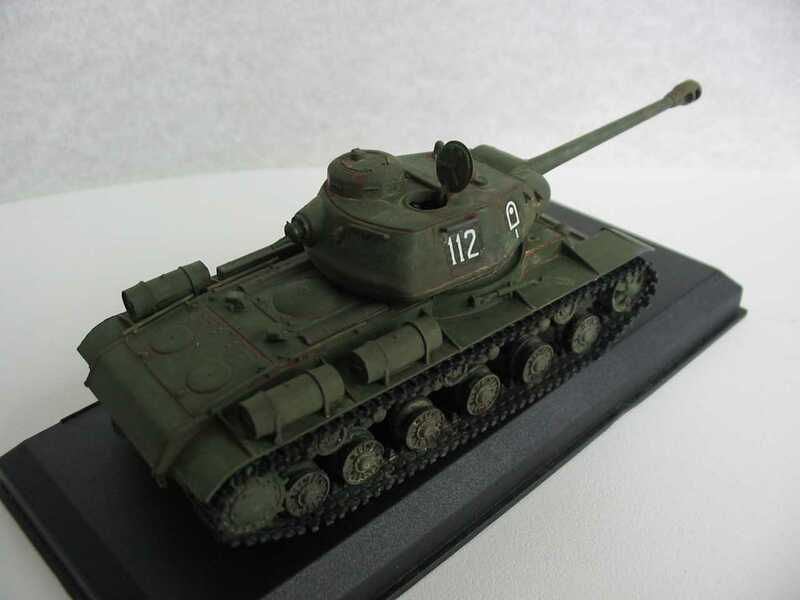 More then 800 KV-1A tanks were produced. 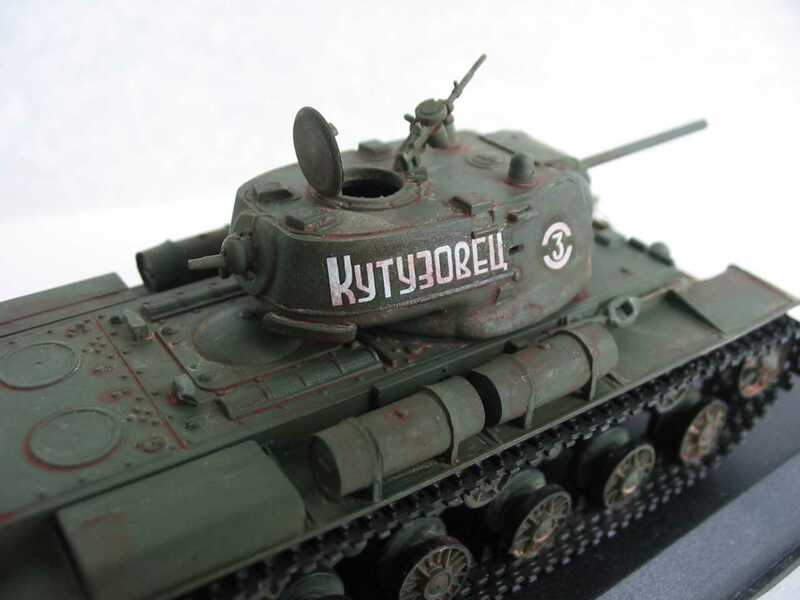 The KV-1B was the next step of modernization. 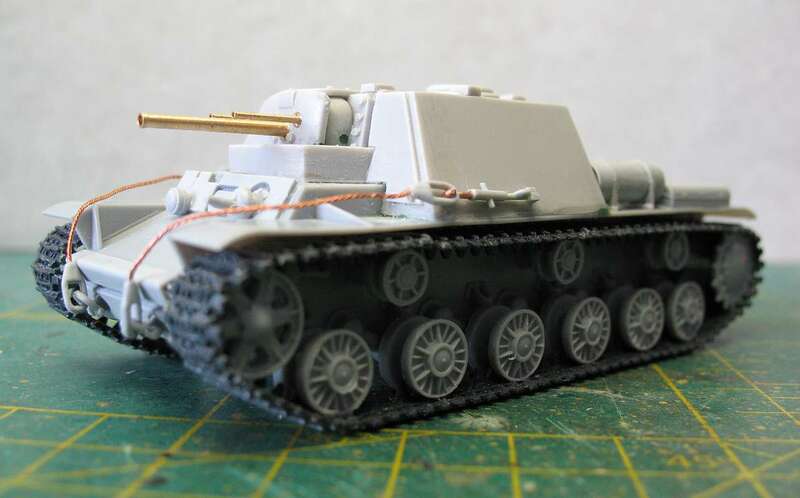 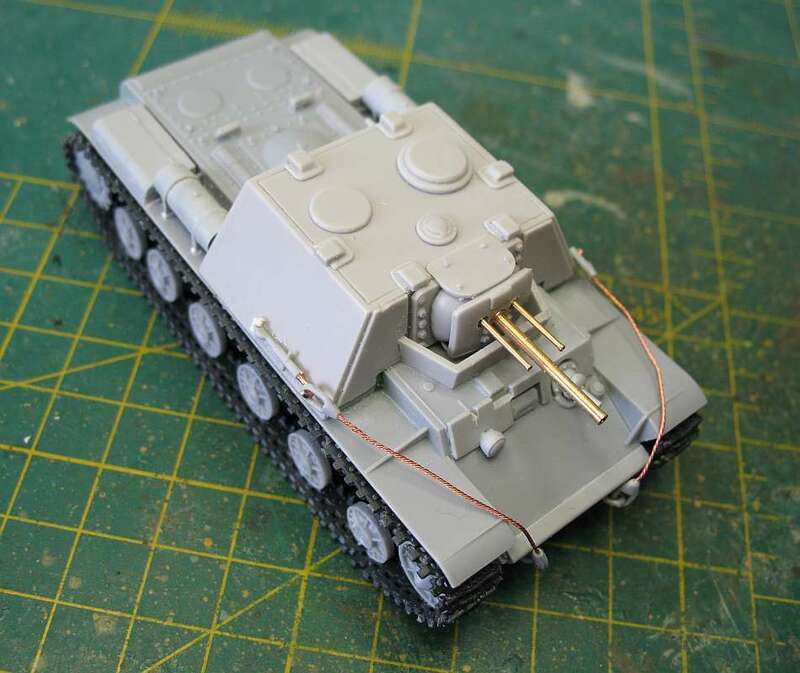 The F32 gun was replaced by the more powerfull ZIs-5 gun and some units of tank were somplified. 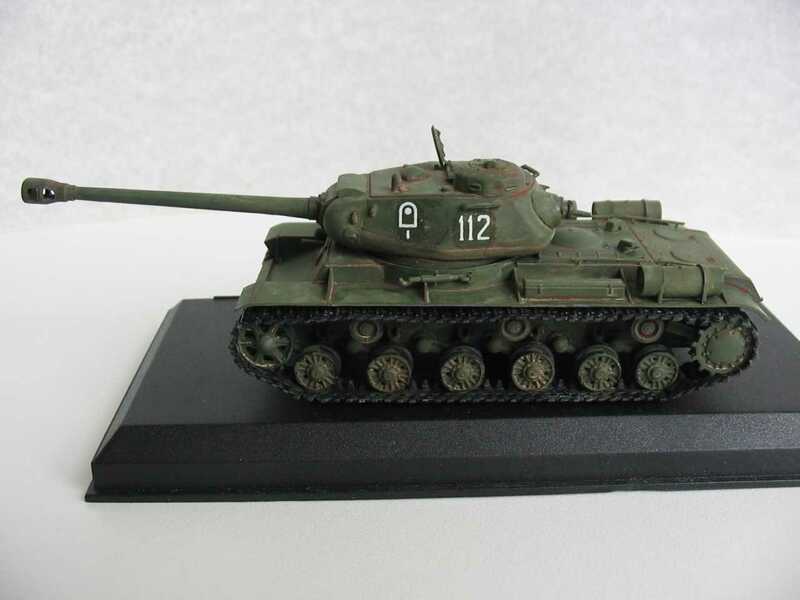 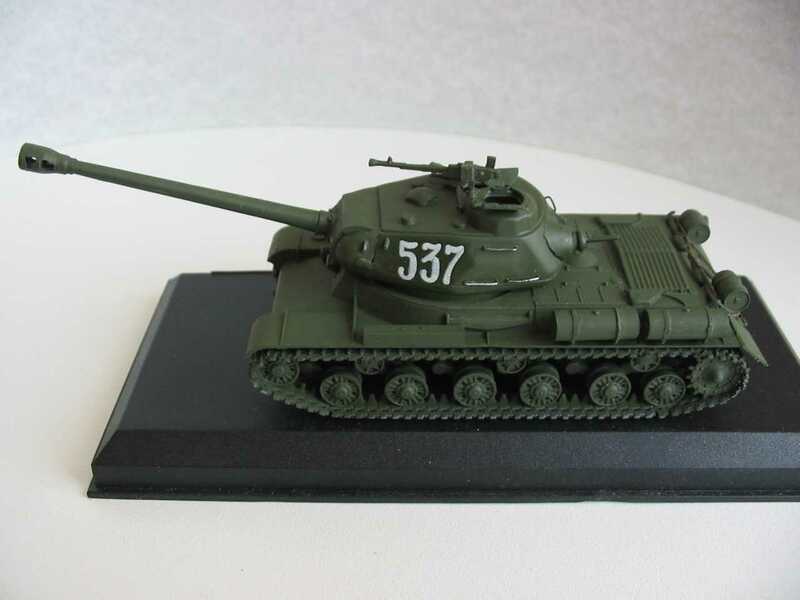 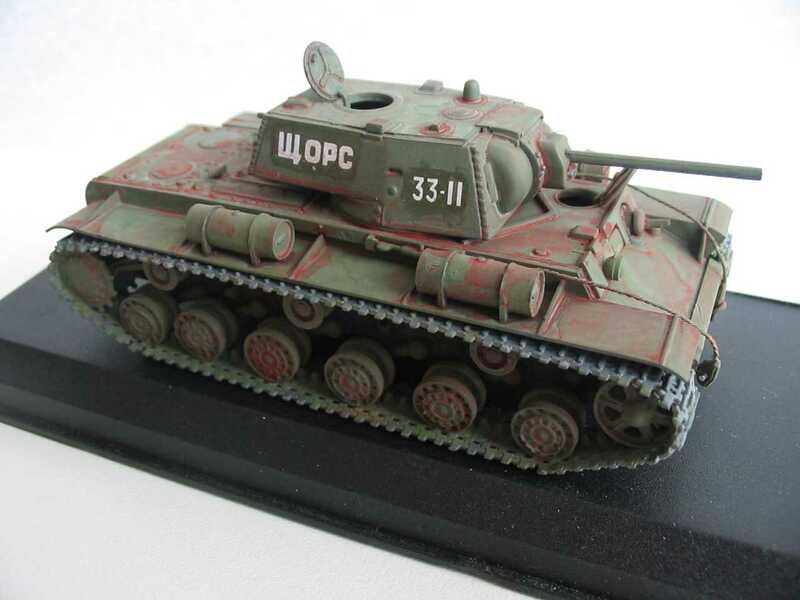 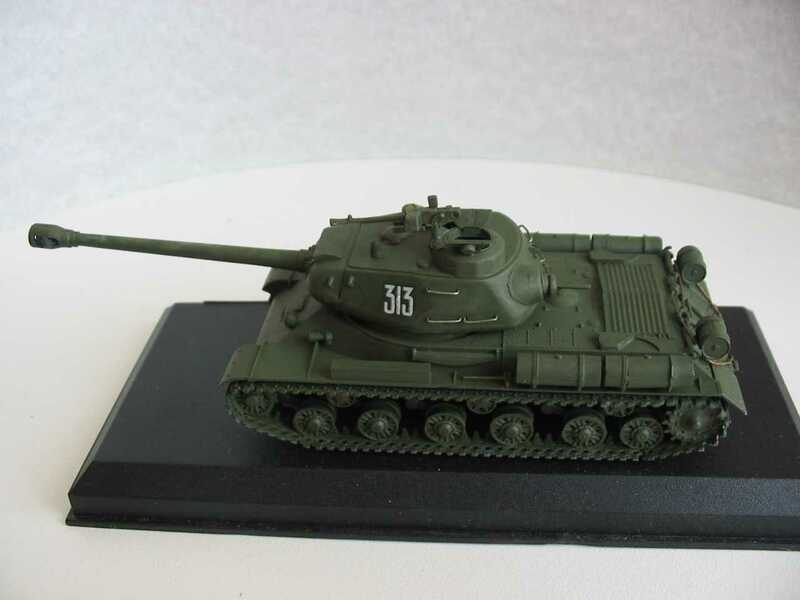 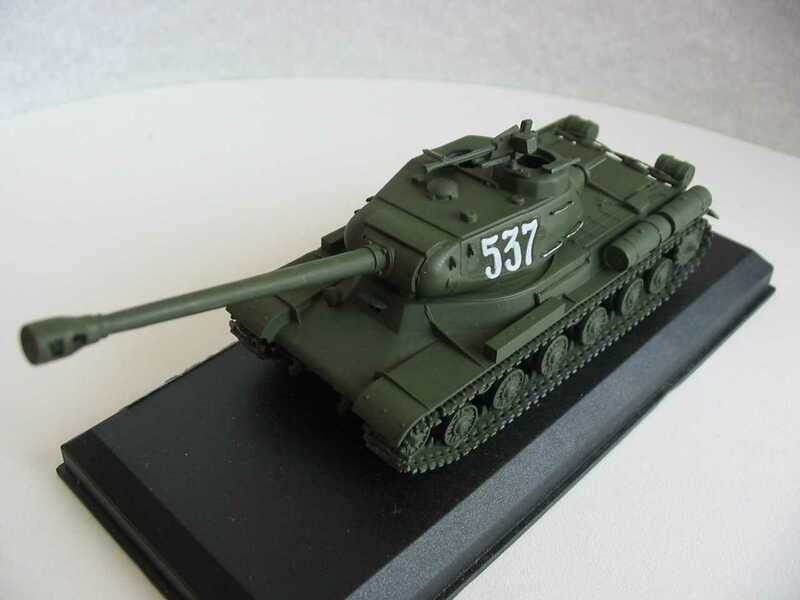 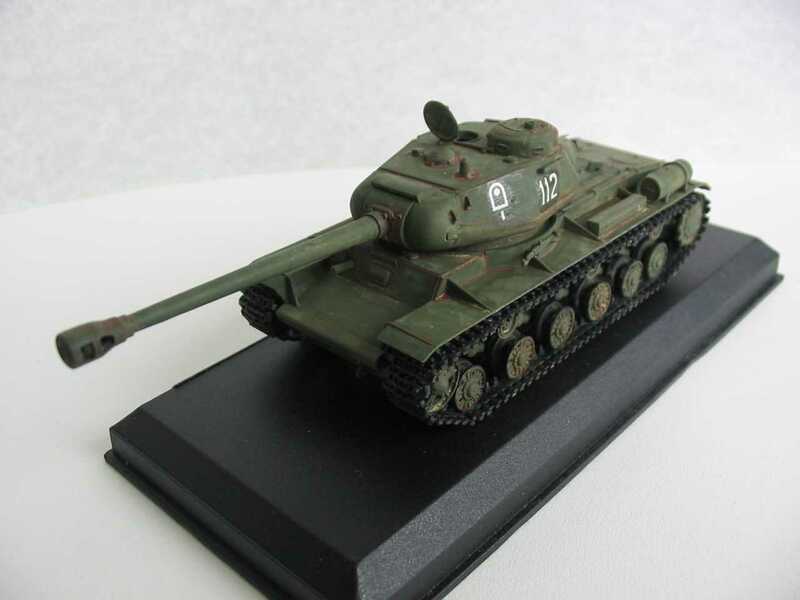 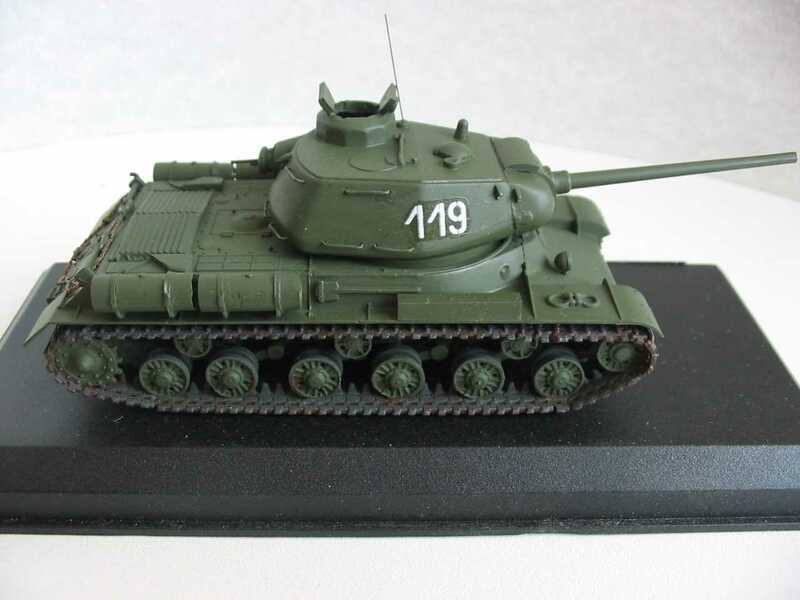 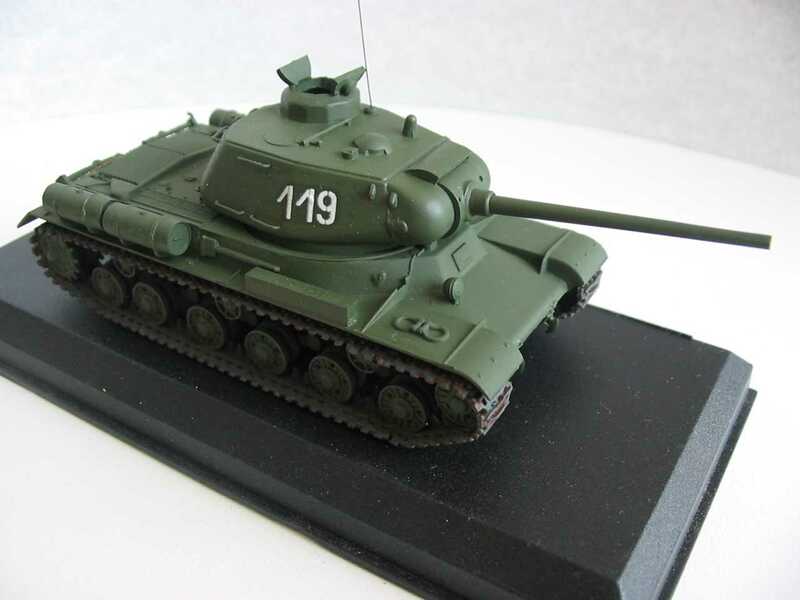 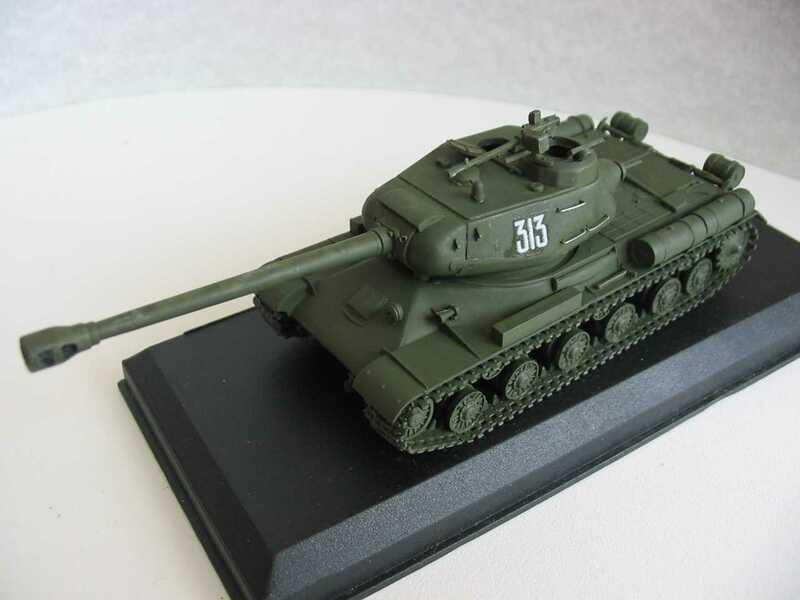 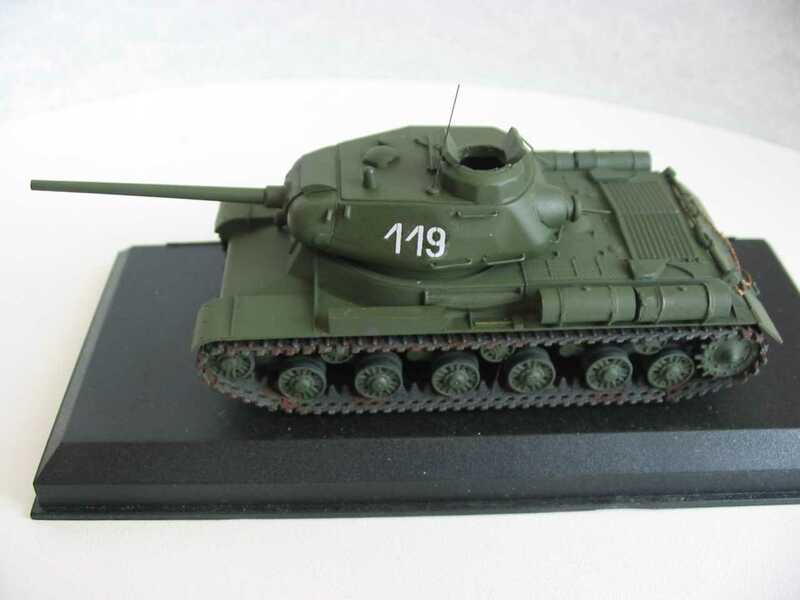 The KV-1B tanks were in production since November 1941 untill first half of 1942. 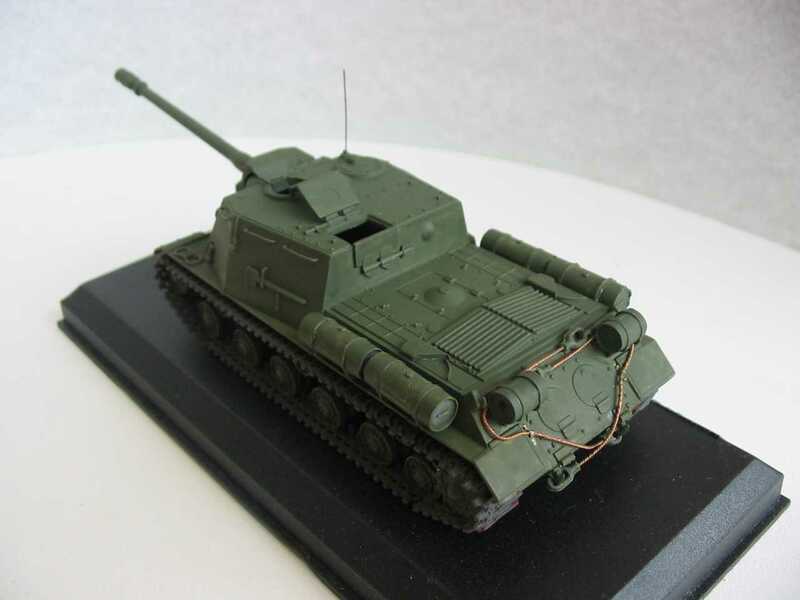 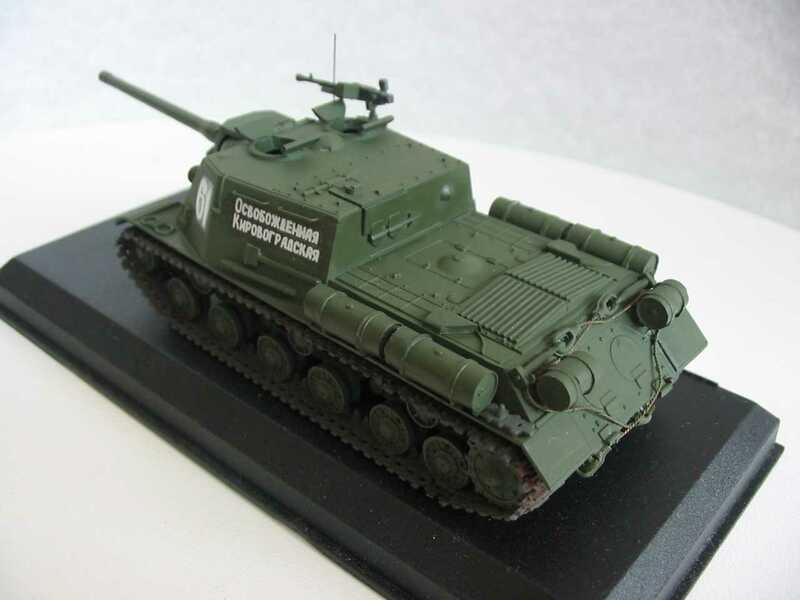 This type of KV was released in Cheliabinsk city (South Ural). 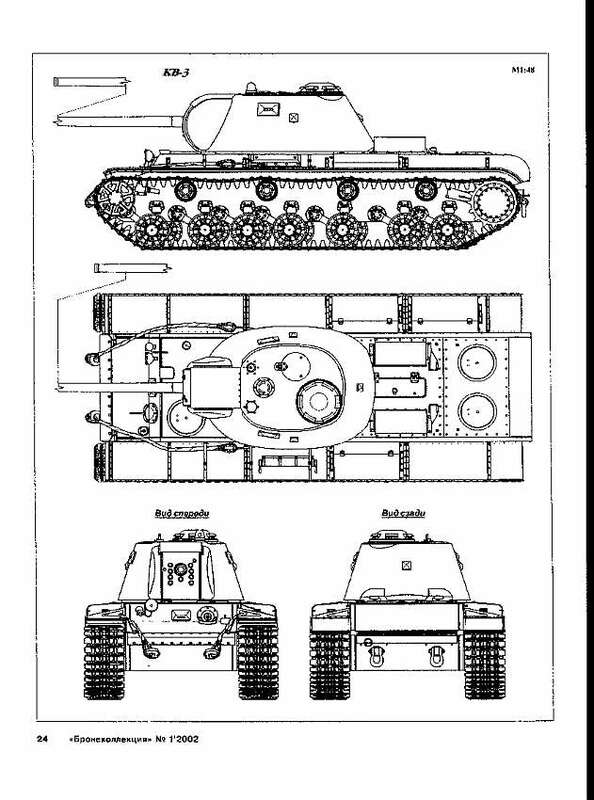 Totally several hundreds were built. 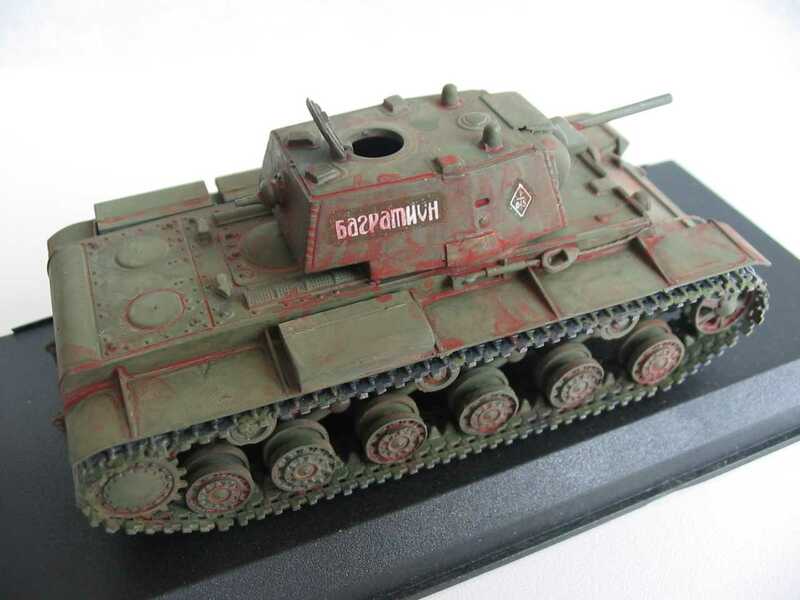 KV-1B Model 1941-42 Tankograd turret, applique armour and with Zis-5 gun. 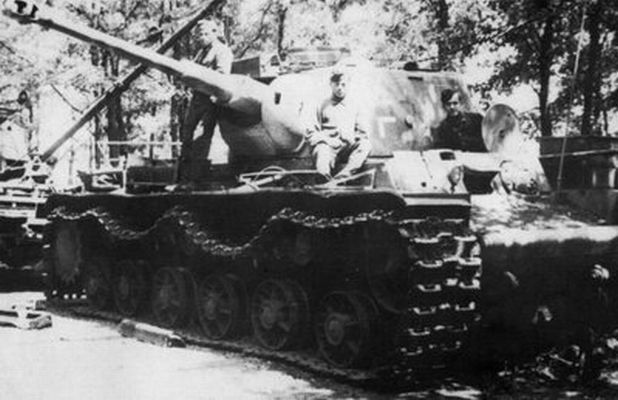 The KV-1S "Skorostnoy" was accepted on the arm of the Red Army in August 1942 and was in service until September 1943. 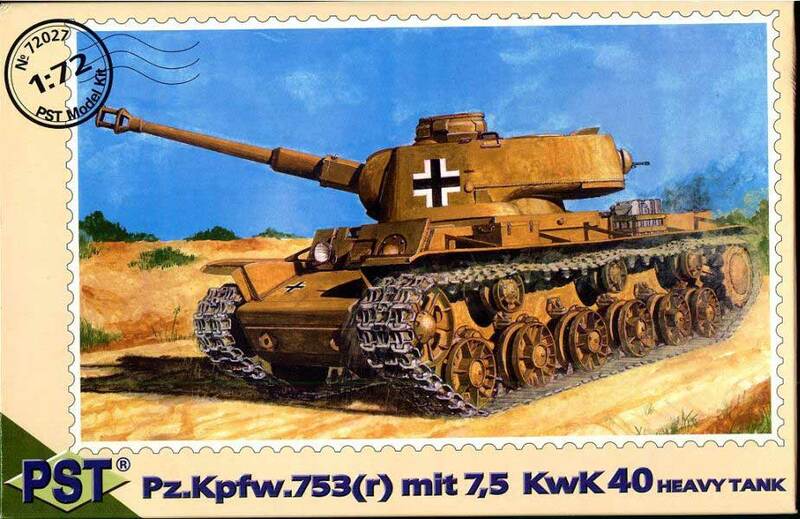 In total more then 1106 KV-1S were produced. 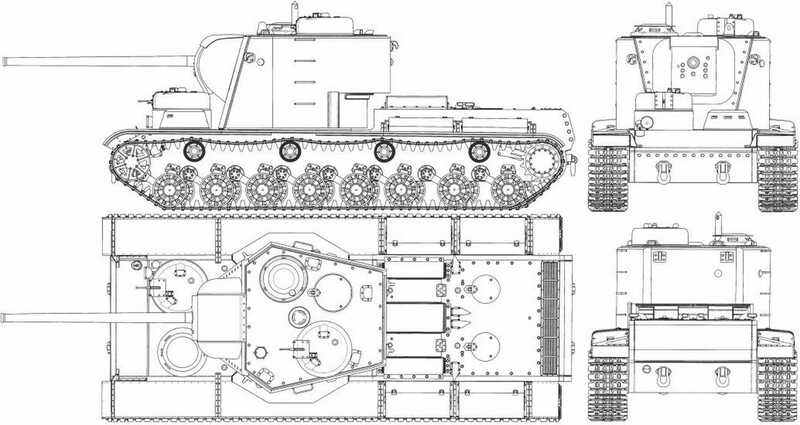 The modernizing of the previous types of tanks of this series consisted in thinning-down of the hull armor, lowering of a mass of aggregates of power transmisson, roadwheels and turret. 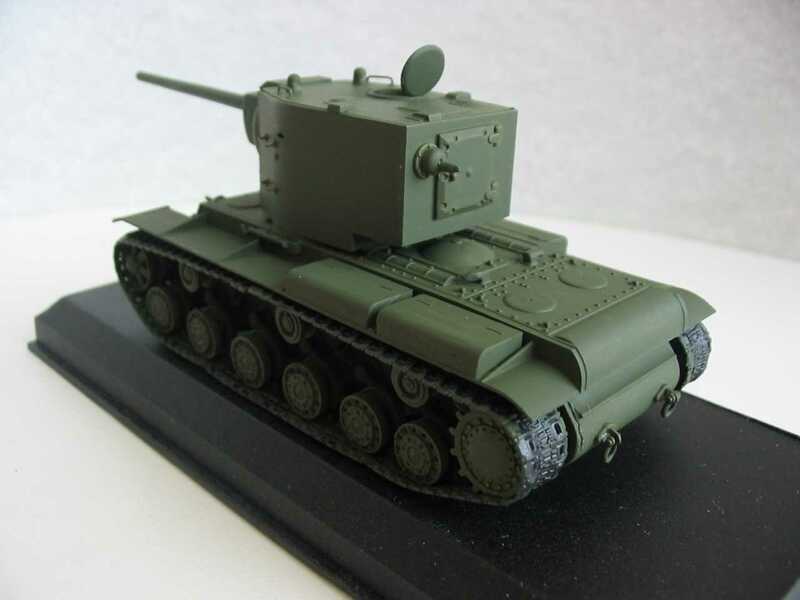 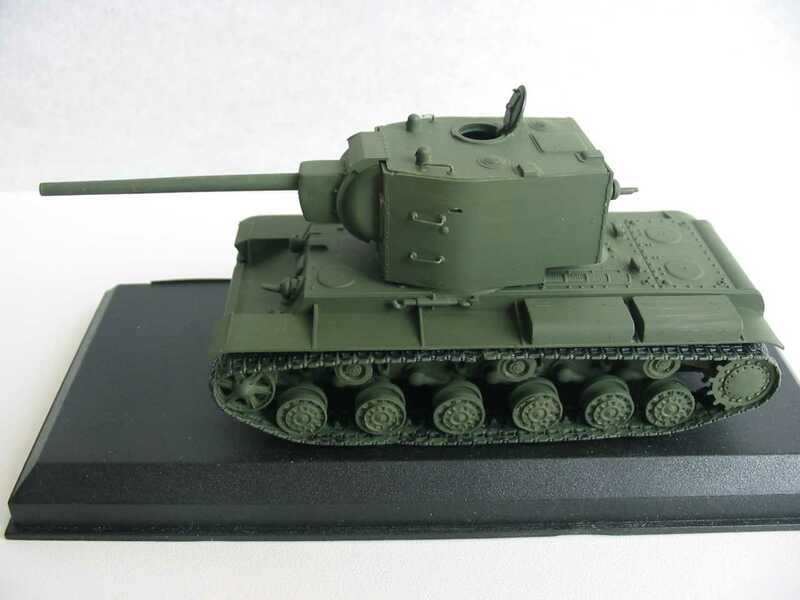 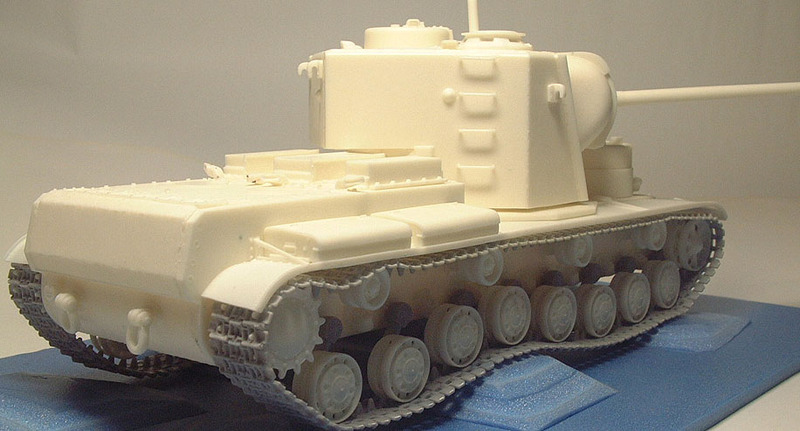 New cast turret was the key feature of the KV-1S tank.The KV-1S differed from the previous models by small sizes and weight. 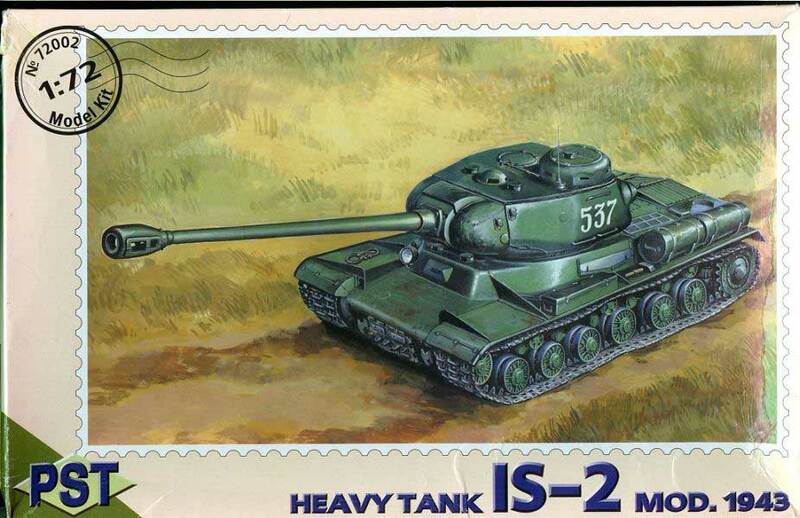 These design alterations have improved better operations conditions for crew, and increased the velocity of the tank. 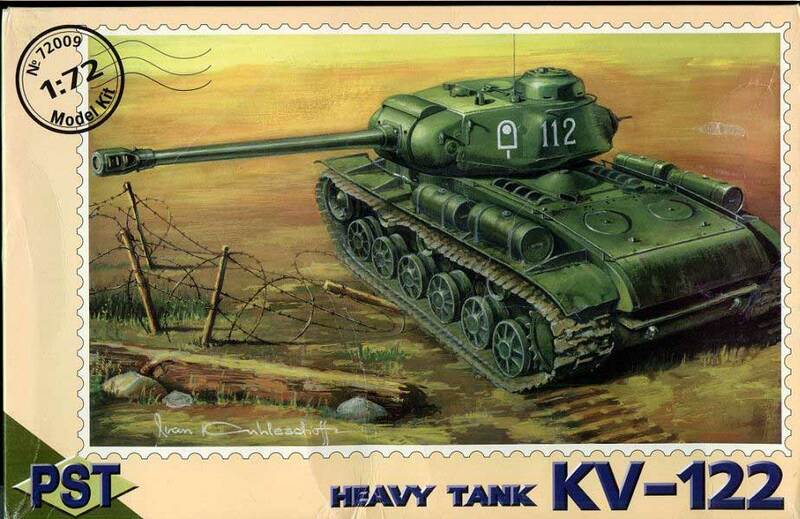 During the WW-II the KV Tanks were permanently improved taking in account of experience of their battle applying. 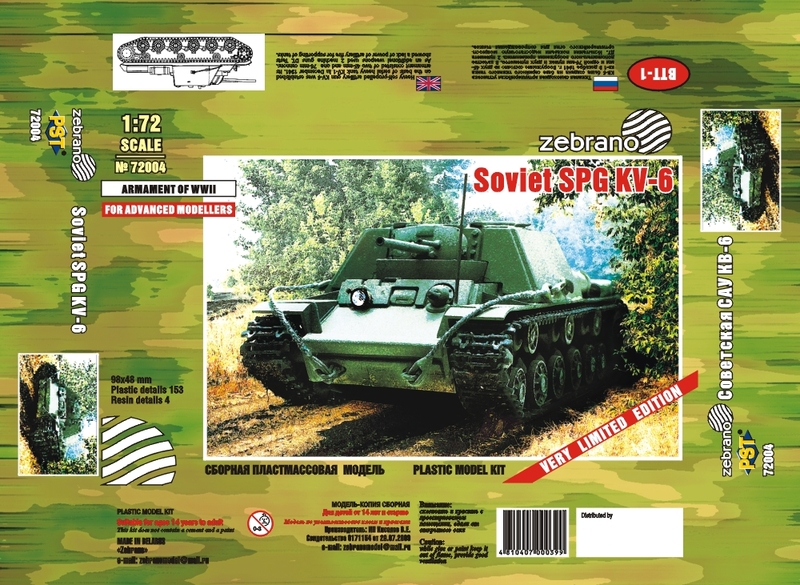 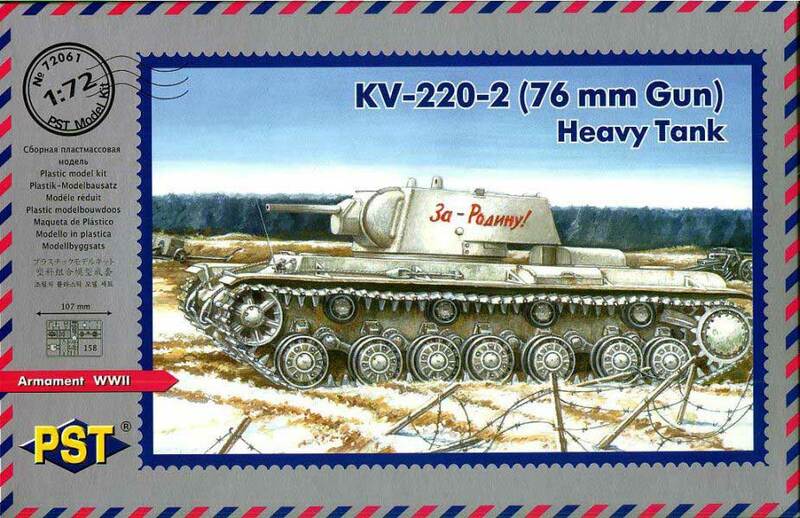 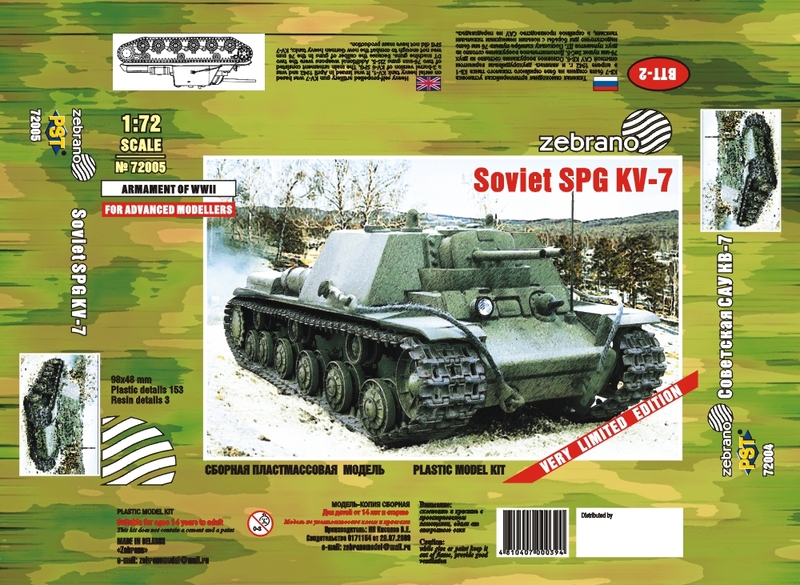 In 1942, in connection with adopting by the German Army of new anti-tank gun PaK 40, the command of Red Army had made a decision to strengthen armouring KV tanks. 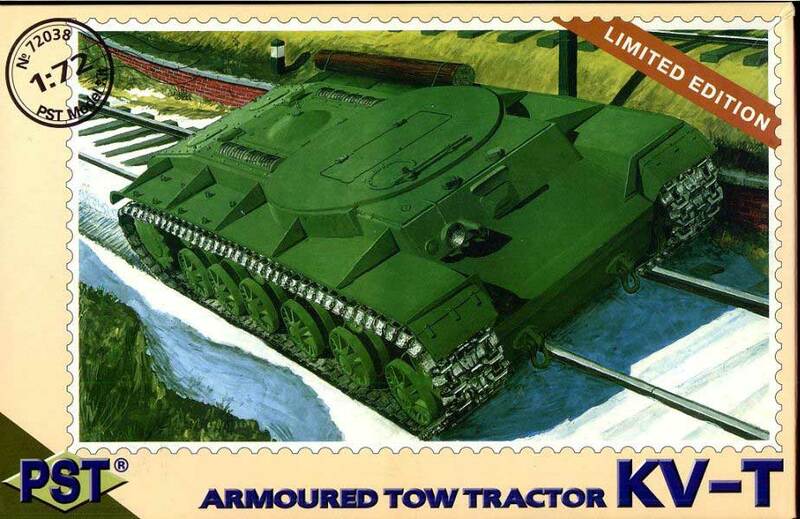 With this purpose the new cast turret was designed for KV tanks, the thickness of walls was lead up which one to 120mm. 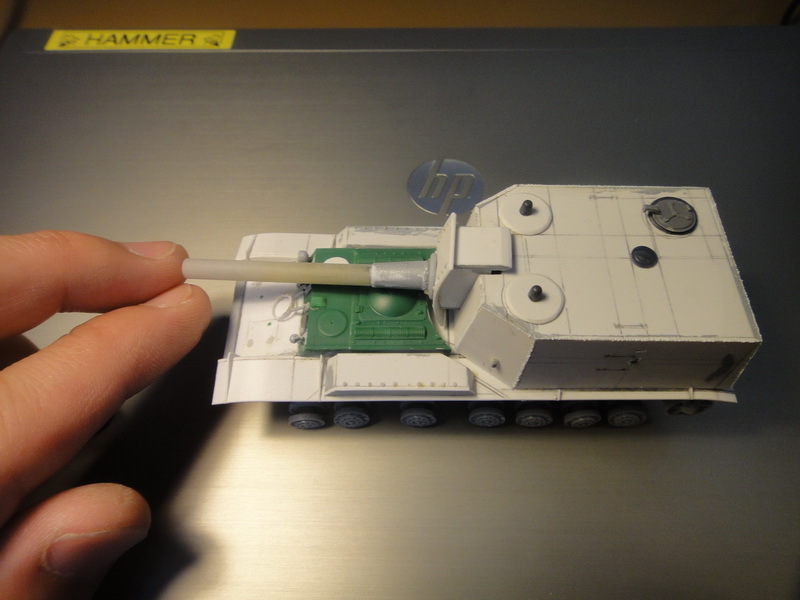 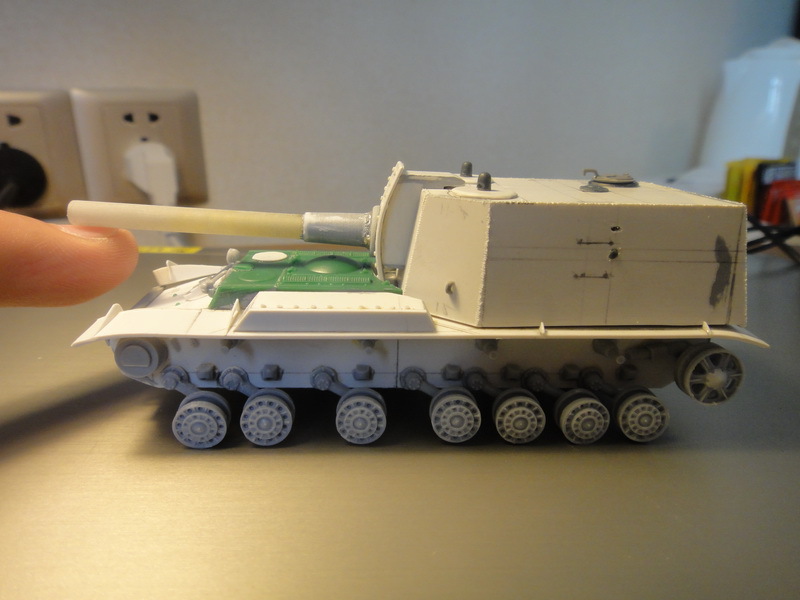 Simultaneously thickness of a frontal hull armour was increased up to 90mm. 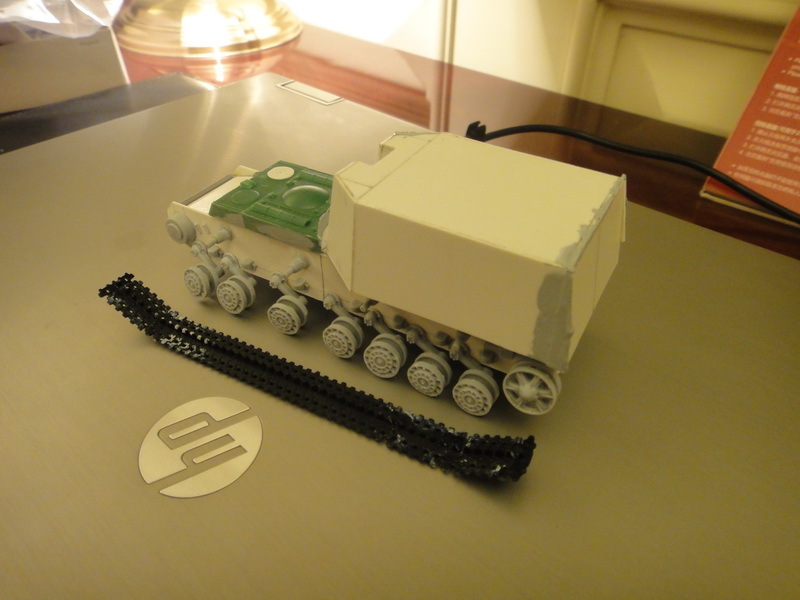 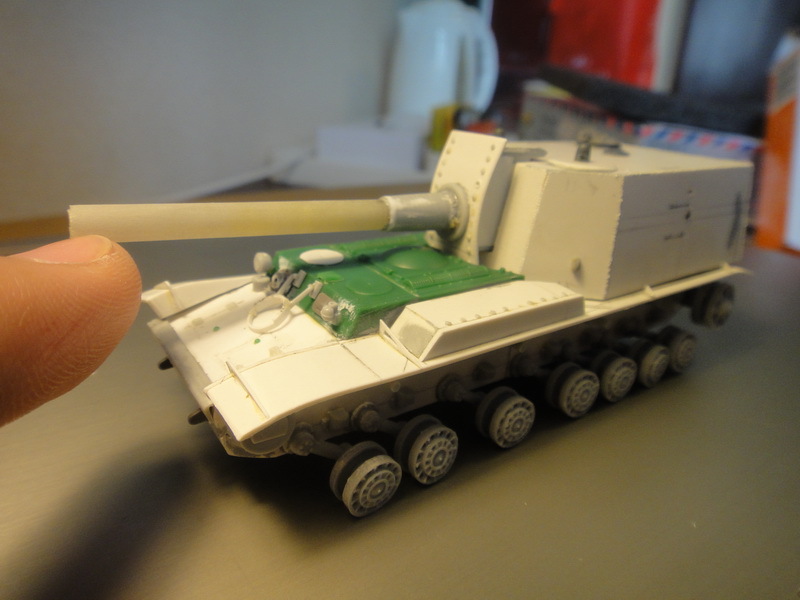 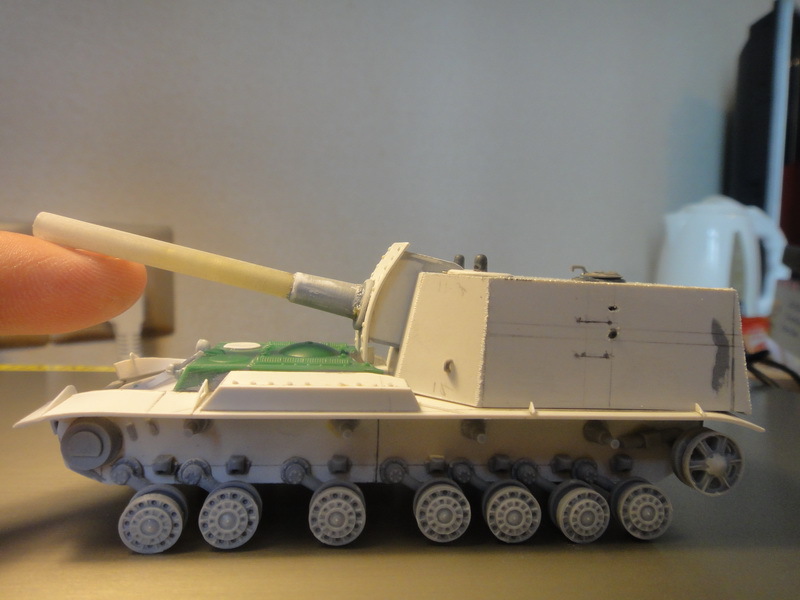 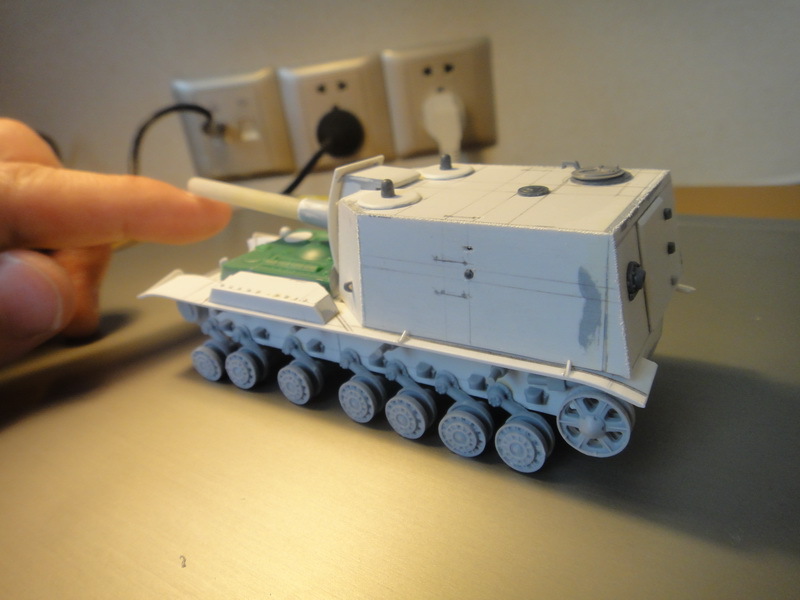 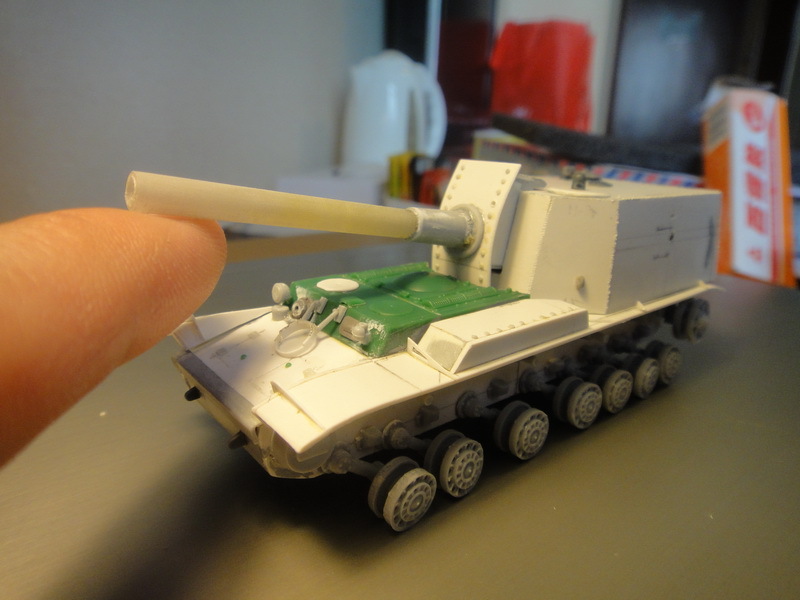 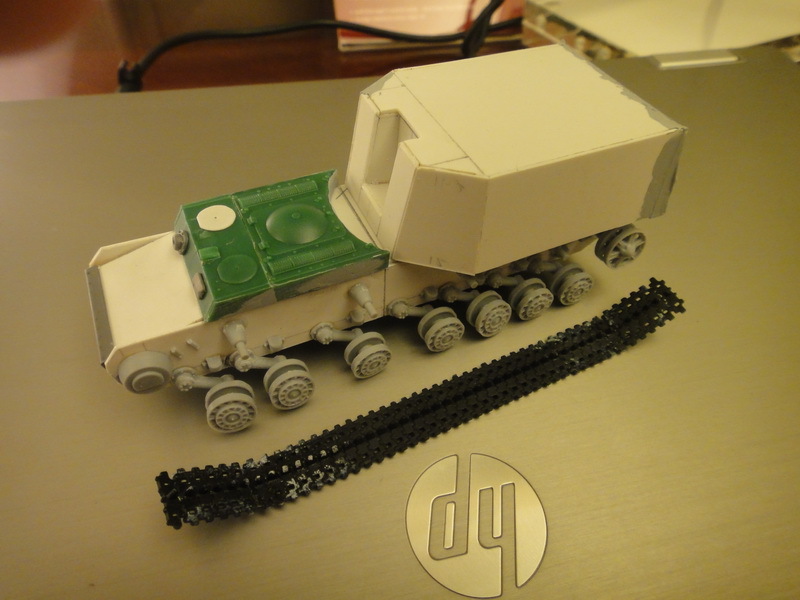 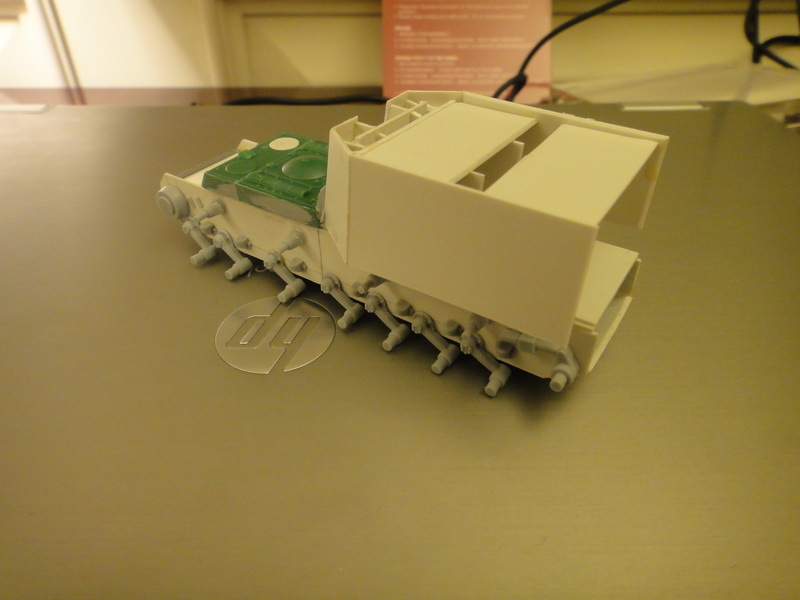 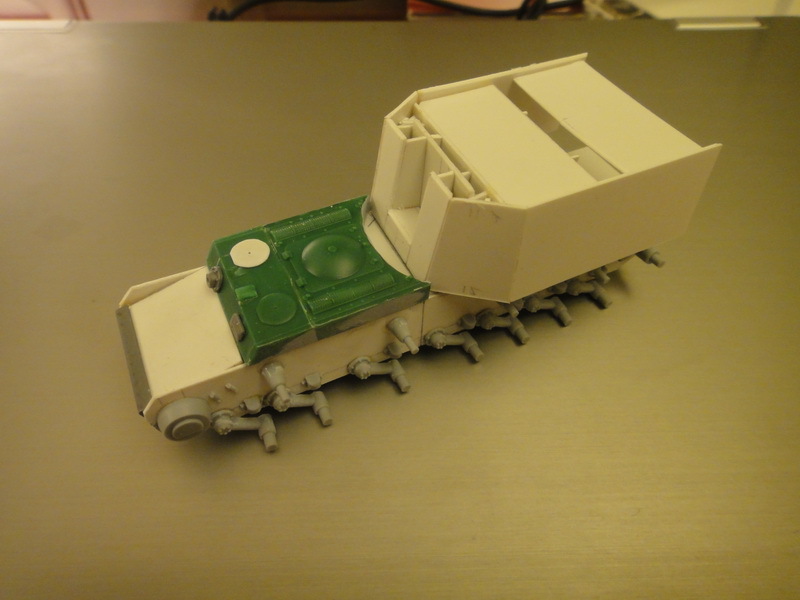 Different unit and parts of the tank also were improved. 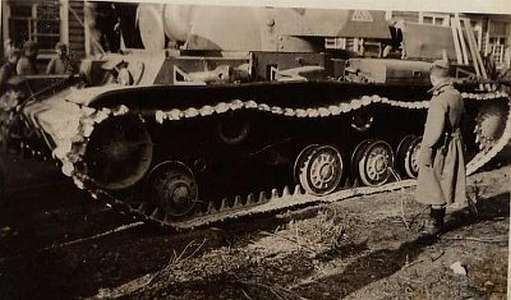 In particular, the simplified bearing wheels were applied. 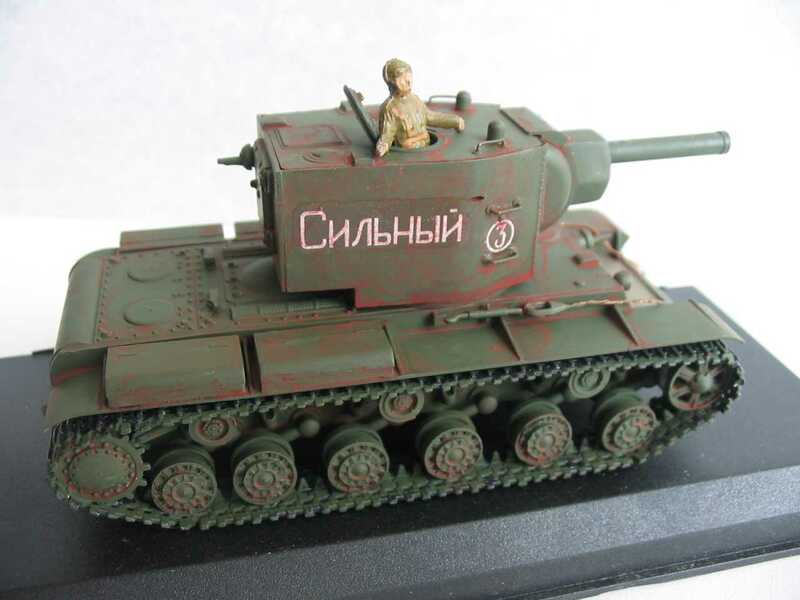 The given modification of the tank had receiving the naming "KV-1 of a sample of 1942" (or KV-1C on the Western nomenclature). 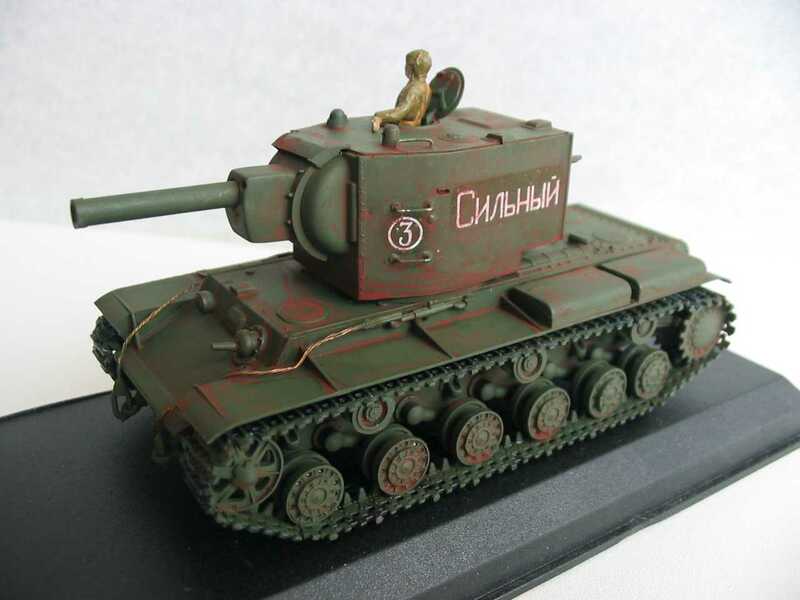 More then 1000 KV-1C in total were manufactured, the majority of which one was wipped out during battle operations in 1942-43 years. 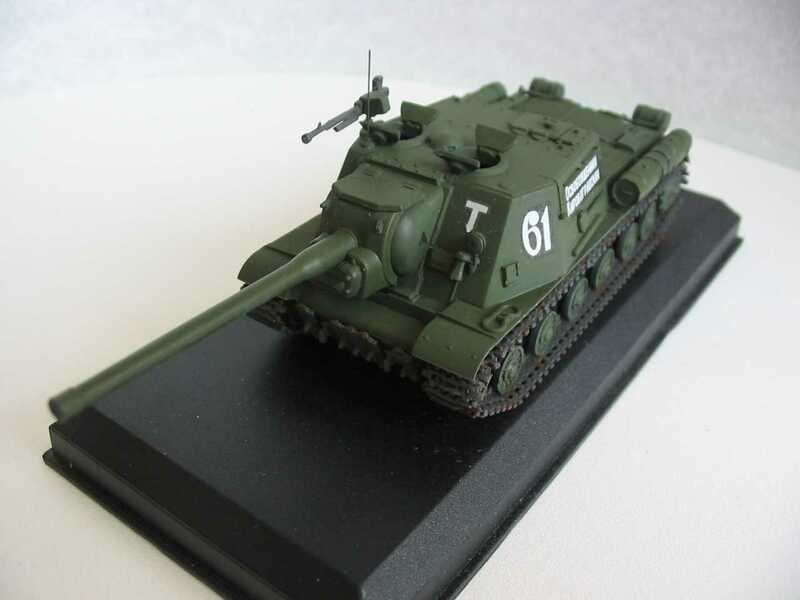 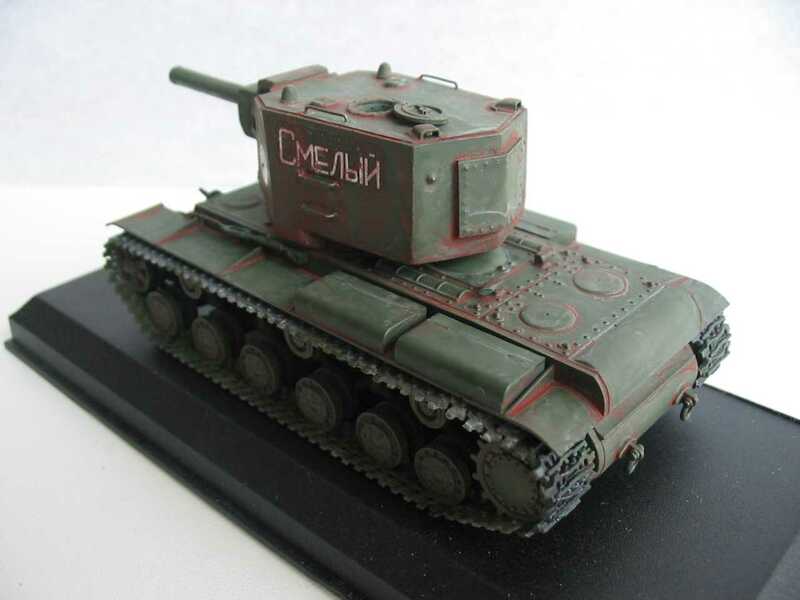 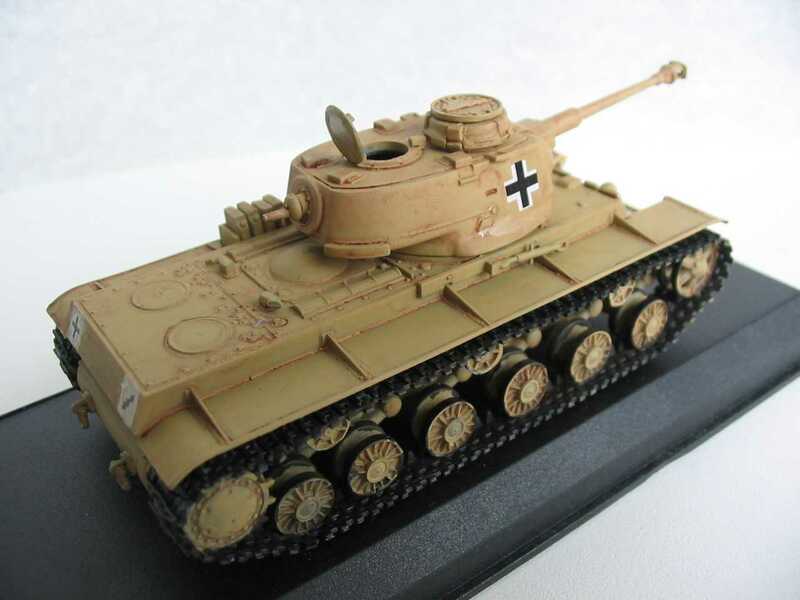 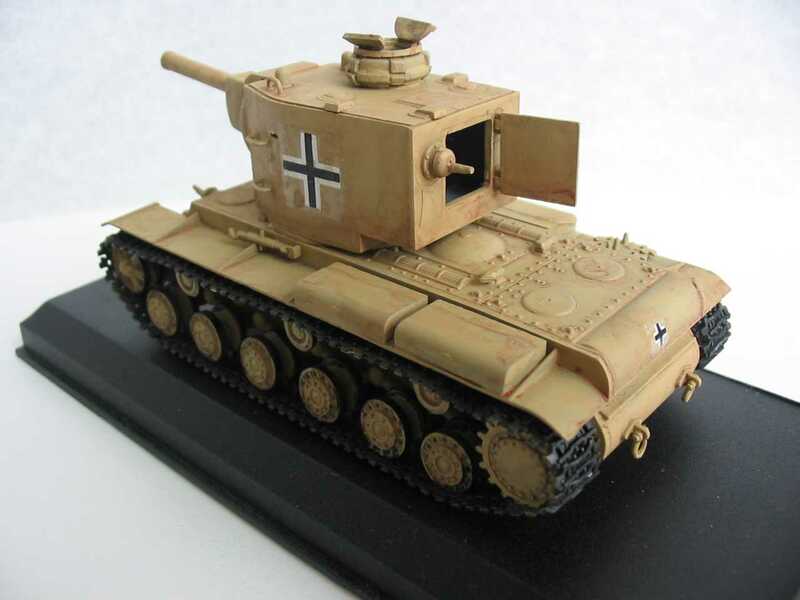 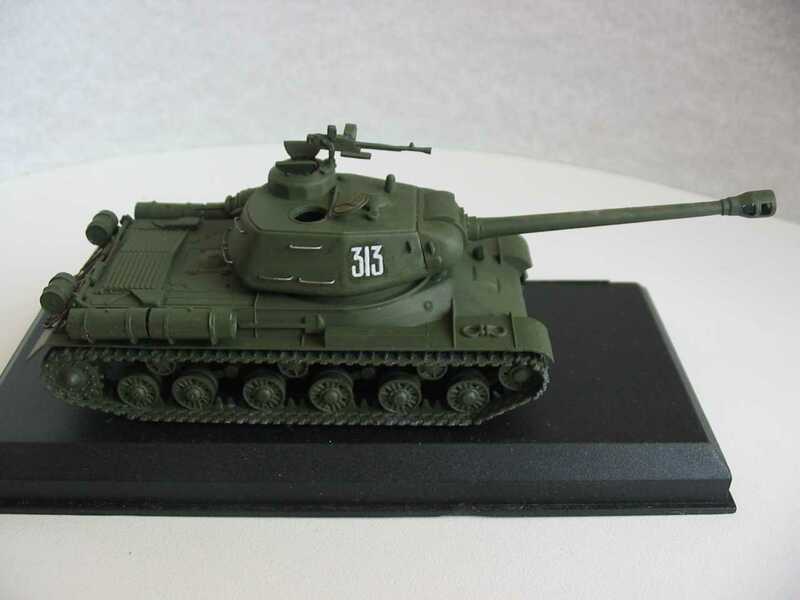 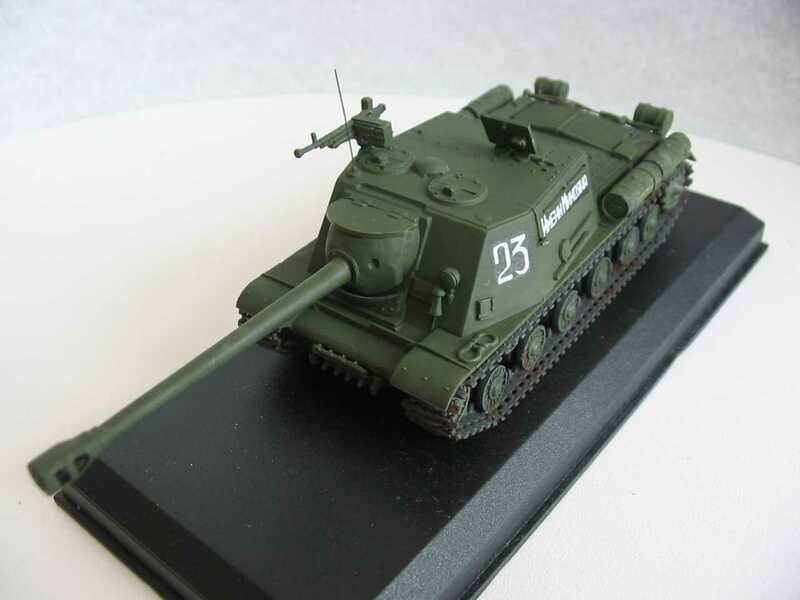 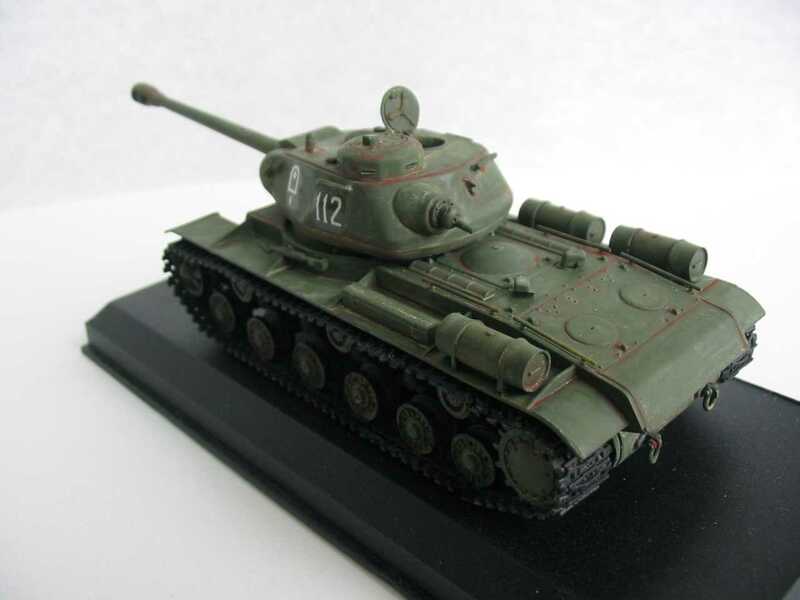 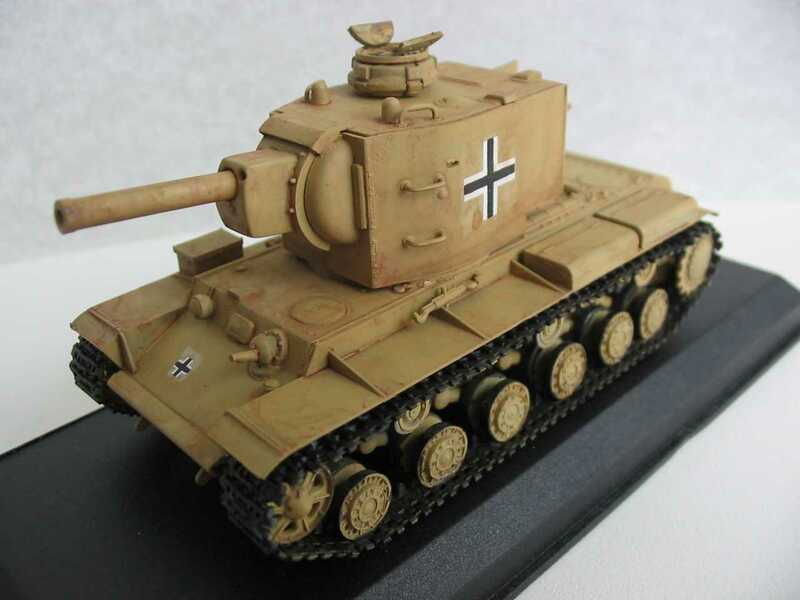 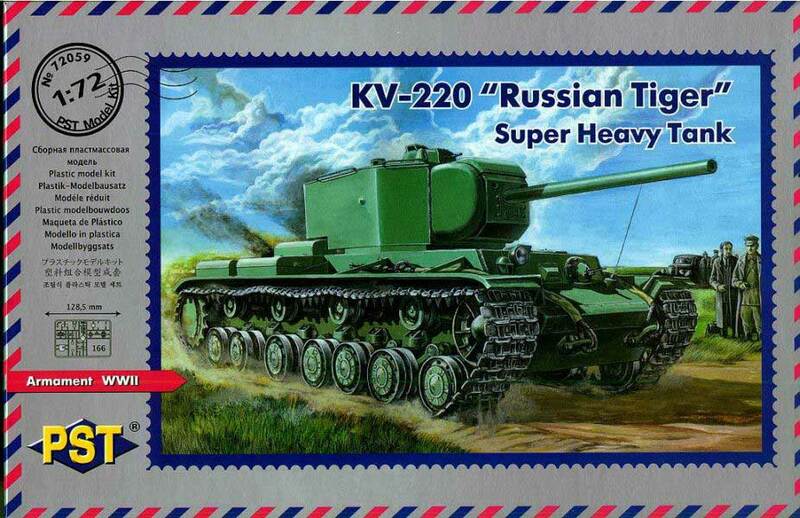 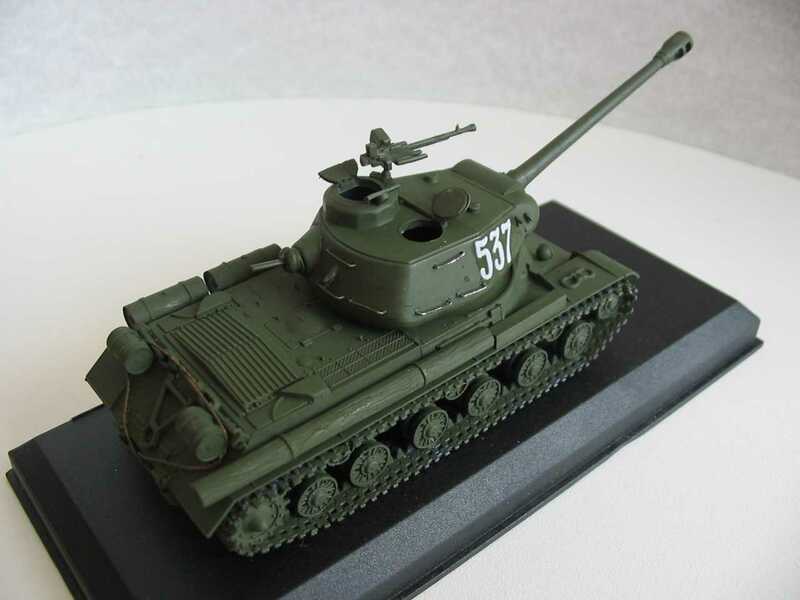 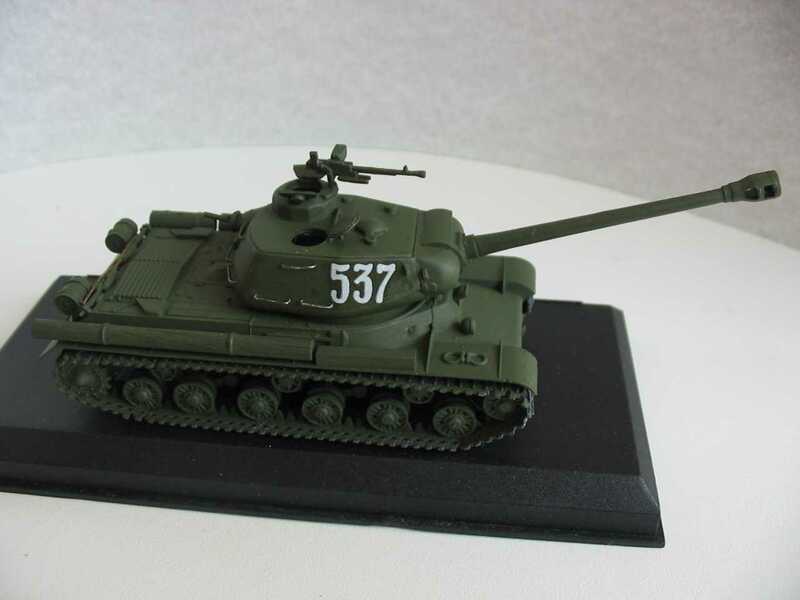 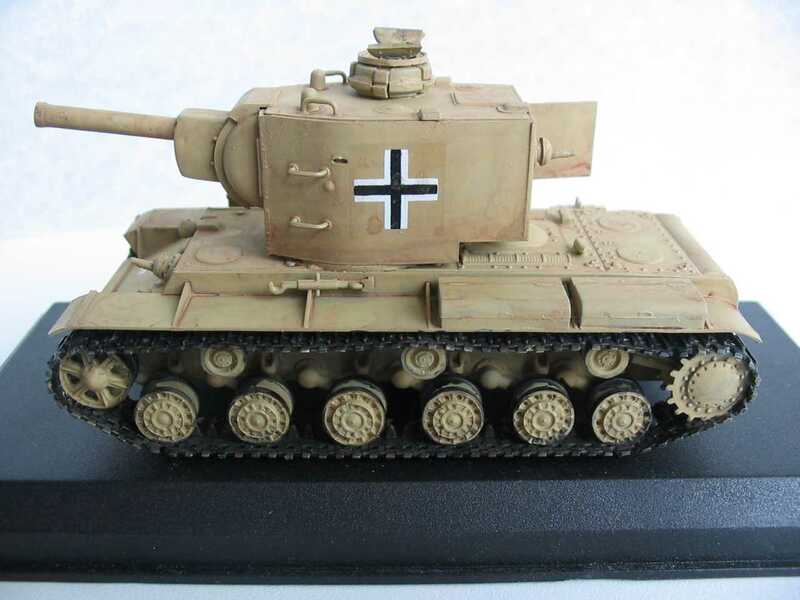 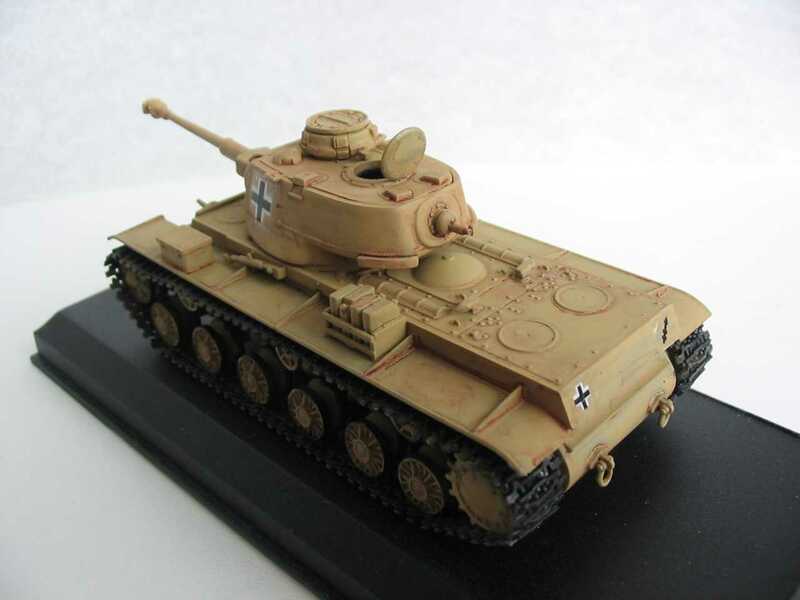 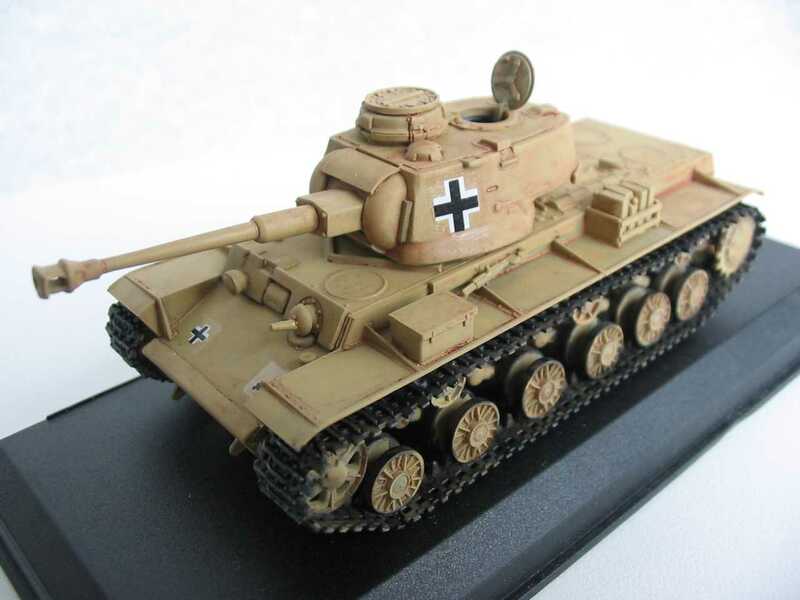 The KV-9 tank was created at the beginning of 1942. 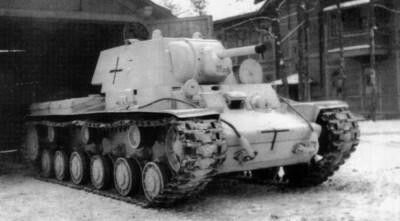 The KV-9 were armed with a 122mm howitzer and had thicker armour (up to 135mm). 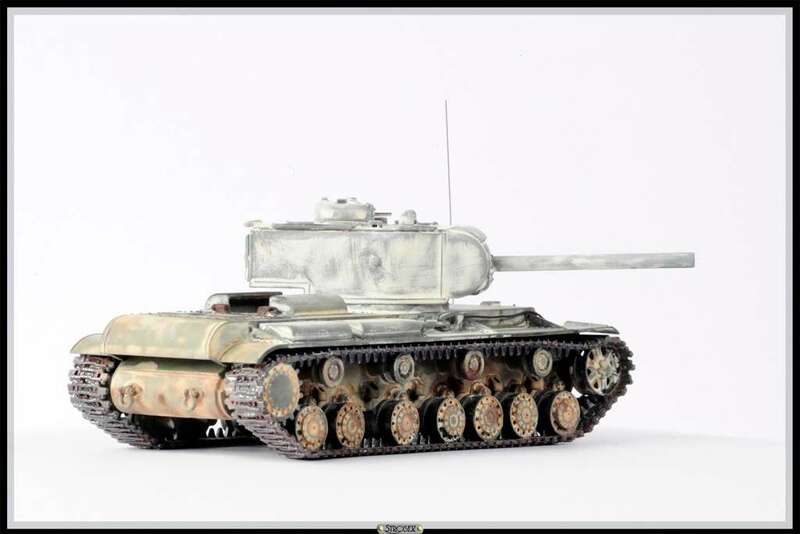 The tank surpassed all previous models of KV tanks on firepower and thickness of armour. 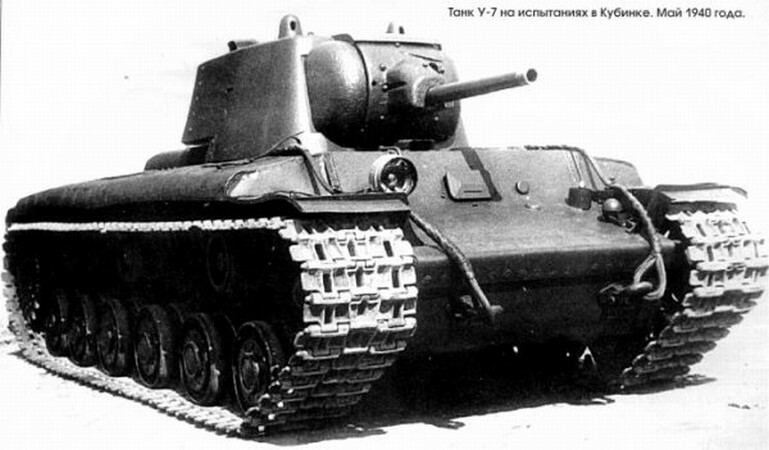 Only 10 KV-9 tanks were built. 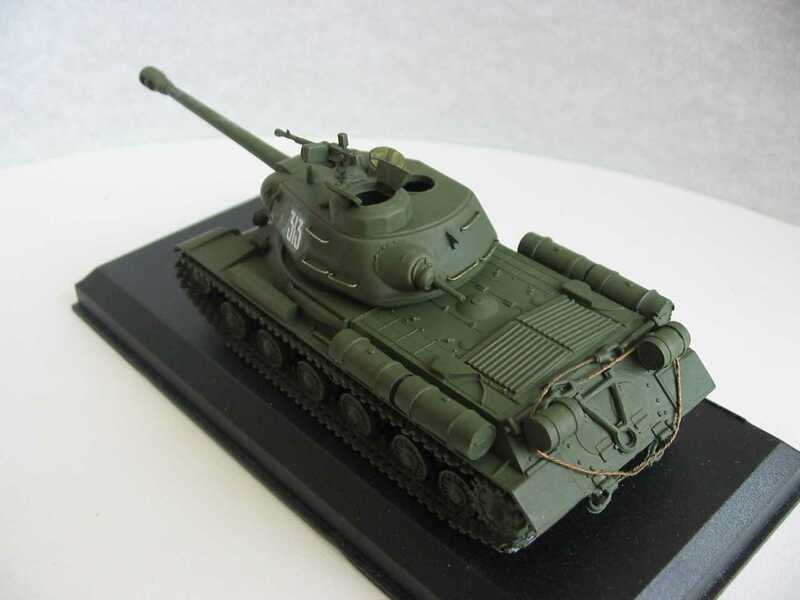 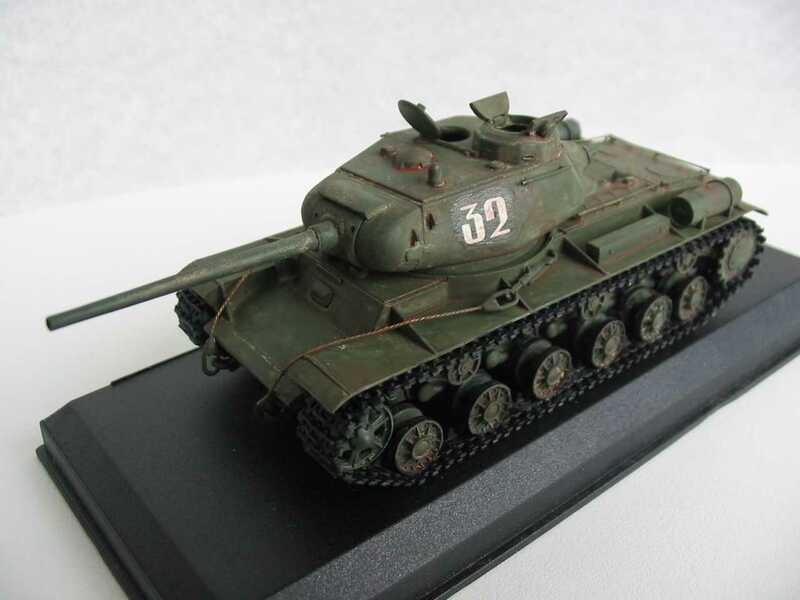 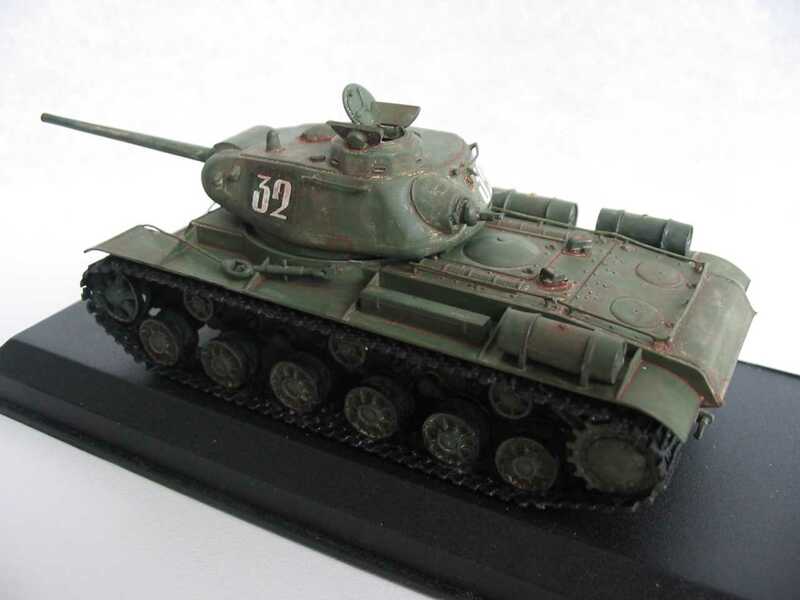 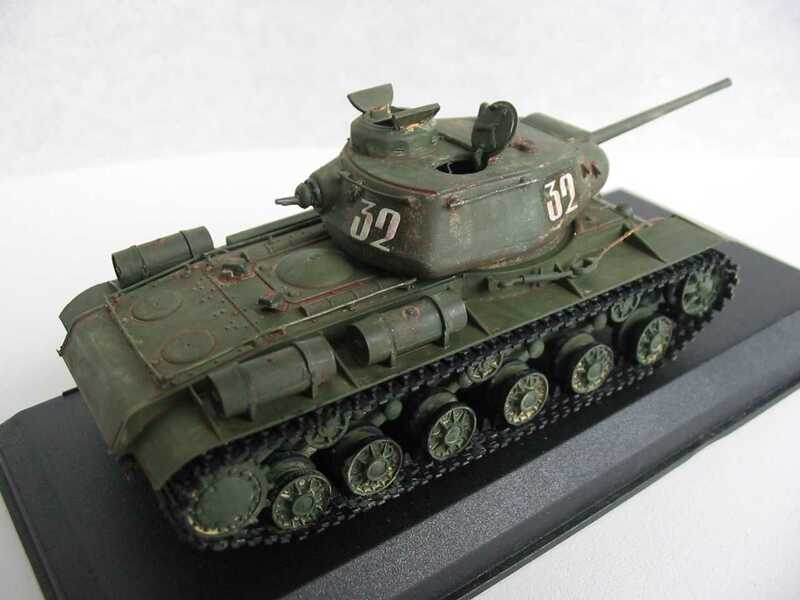 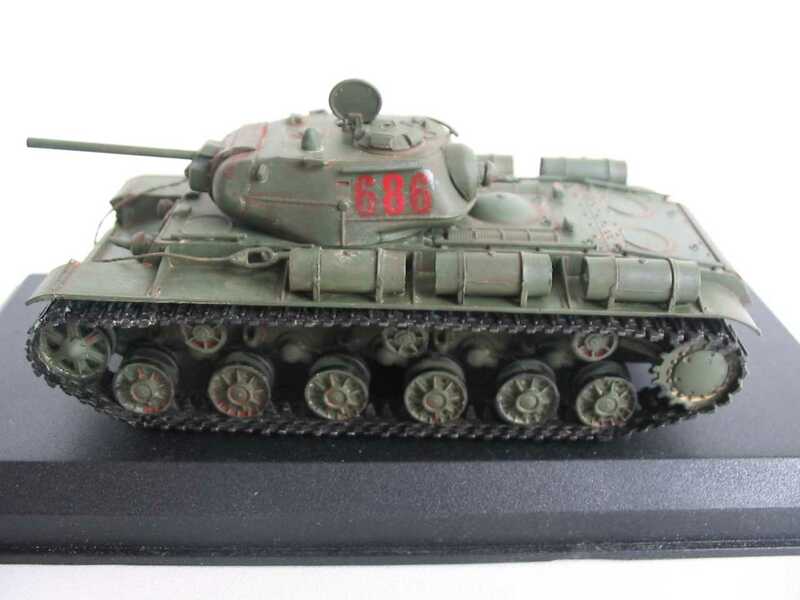 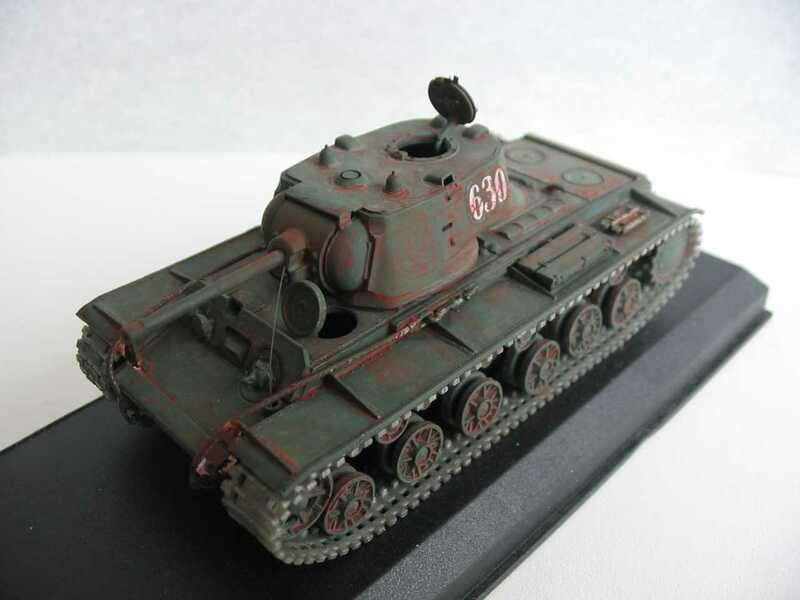 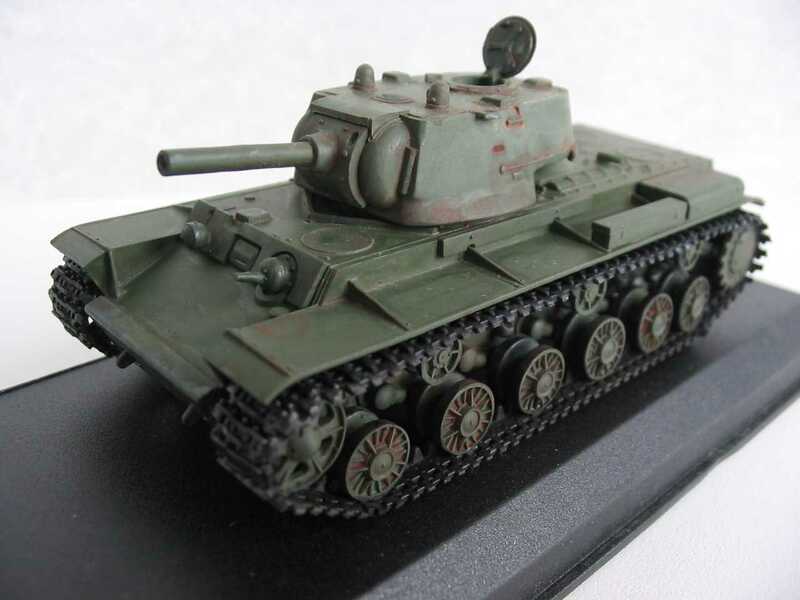 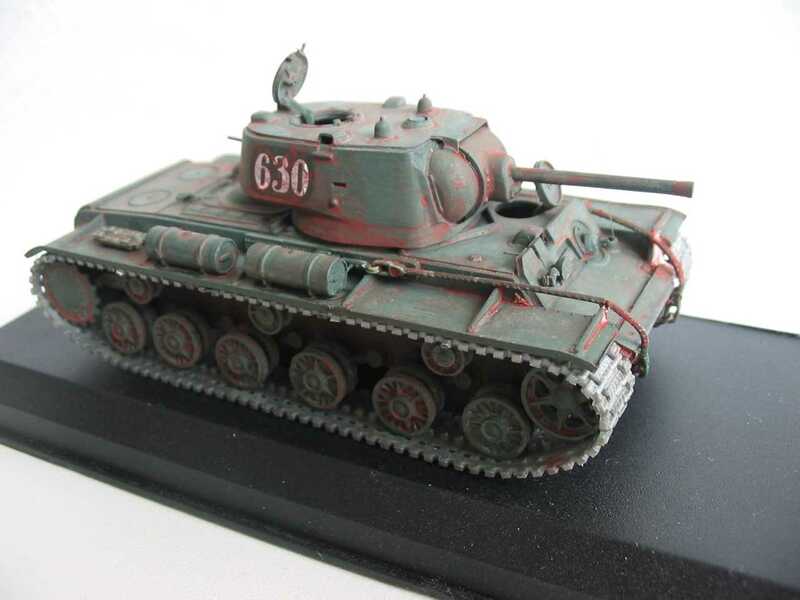 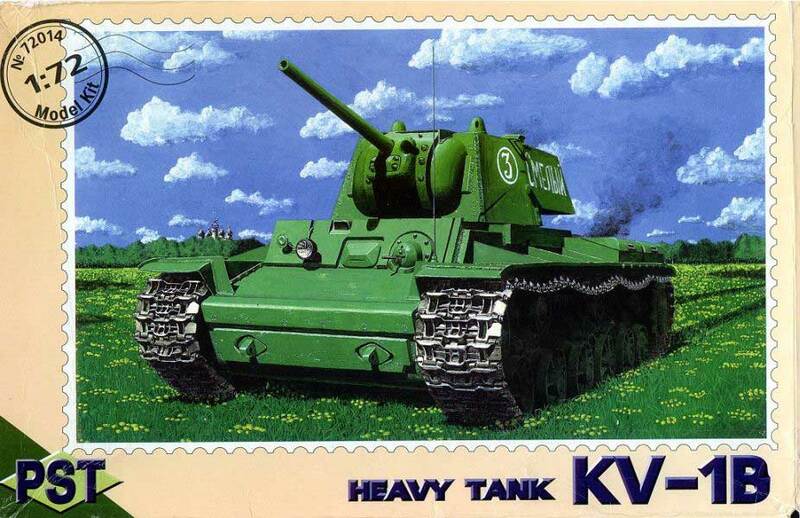 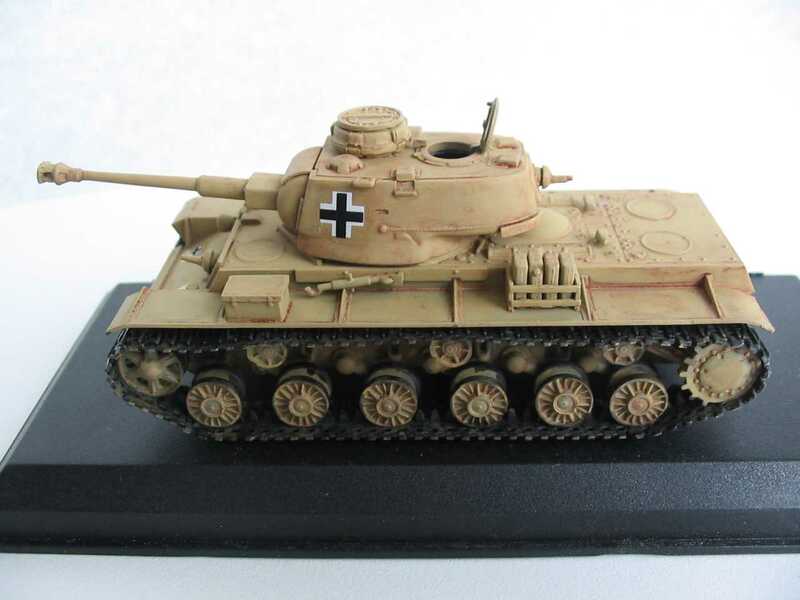 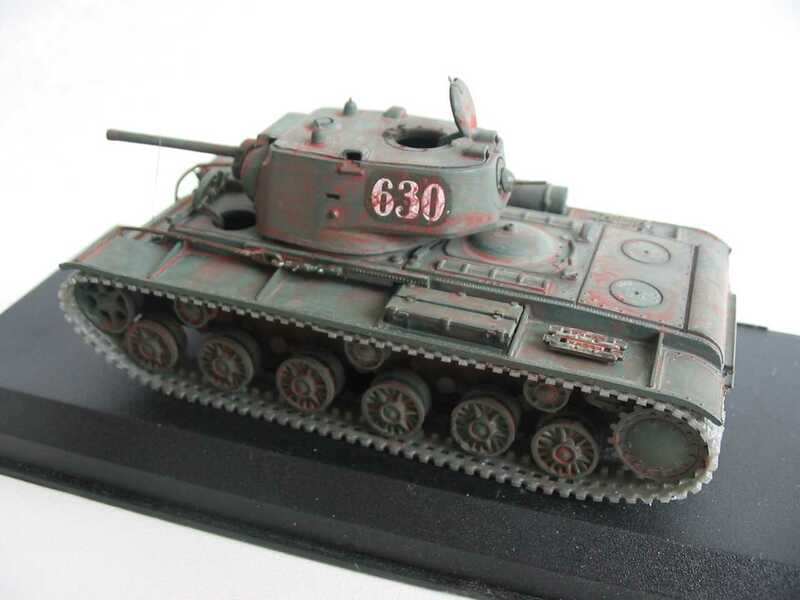 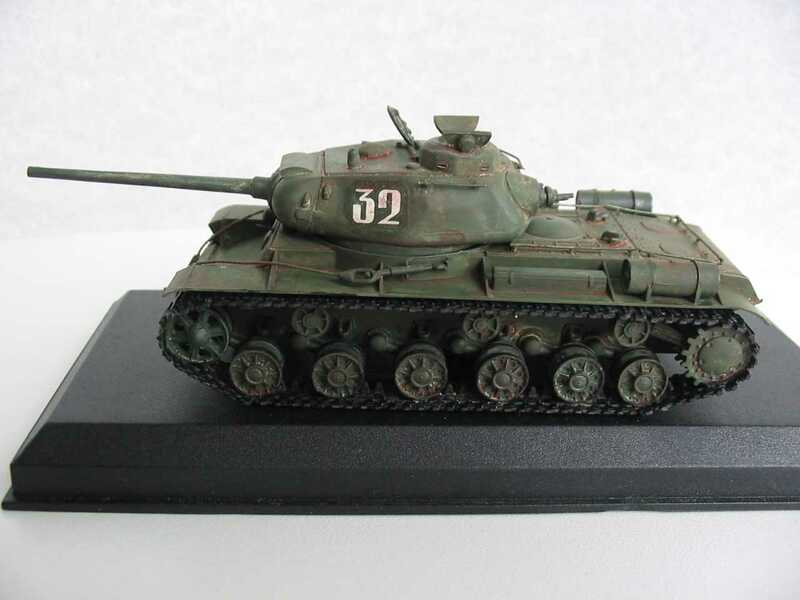 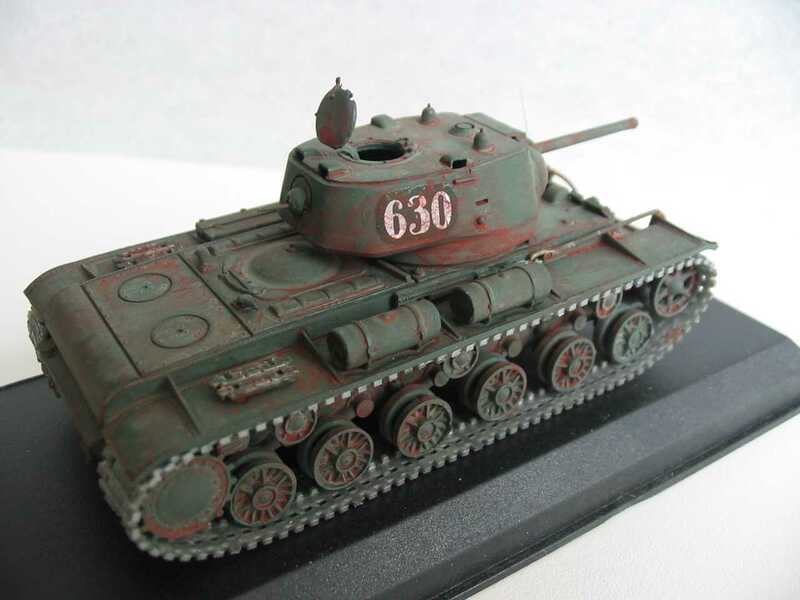 The heavy tank KV-85 was the further development of the "KV" series. 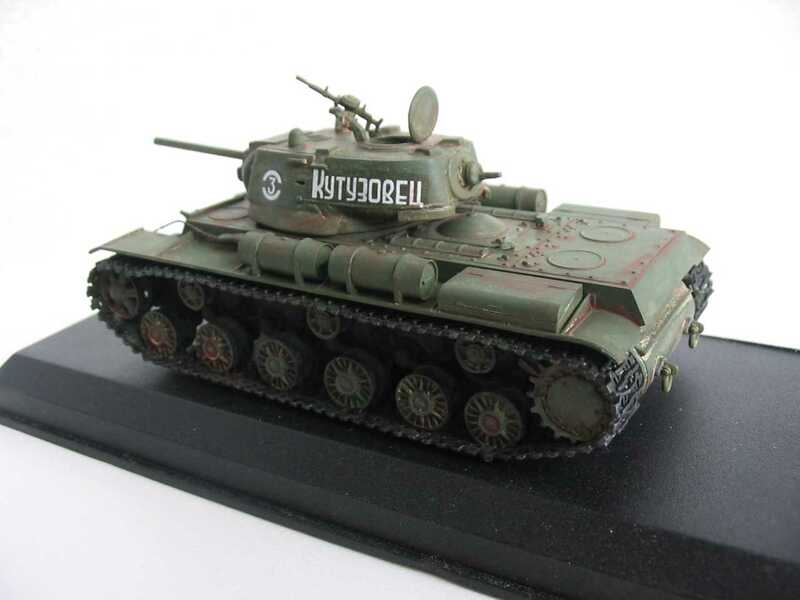 The KV-85 altered service in the Red-Army on September 1943 and was manufactured untill December 1943. 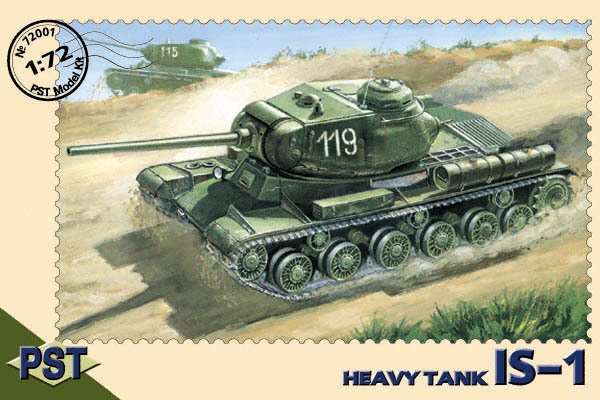 The whole number of KV-85 tanks produced was 143. 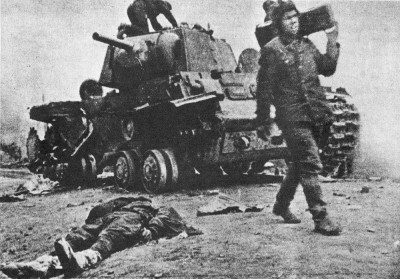 The first who got the tanks for combat service were 14-, 27-, 34-th Guards Tank Breakthrough Regiments in the Red Army. 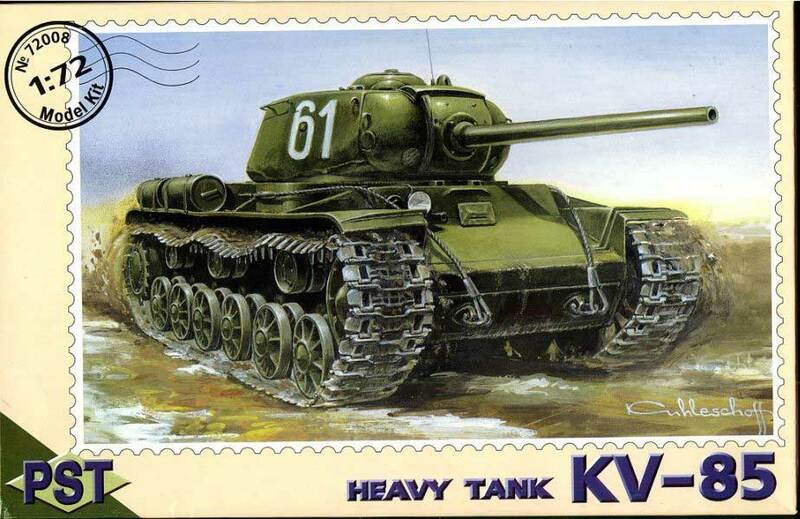 Before the JS-series tanks appeared, the KV-85 were the most powerful production tank of the Red Army. 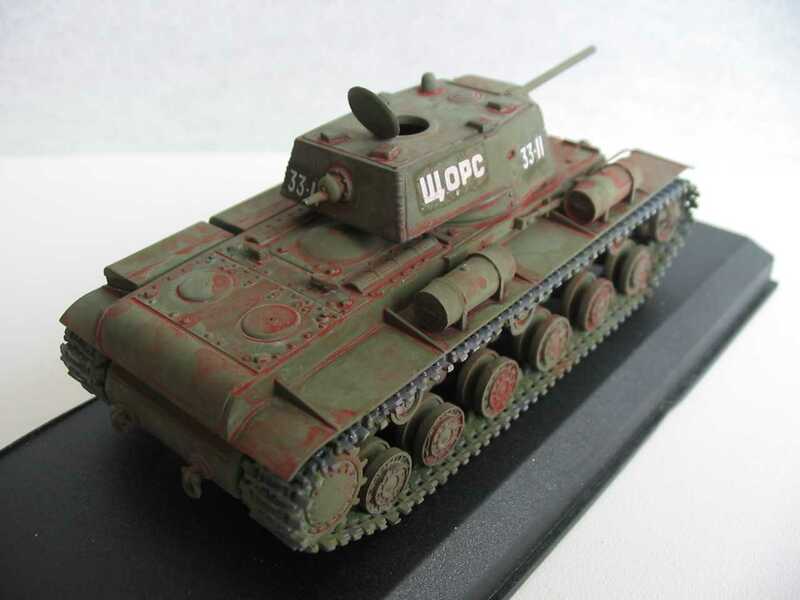 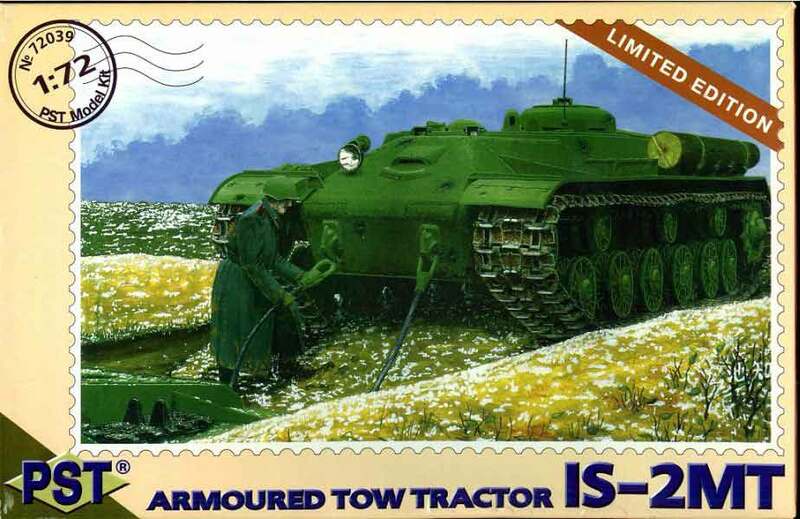 The KV-122 was manufactured on the second half of autumn 1943. 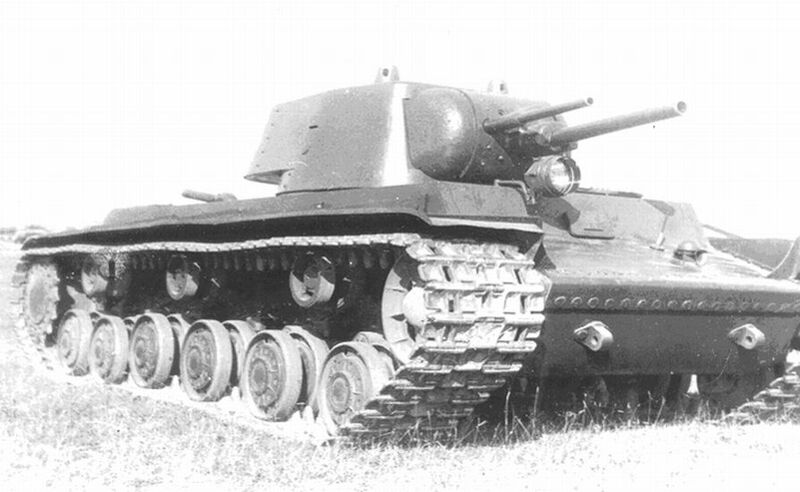 Basically design as the KV-85 only the gun caliber was changed to a new 122mm gun. 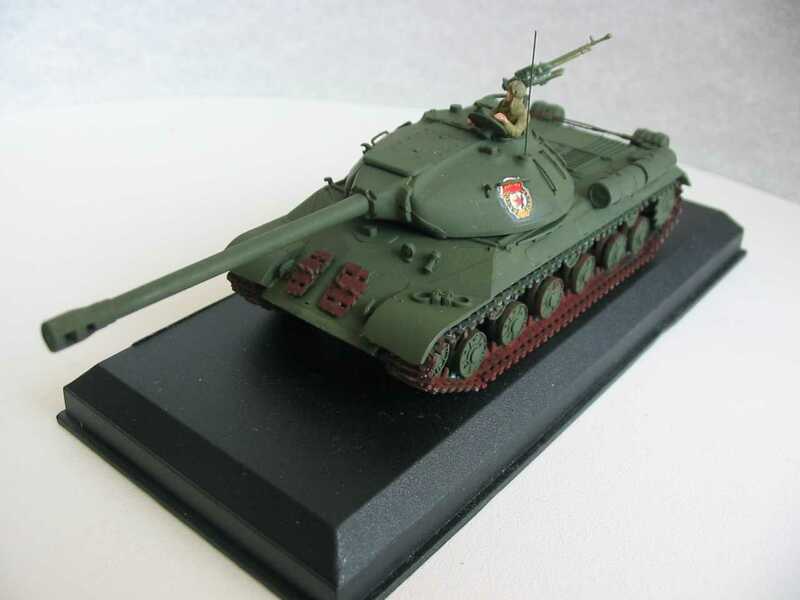 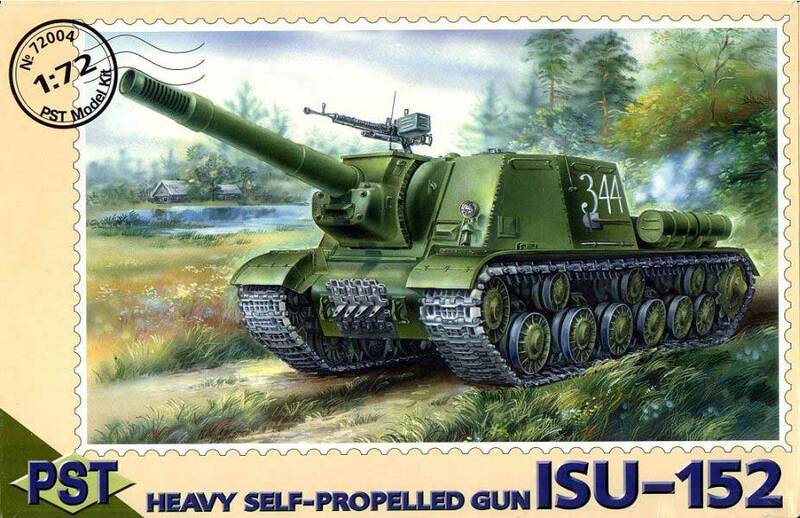 The idea of this modernization made was necessity to strengthen the armament of the Soviet Tanks. 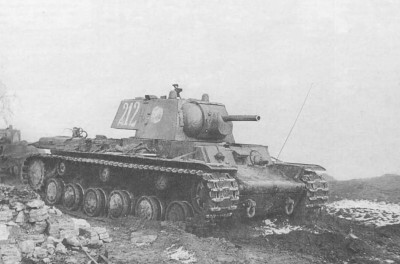 The KV-122 was used mostly for adjustment of fire of the new 122mm gun (initially called D-25T) in field combat conditions. 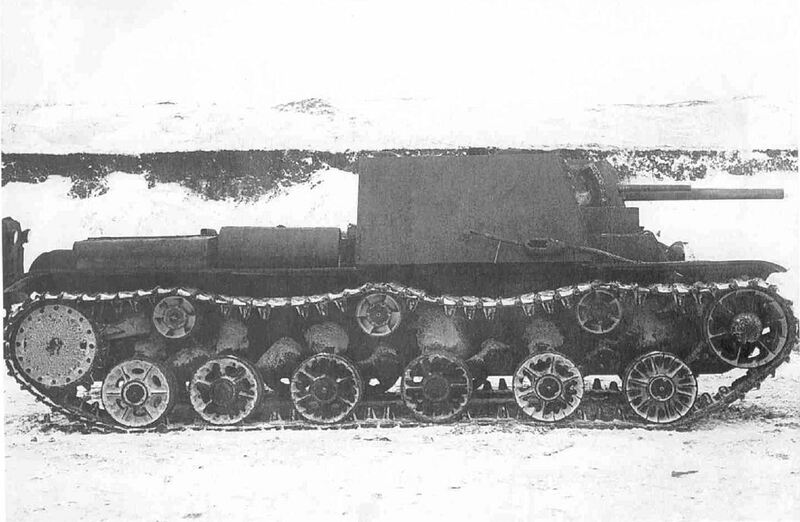 Later the D-25T gun was installed in almost all the JS-tanks. 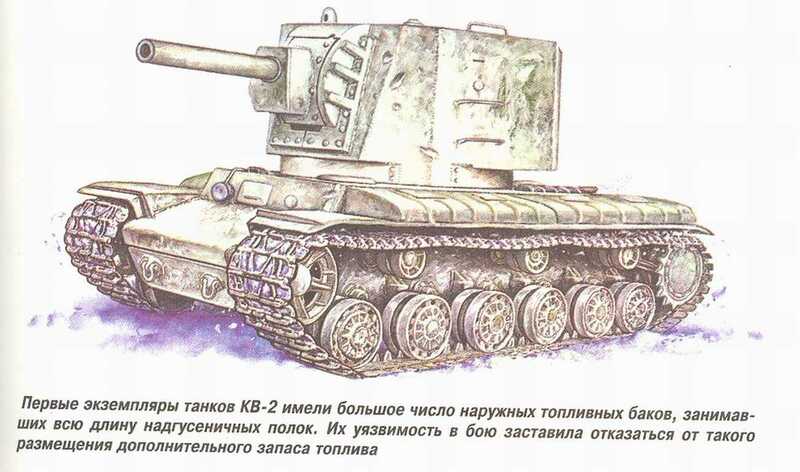 Practically the KV-122 were not in serial production, but the maintenance sections of the combat units made local modernization of the damaged KV-85 tanks while installing the JS-tank turrets on their hulls. 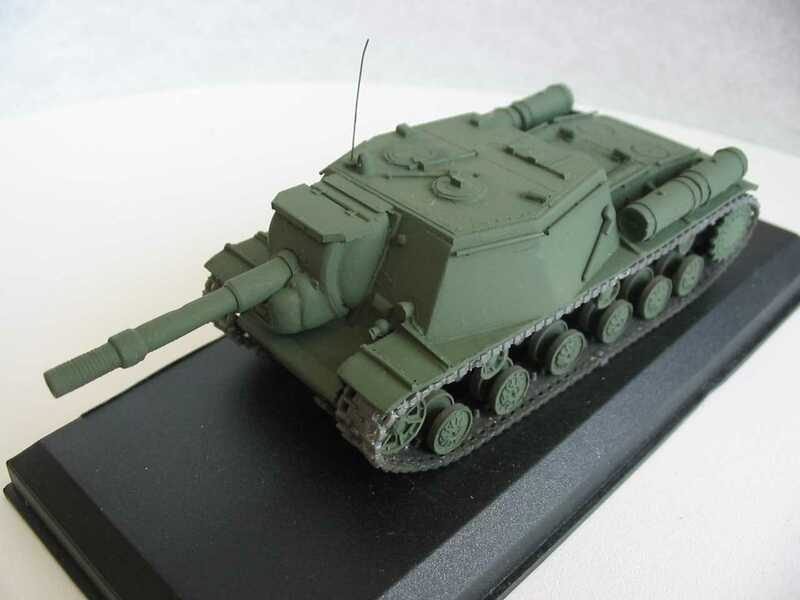 Note: - "The initial production run had 122 mm howitzers installed!" 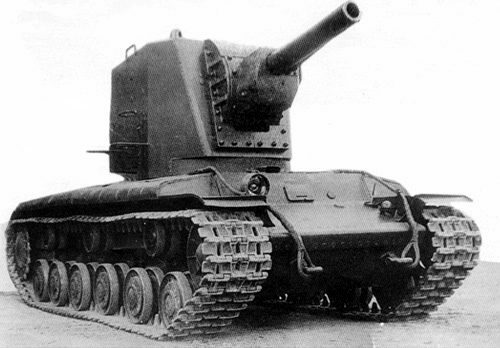 In the late 1930 the Russians begon developping "artillery tank" variants of some of their existing designs, such as the T-26 and BT-7. 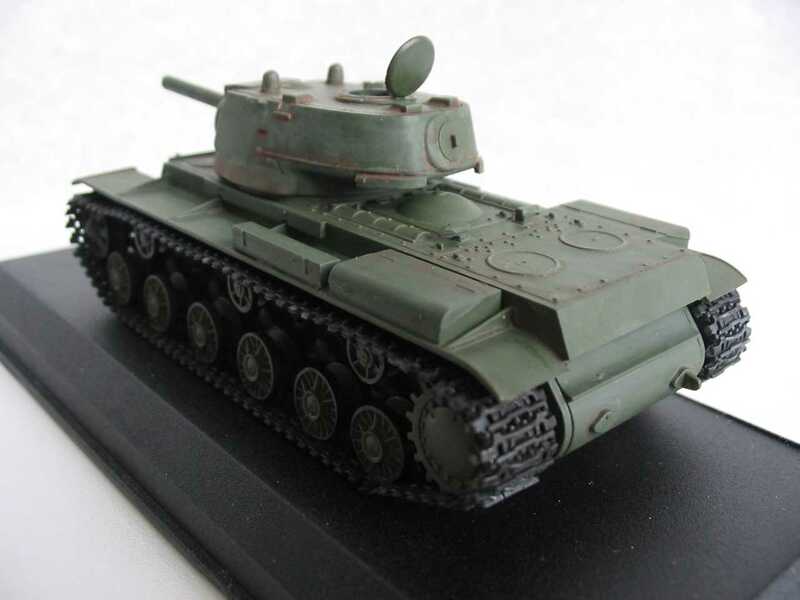 The T-26A proved a failure, but the cavalry BT-7A was more successful and limited production was undertaken. 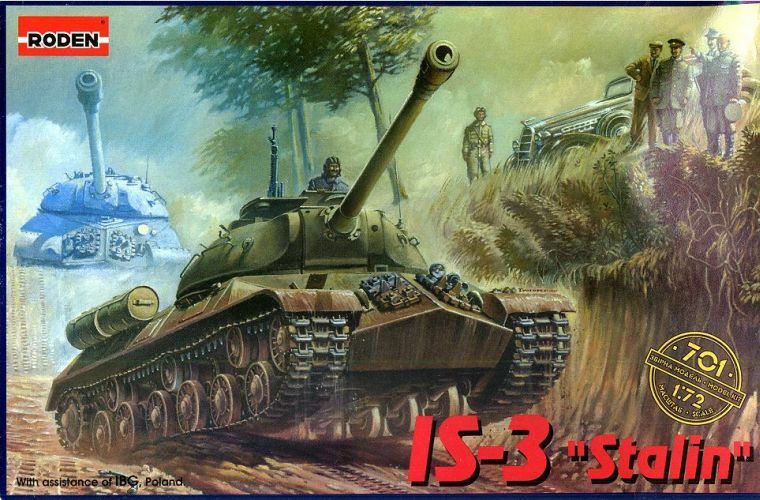 These tanks meant to provide high-explosive fire support to the regular BT tanks. 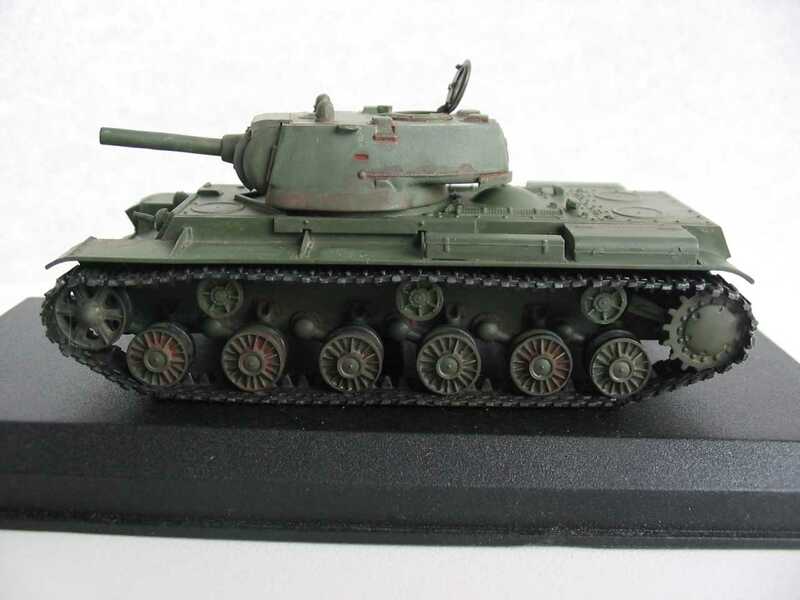 With the introduction of the T-34 with its dual purpose 76mm gun, the idea of separate "artillery tanks" begon to die out, by the experience in the Russian-Finnish Winter War prompted a brief revival using the KV tank. 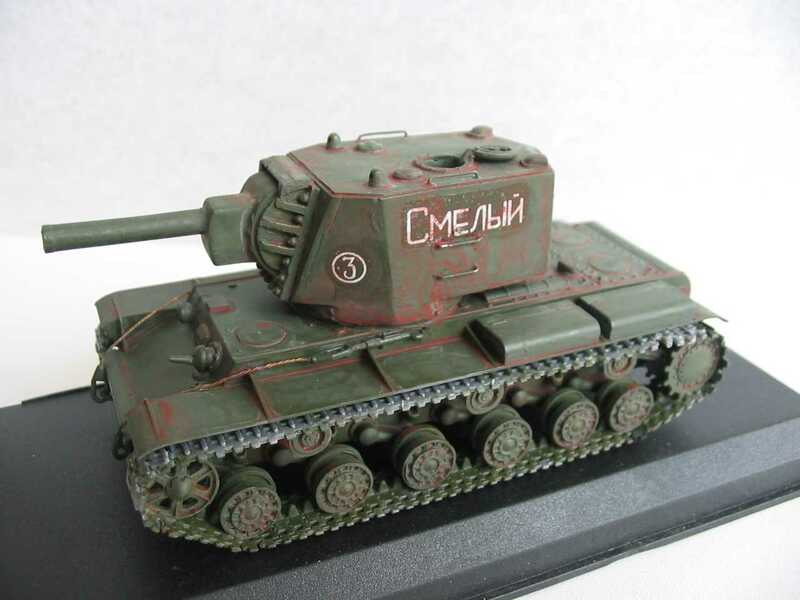 In their early assaults on the Mannerheim Line in January 1940 the Soviets found that even their new, experimental heavy tanks, the SMK, T-100 and KV-1, were unable to smash the well-built Finnish bunkers. 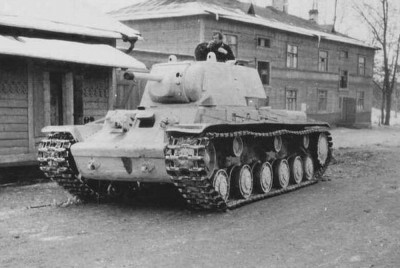 The Kirovsky works in Leningrad received an urgent request for a bunker-buster, and in a remarkably short time they responded with the KV-2, armed with a 152mm howitzer. 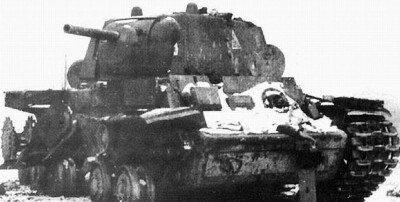 A prototype KV-2 was rushed to the front in February 1940, and successfully wrecked a number of Finnish bunkers near the town of Summa. 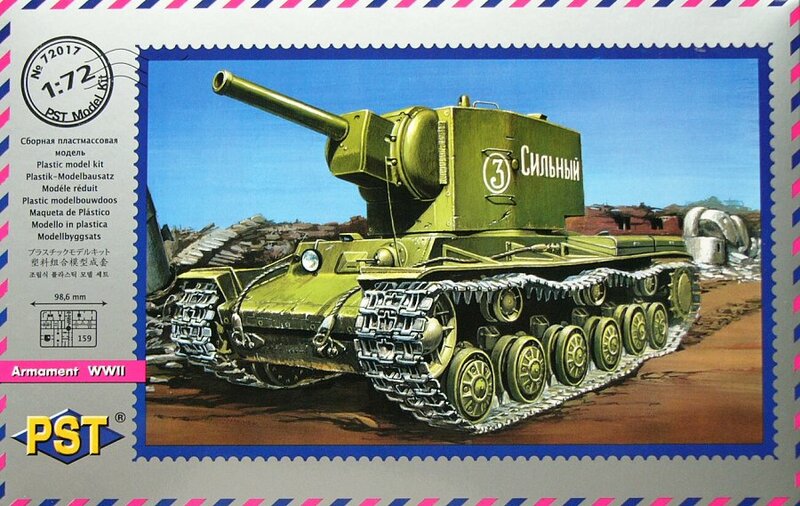 Having proved the principe, the Red Army placed a large order for the type. 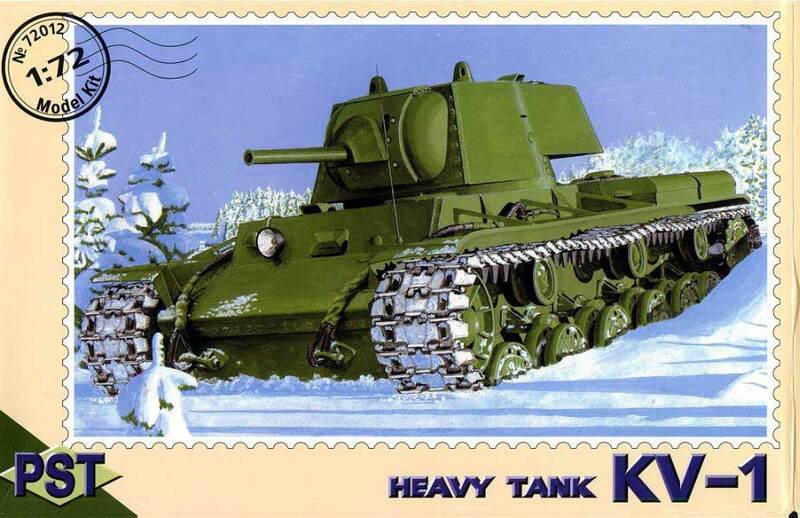 The early KV-2 model 1939 was perhaps the most ungainly tank of its generation. 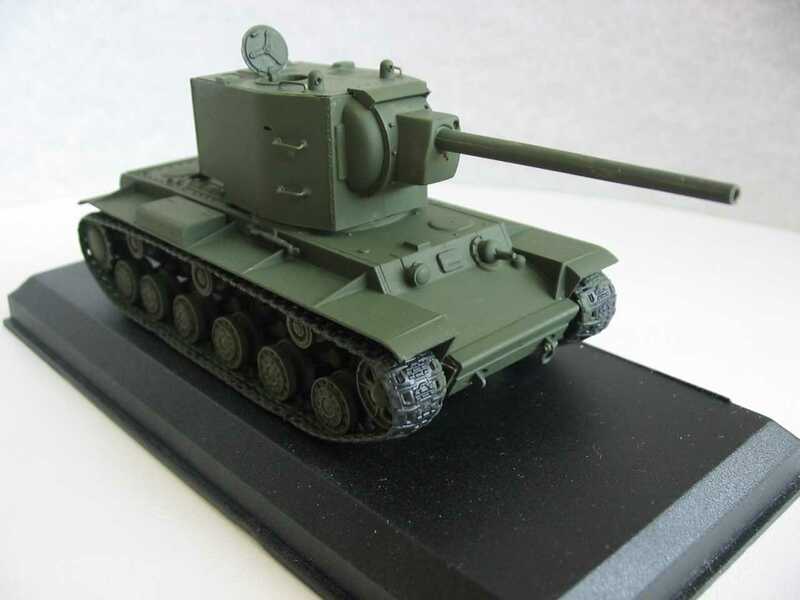 The huge turret owed its bulk to a simple fact of life; because it used the existing KV-1 turret ring the howitzer's recoil could not be contained within its restricted diameter. 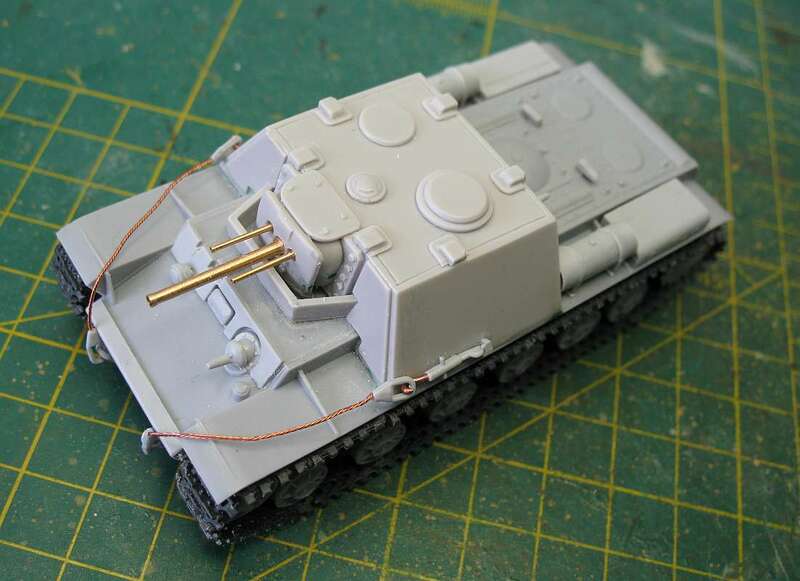 By siteing the trunnions well above the turret ring, the breech was given ample room to recoil at all angles of elevation without risking striking the turret ring armour, or the floor of the turret bustle. 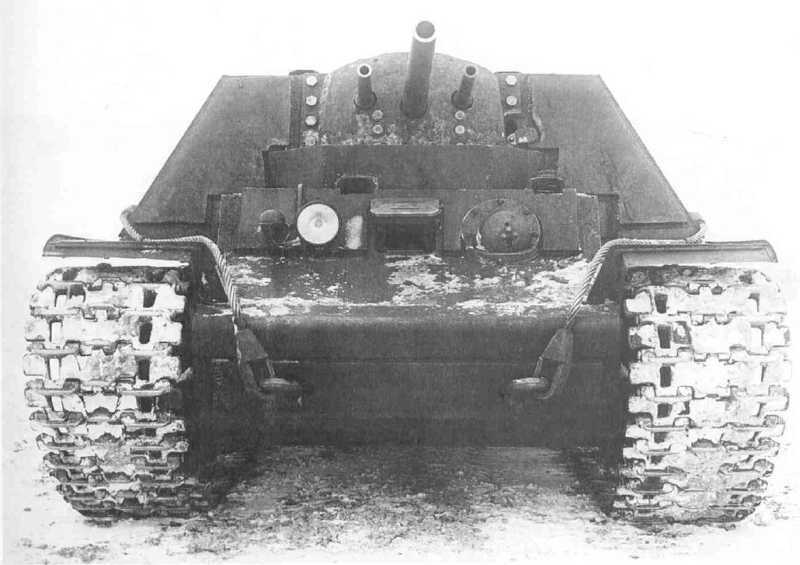 The turret was a simple, almost crude, assembly of flat welded plates forming the front, sides, rear and roof, while the turret ring was guarded by curved plates fore and aft. 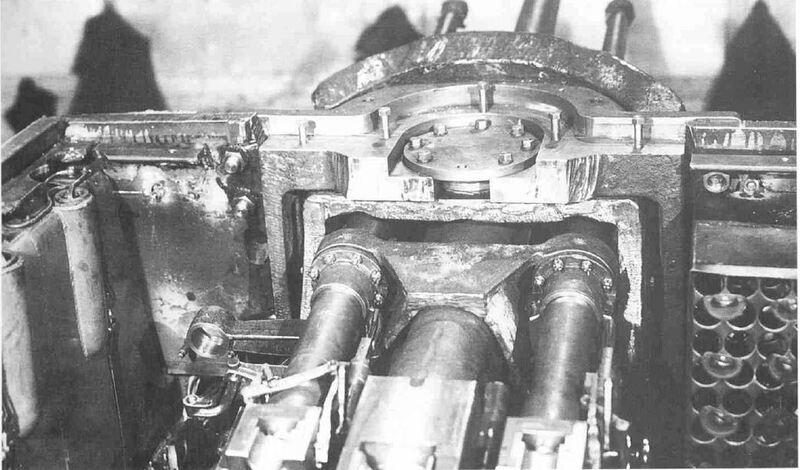 The howitzer trunnions were guarded by huge "D-plates" reinforced by three trangular webs on each side, the whole assembly being bolted to tthe turret front. 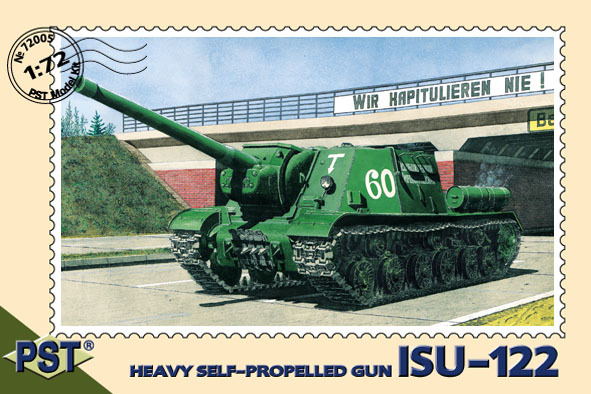 The turret rear had a detachable Vee-plate which could be unbolted to allow the howitzer to be more asily removed for servicing, or replacement. 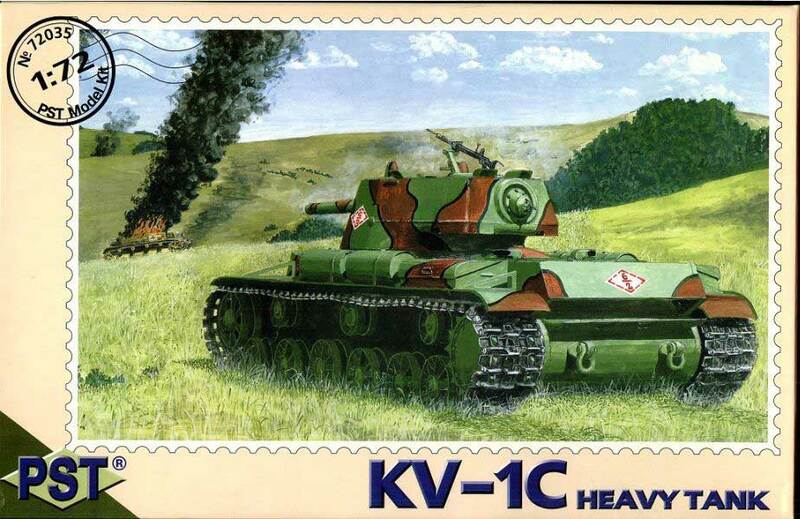 The secondary armament was a single DT machine gun, mounted co-axially obove to the right of the howitzer. 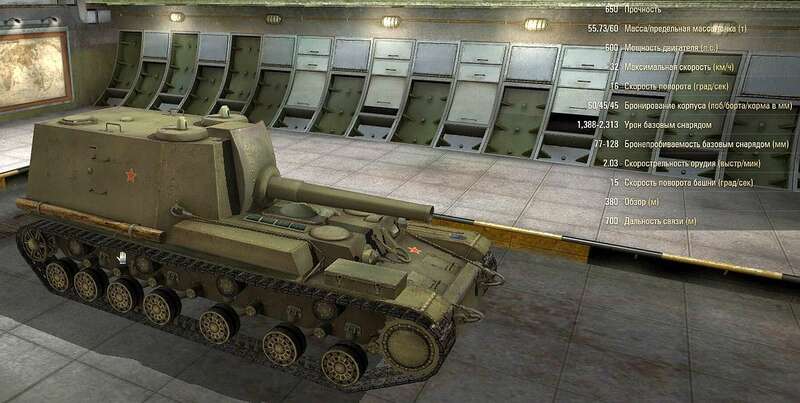 For anti-arcraft defence, another DT could be rigged on the ring of the commander's hatch. 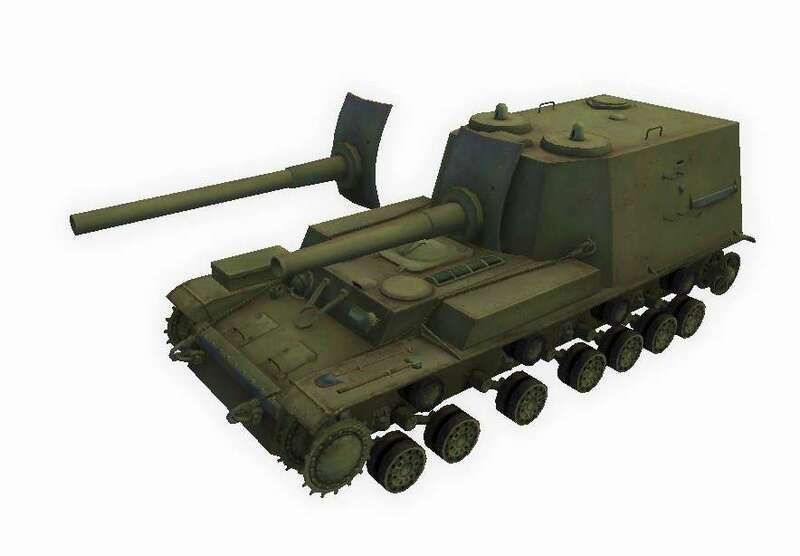 The 152mm howitzer was sighted by a telescope built into the upper left side of the mantlet "box". 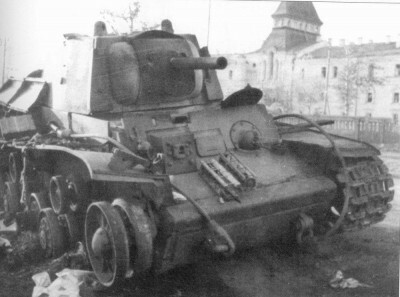 Close-in defence was provided by plug-and-chain pistol ports in both sides of the turret, and flanking the howitzer-removal panel of the rear. 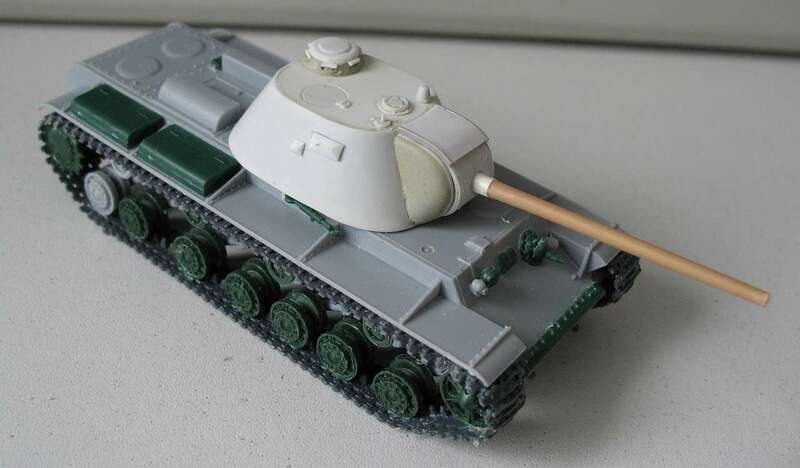 Vision devices were extremely limited. 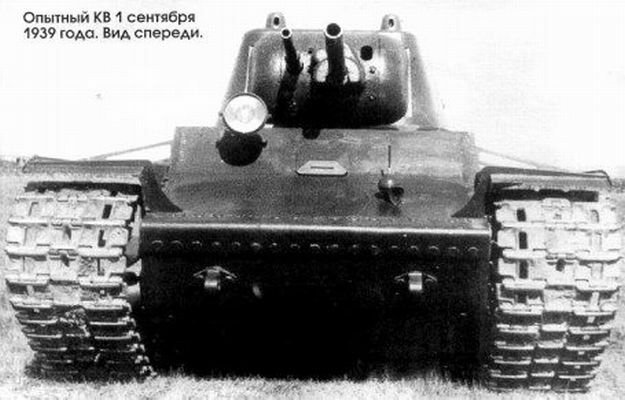 One observation periscope was provided for the commander, and two vision slits appeared in the sides of the turret. 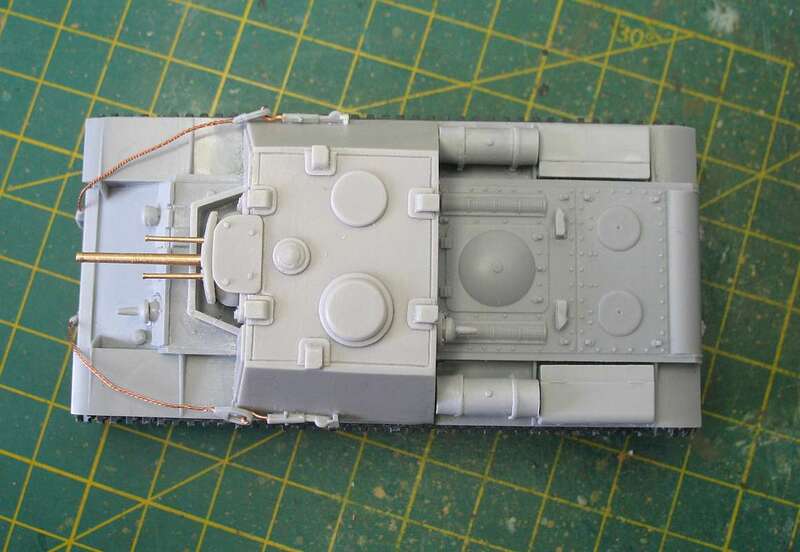 A pair of episcopes covered the rear quarters, providing a method of aiming a pistol or sub-machine gun through the rear ports. 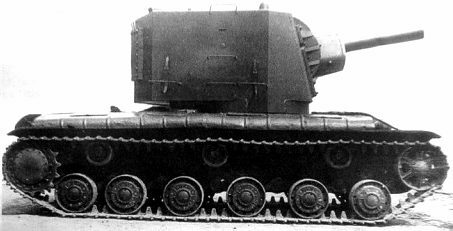 The gunner's sole vision device was his gunsight telescope,leaving him heavily dependent on his commander for gunnery orders. 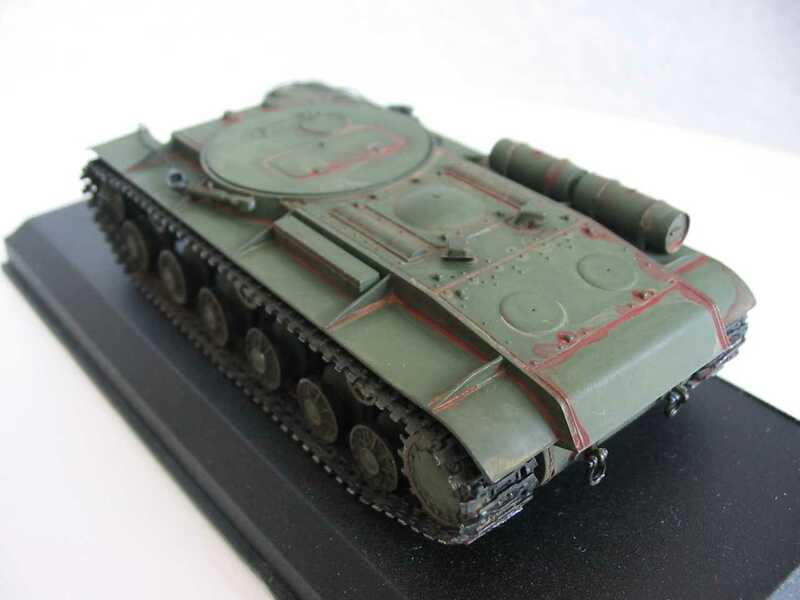 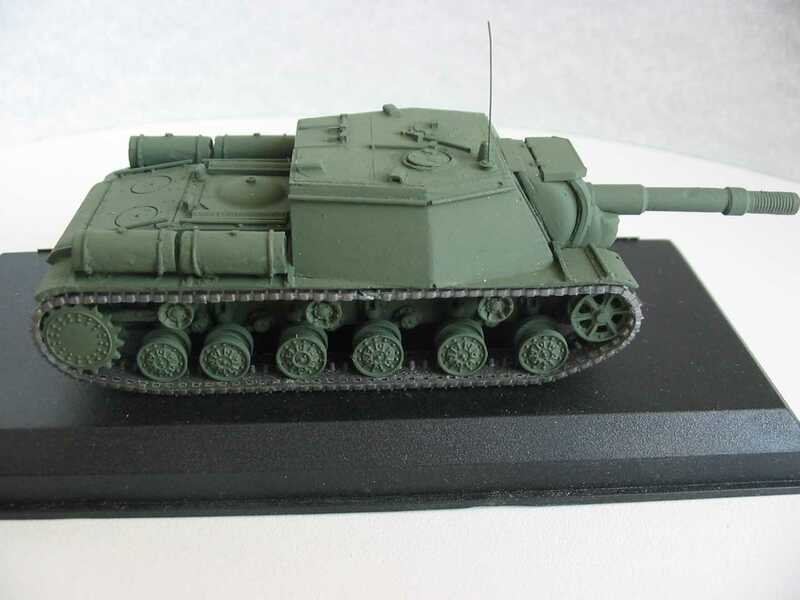 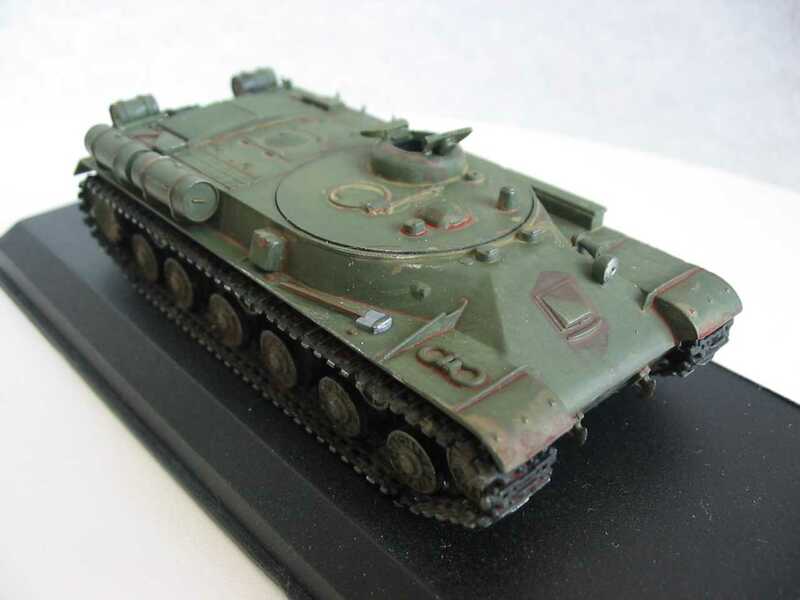 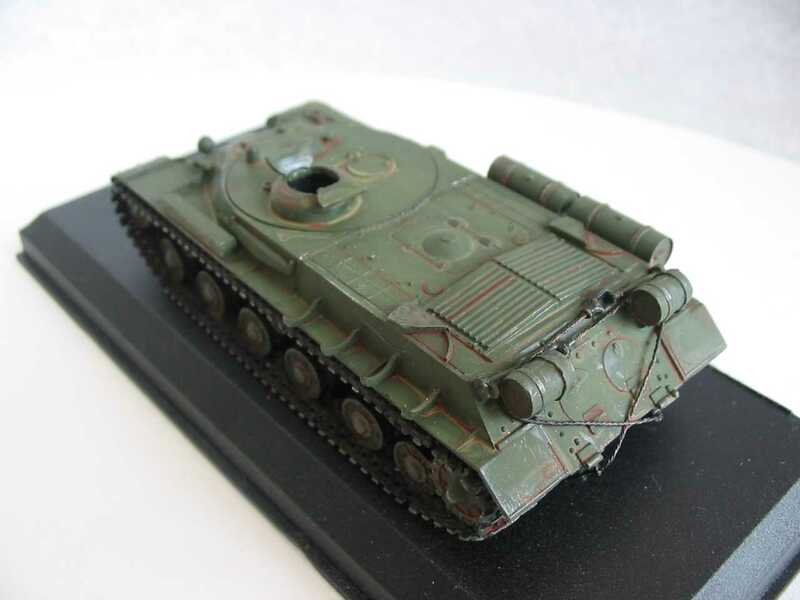 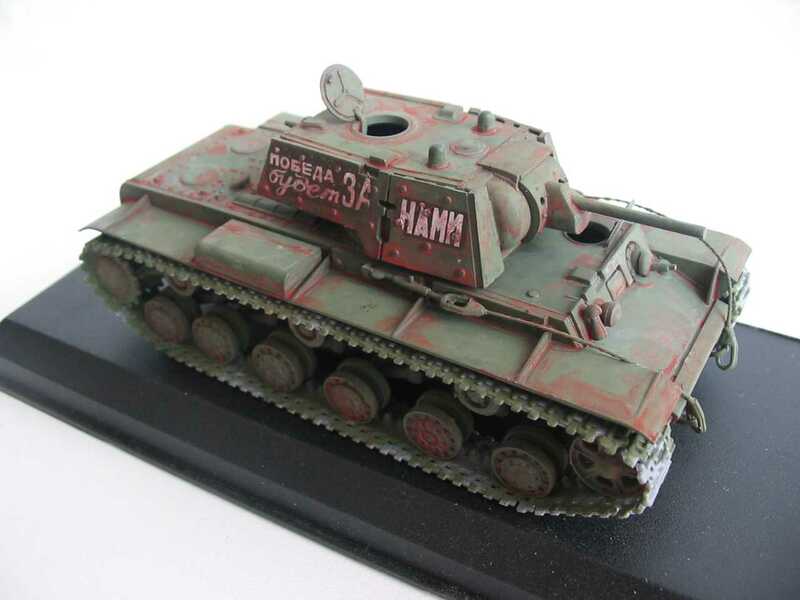 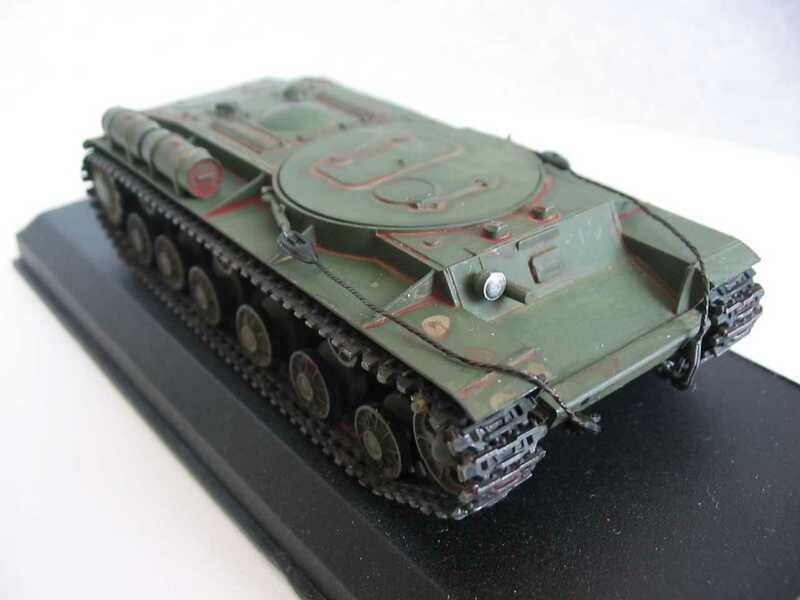 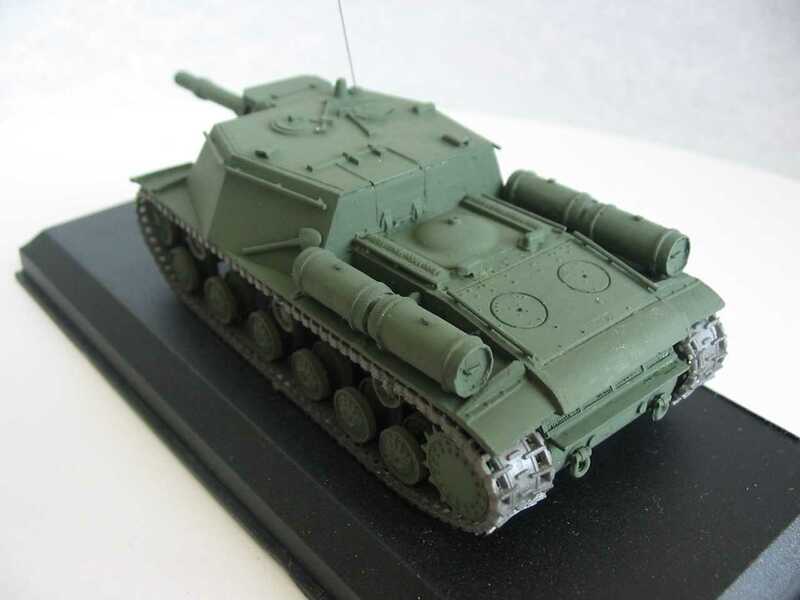 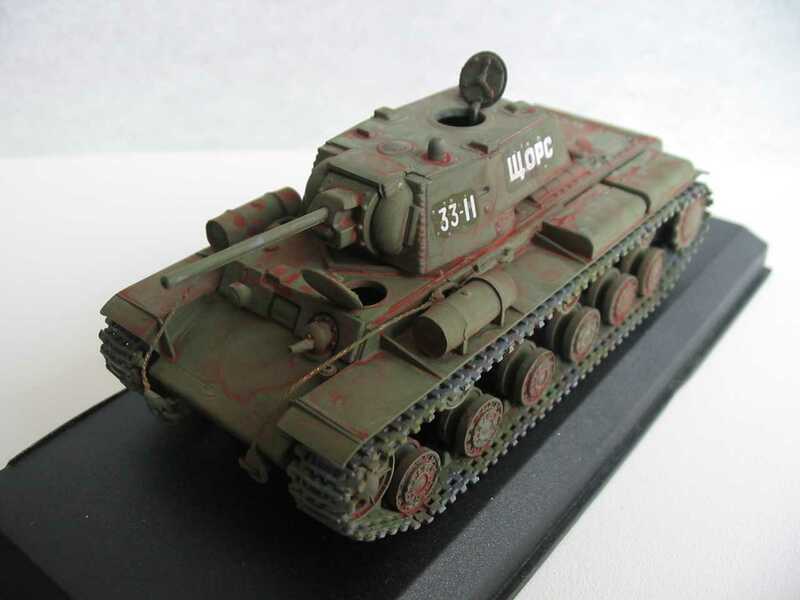 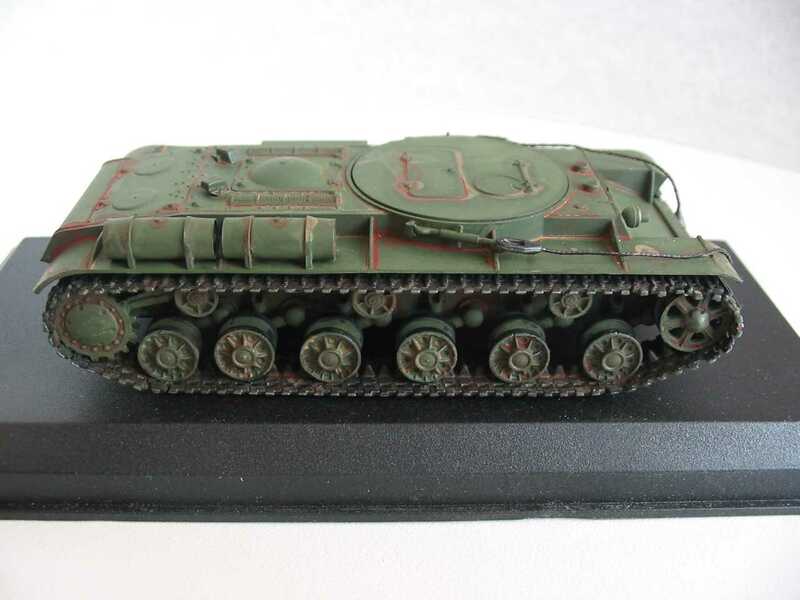 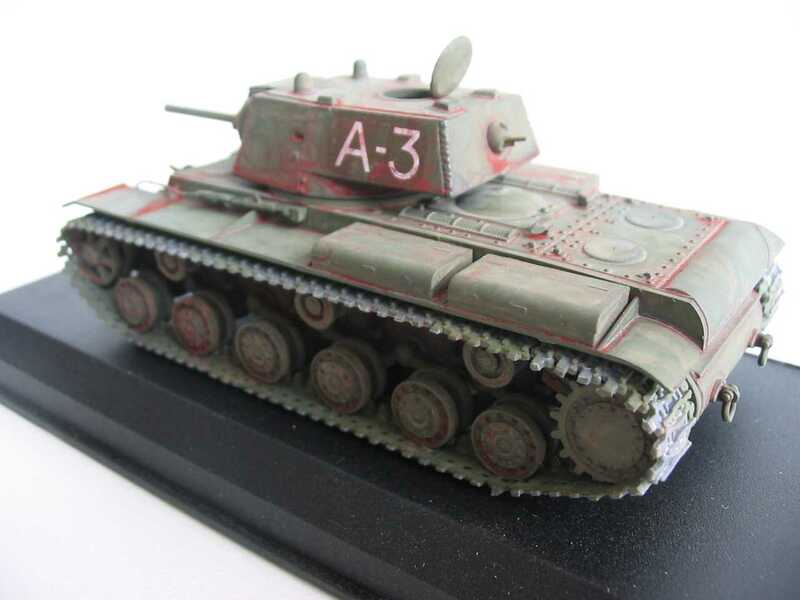 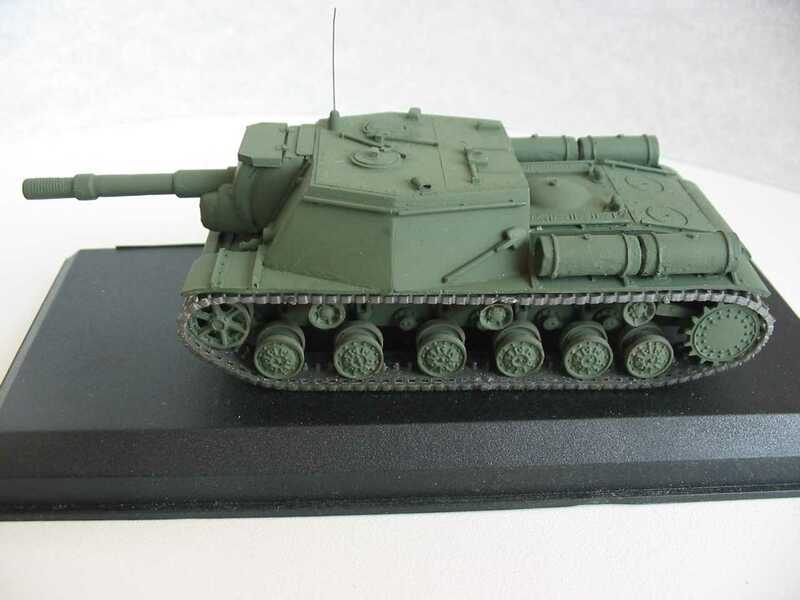 The prototype for the SU-152 was completed in barely a month and was in action for the first time at Kursk where it earned the nickname "Zvierboy" (Animal Hunter) for its ability to deal with the new Panther, Tiger and Elefant armoured vehicles. 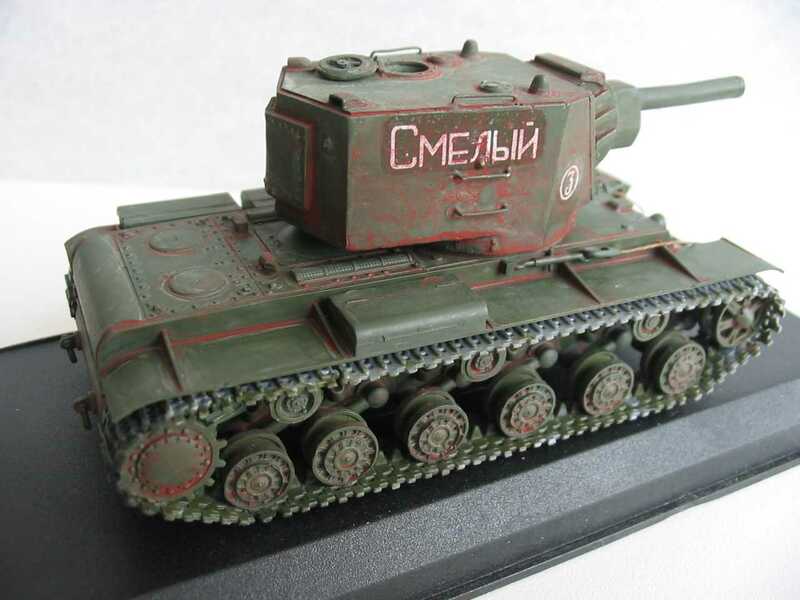 There is a discussion on some historical websites about the KV-6. 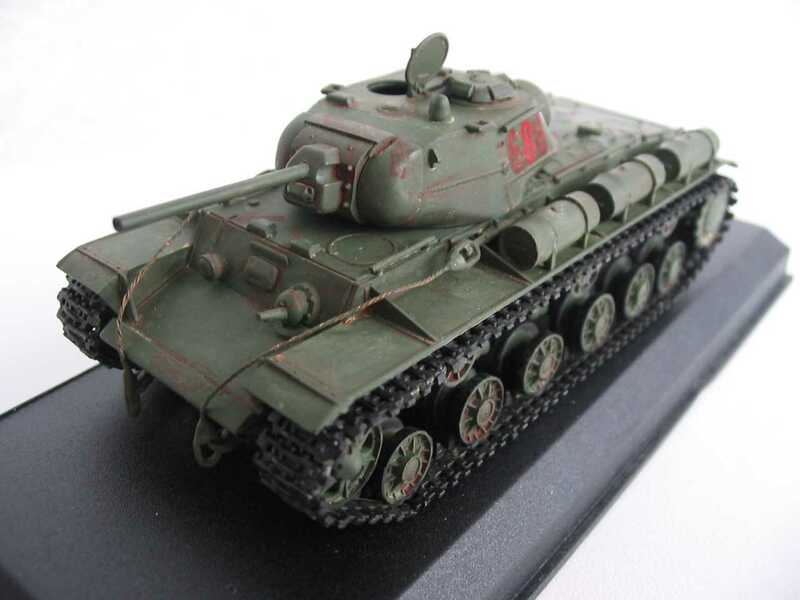 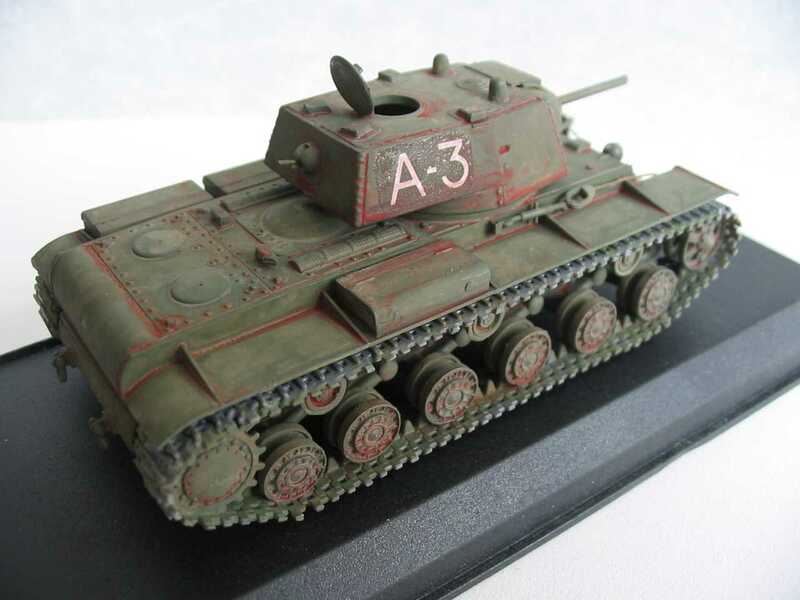 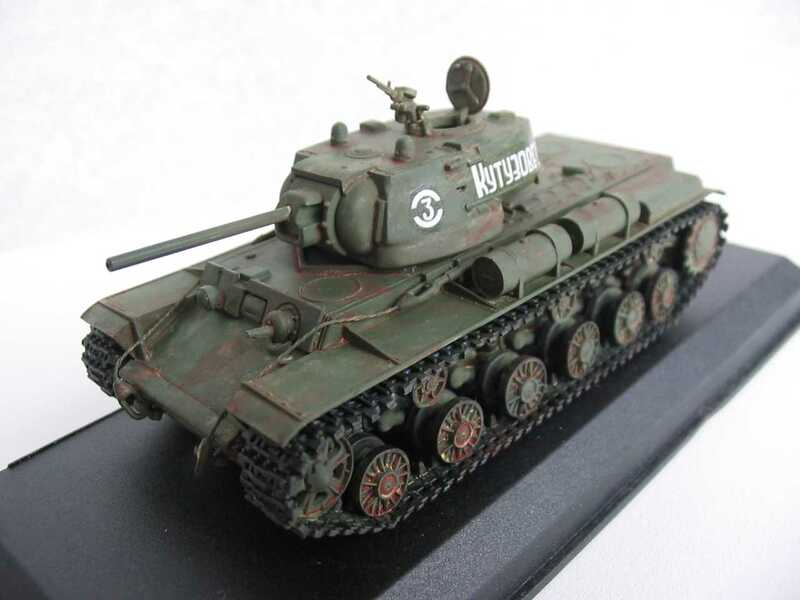 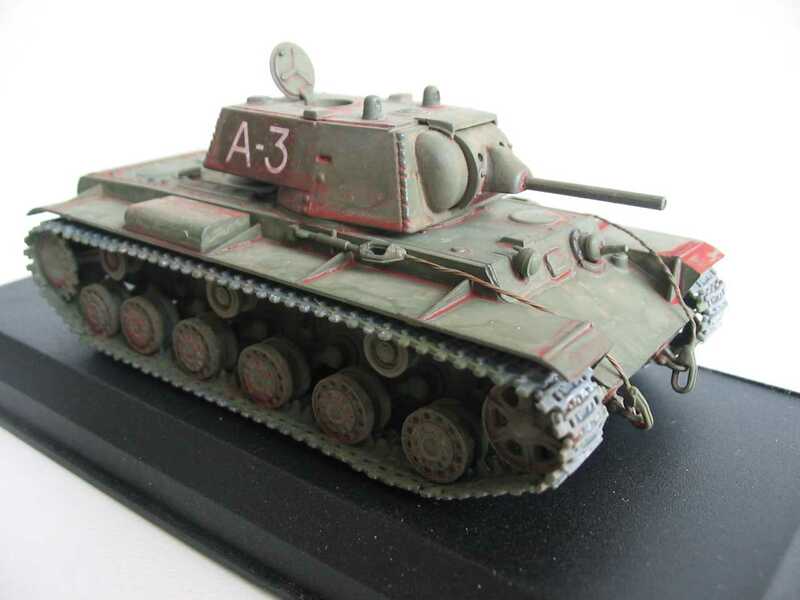 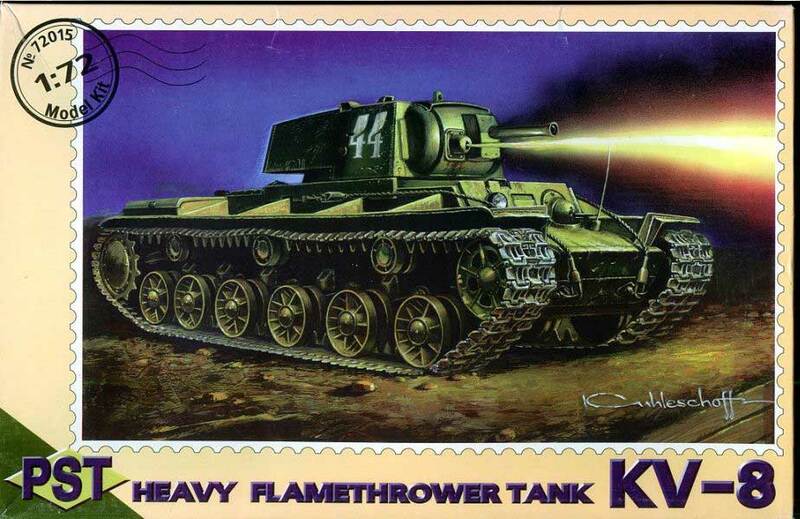 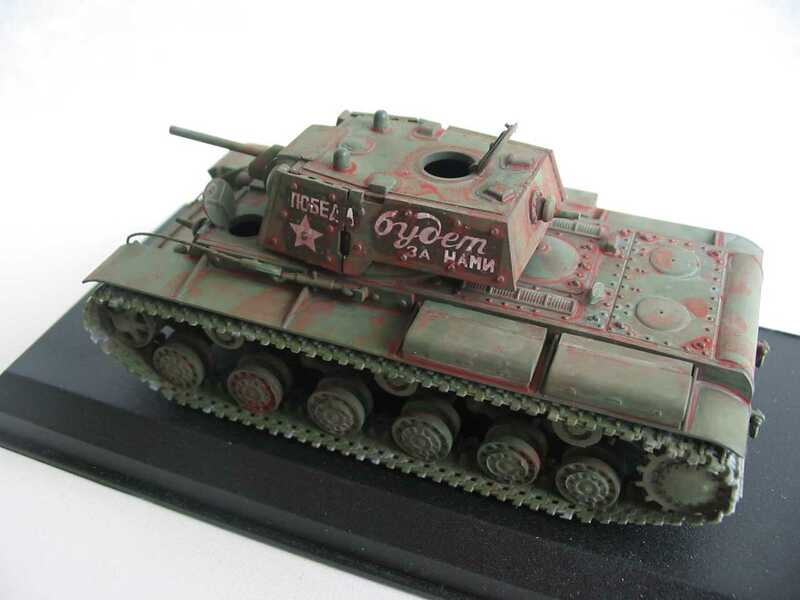 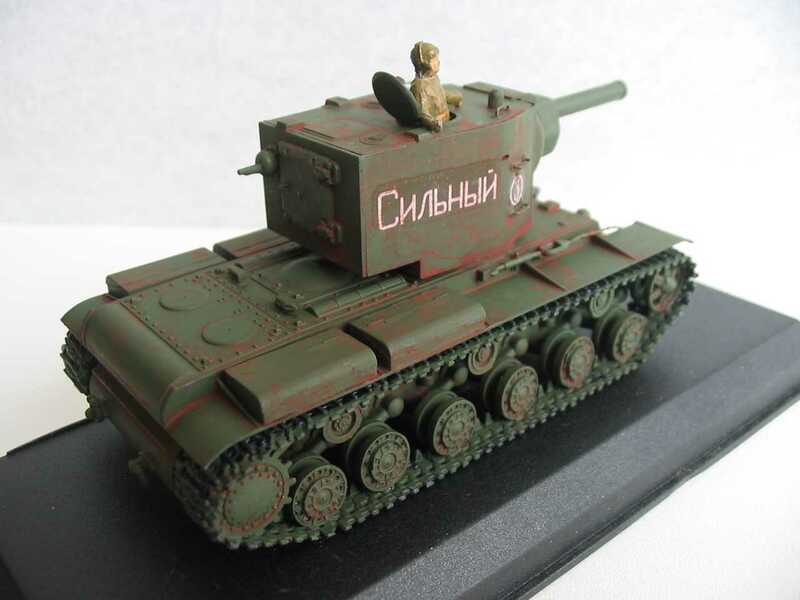 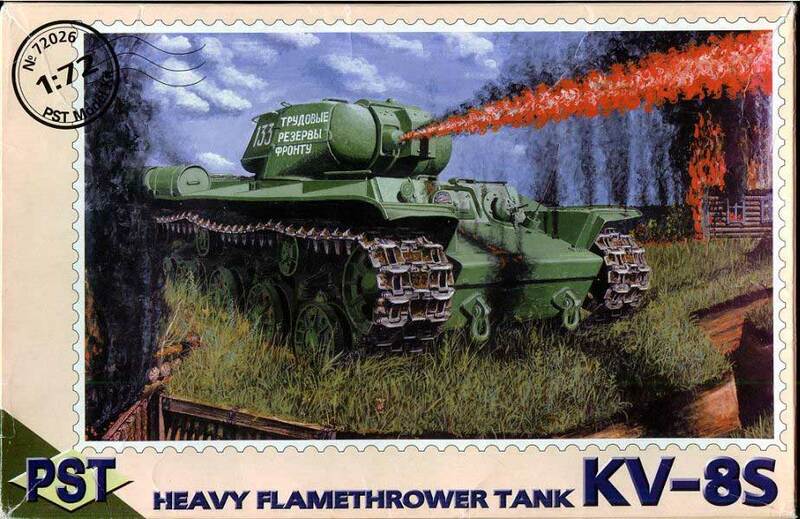 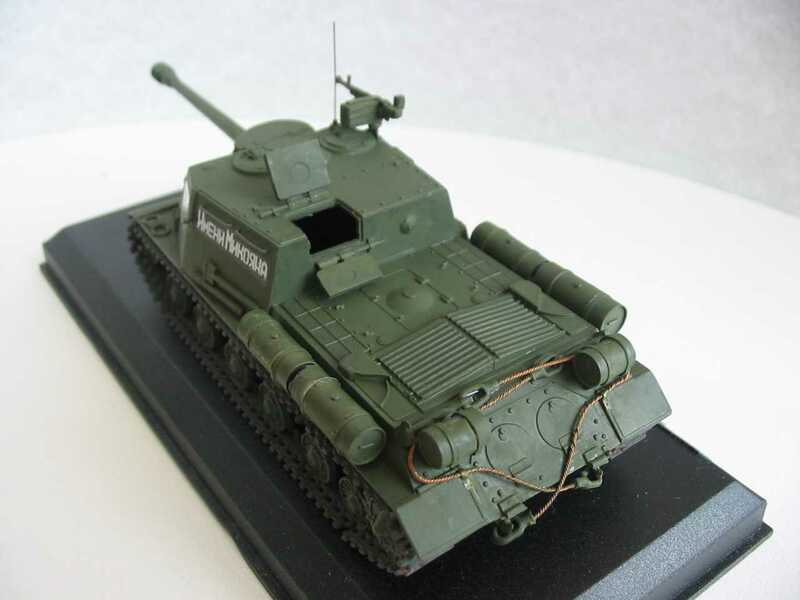 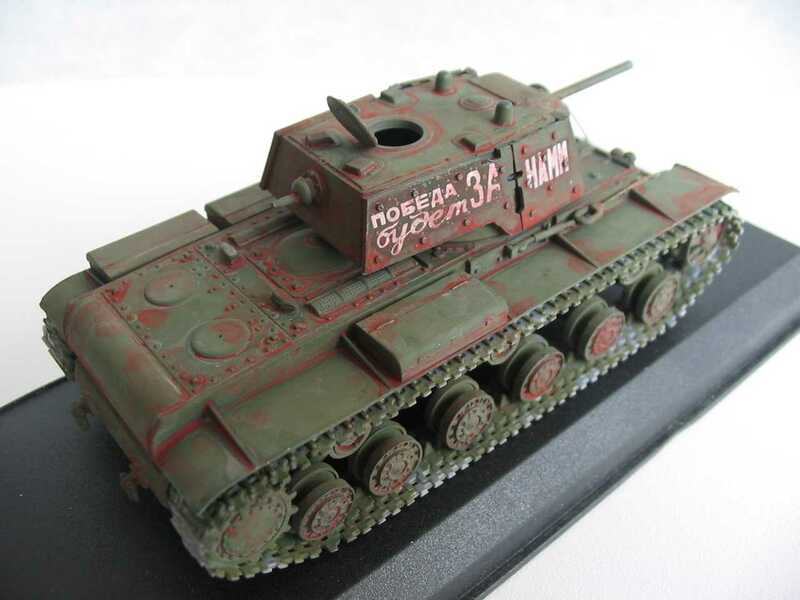 Some websites mention about the KV-6 is a flamethrower tank and other sites mention that this was variant 1 from the KV-7. 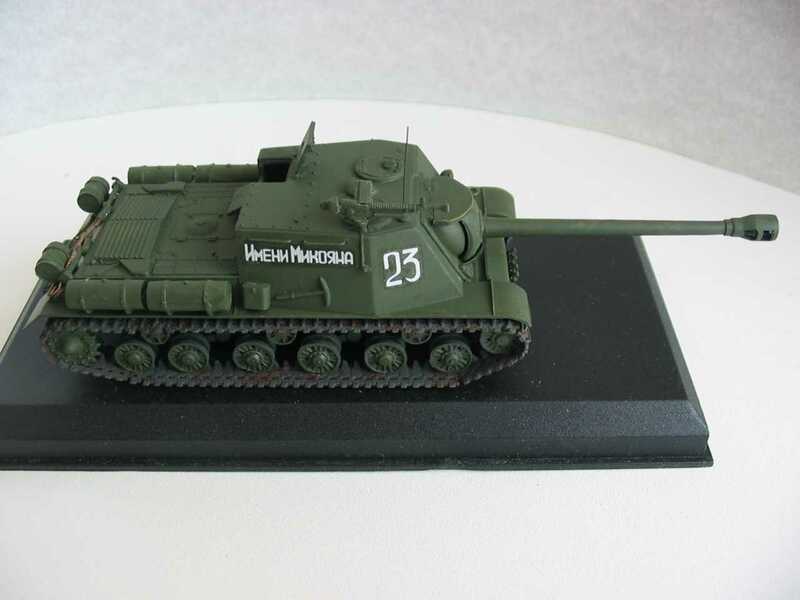 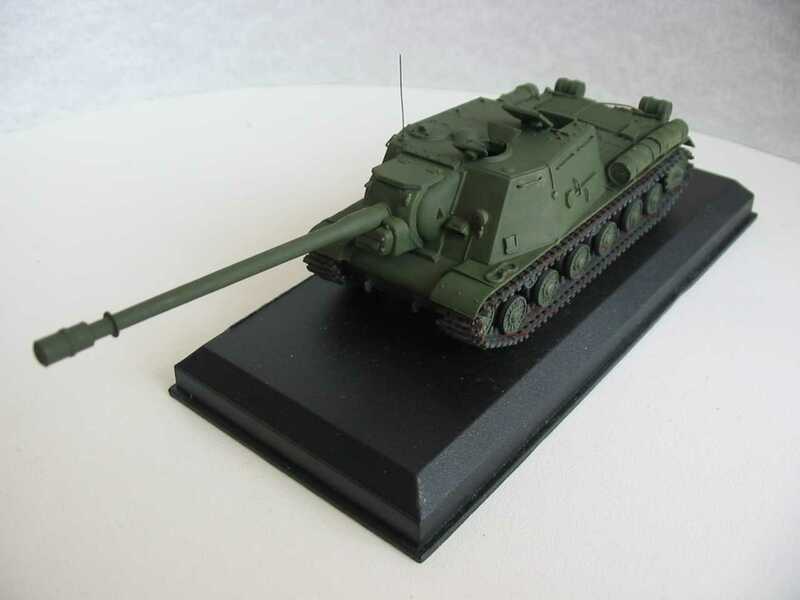 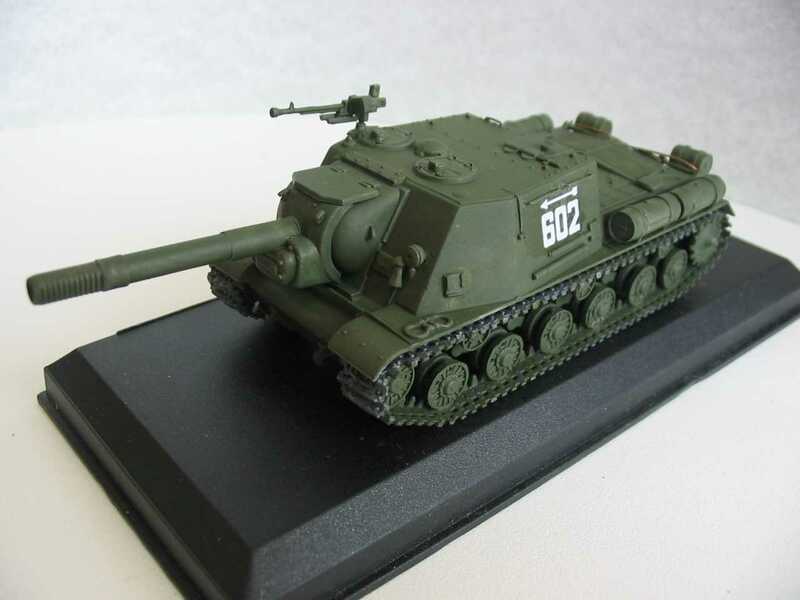 Russian Object 212 - prototype WWII - 152mm Br-2 SPG based on KV-3 / KV-220 chassis. Pictures from "World of Tanks"
The JS-2 retained the rear turret machine gun that had characterized Soviet heavy tanks throughout the war. 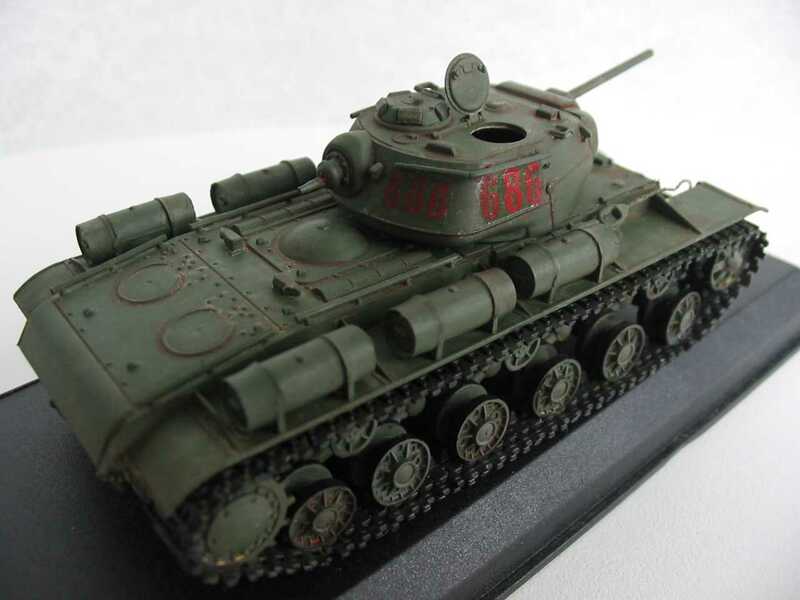 The JS-2m had a new front bow casting and improvements to the gun fire control system. 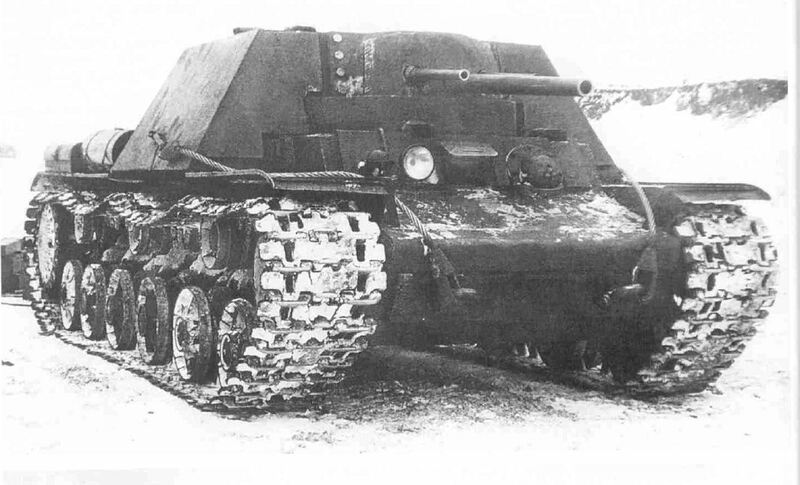 The JSU-122 was the tankdestroyer version of the JS-2 tank. 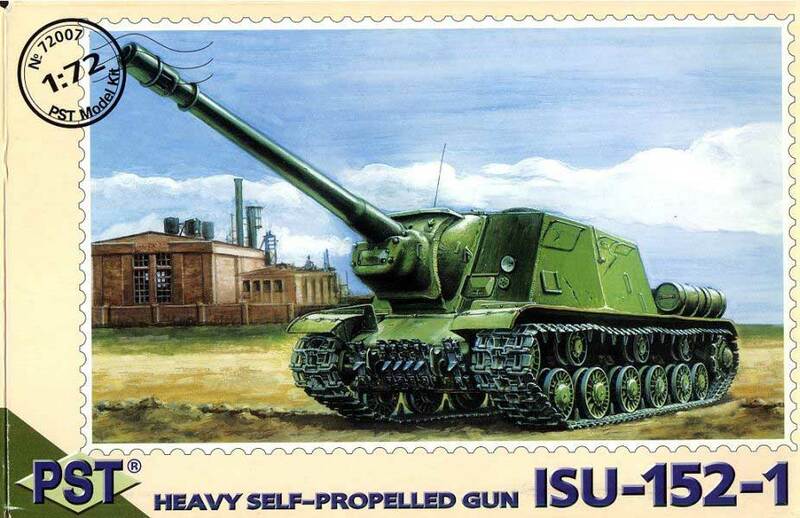 In fact, more JSU-122 and JSU-152 assault guns were built than the tank version. 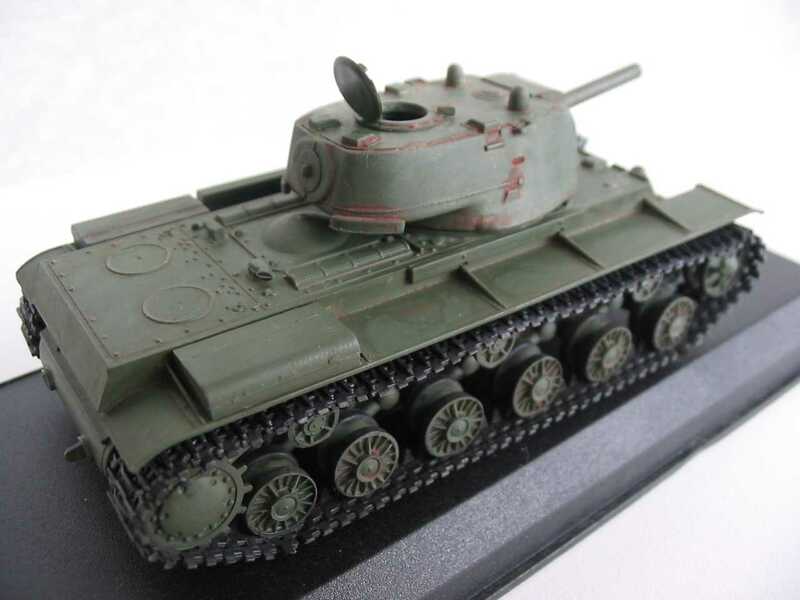 In 1945, the JSU-122 was improved with a new ball mantlet and the improved D-25S gun; it was designated the JSU-122S. 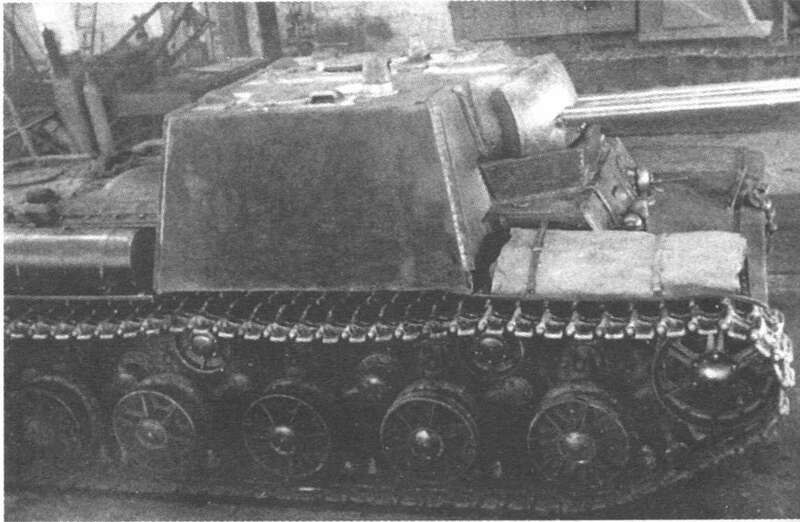 The successor to the SU-152 Zvierboy was the JSU-152, based on the JS-2 chassis. 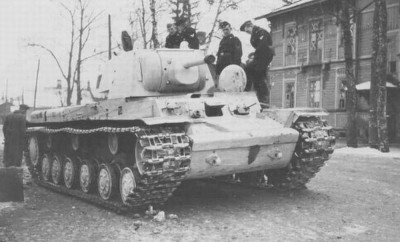 It carried the same main gun as the SU-152, but had a slightly higher superstructure.